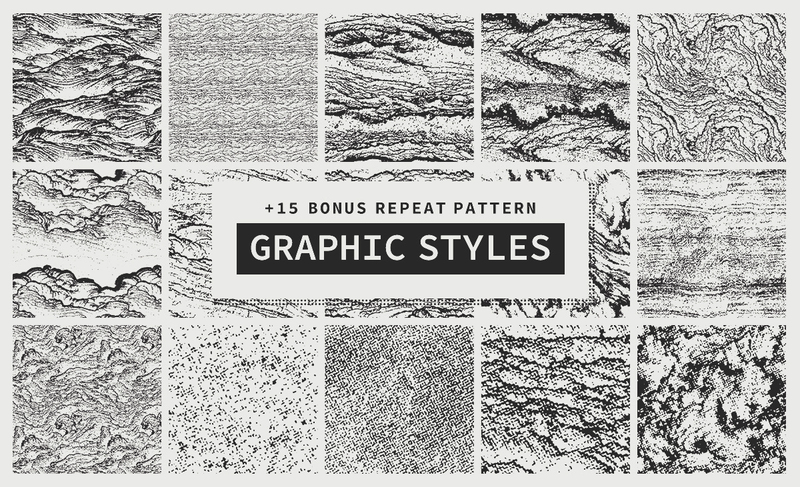 Elevate Your Design Work With Top Quality Textures and Patterns! 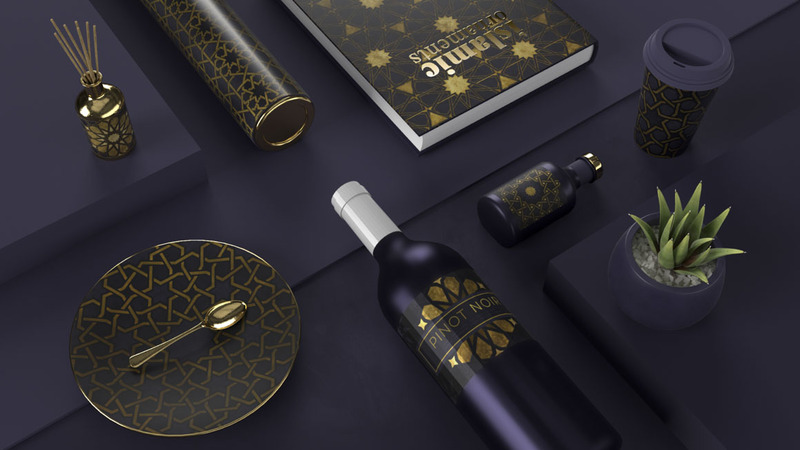 Textures and Patterns are every designer’s best kept secret. 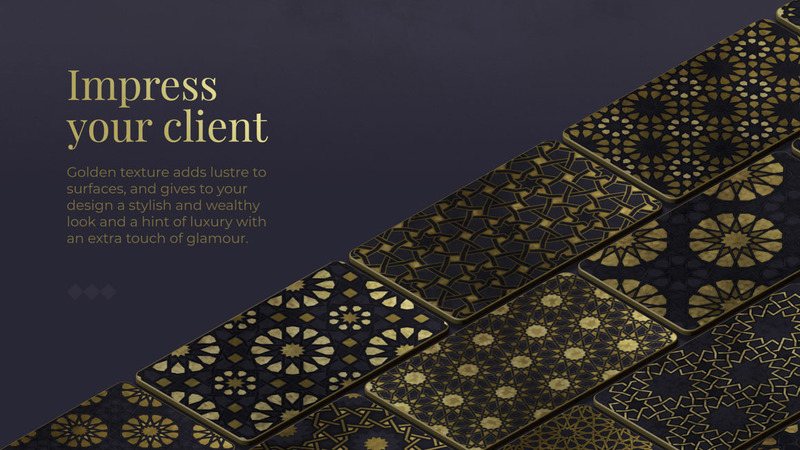 They save serious time in your projects, allowing you to add the small touches that have the biggest impact on your design work. 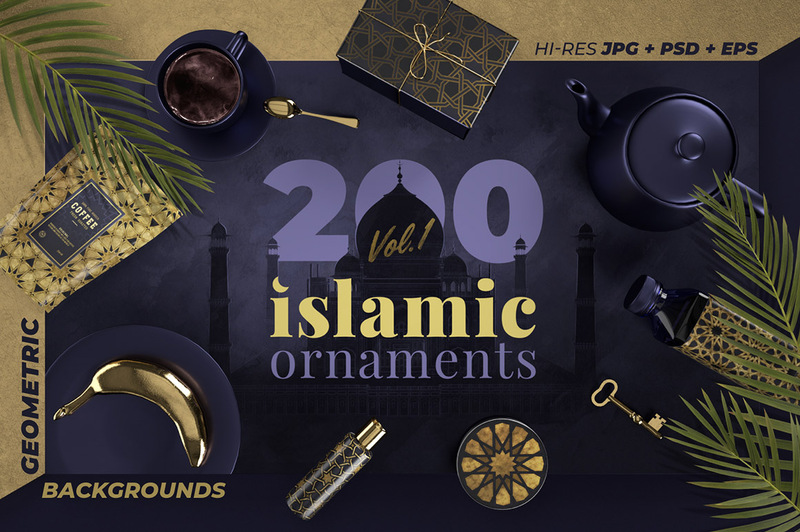 This collection brings you a huge variety of best selling graphics from some of the world’s most talented designers at an incredible 99% off. 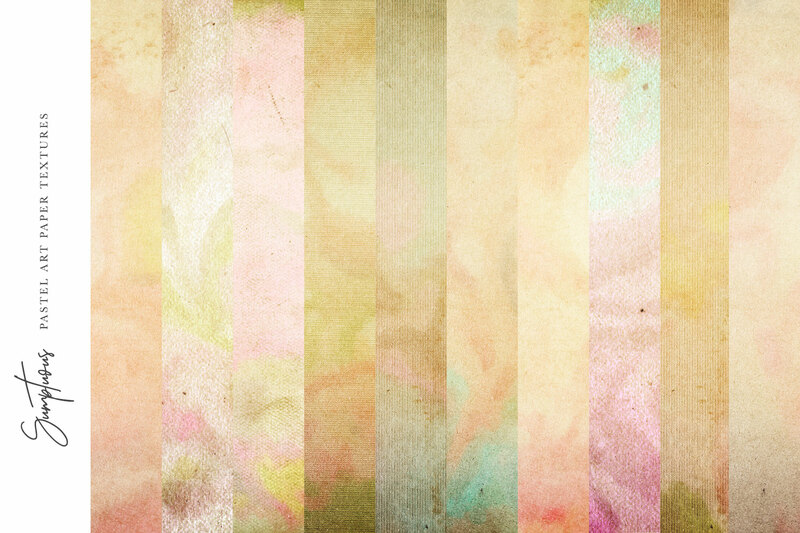 All of the textures and patterns are provided in stunning high resolution and are ready to be dropped into your work. 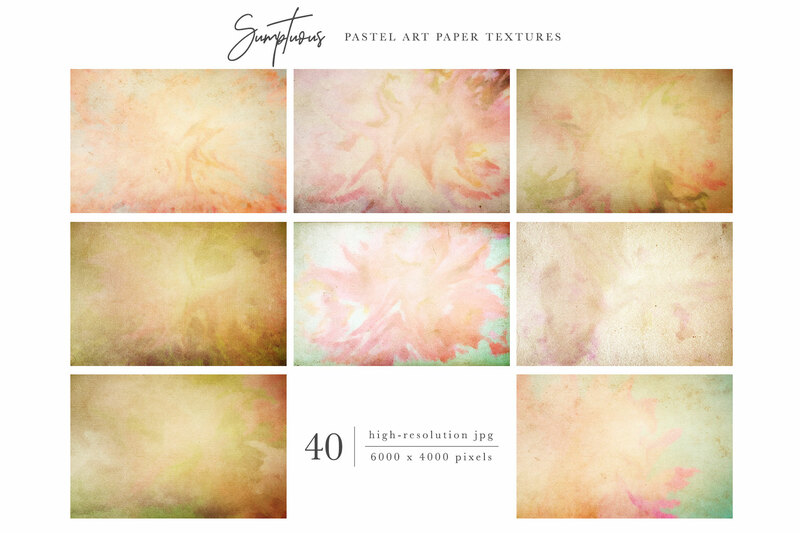 Discover gorgeous paper textures, chalk patterns, wood, rustic, vintage, abstract and glass textures….. to name just a few, the possibilities are endless! 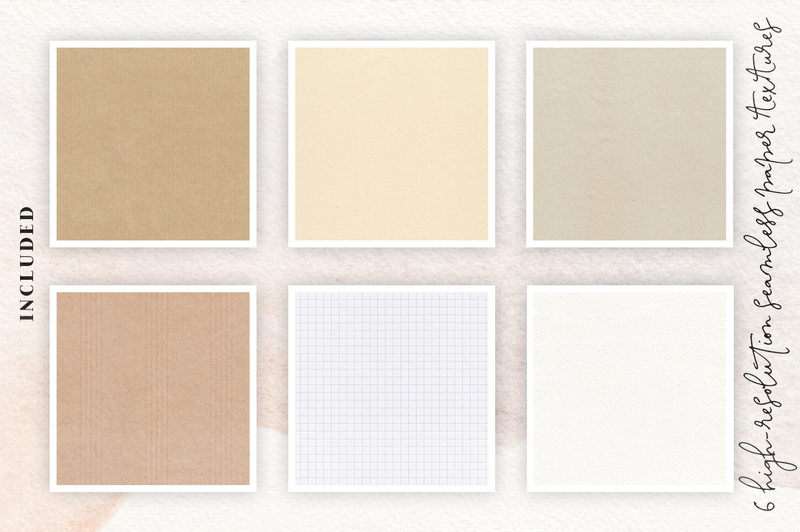 Introducing the super handy Handmade Paper Textures! 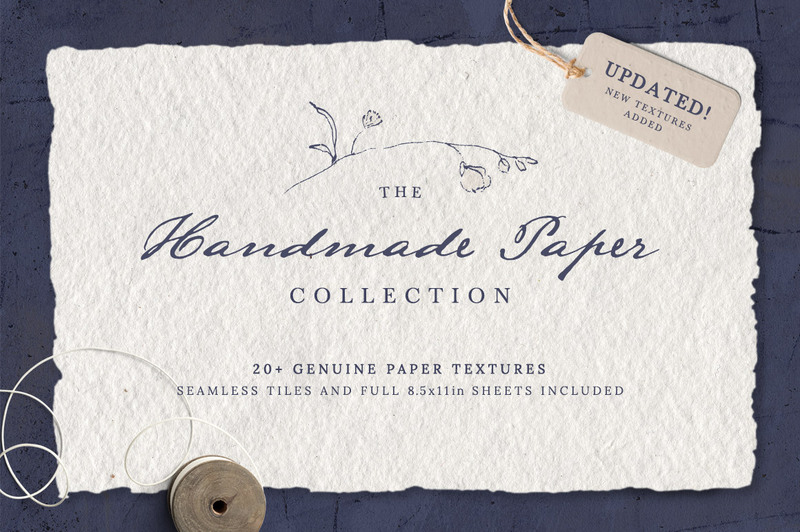 The Handmade Paper Collection is a simple yet versatile set of 21 genuine handmade paper textures made to complement your hand-drawn projects and add a bit of subtle interest to your backgrounds. 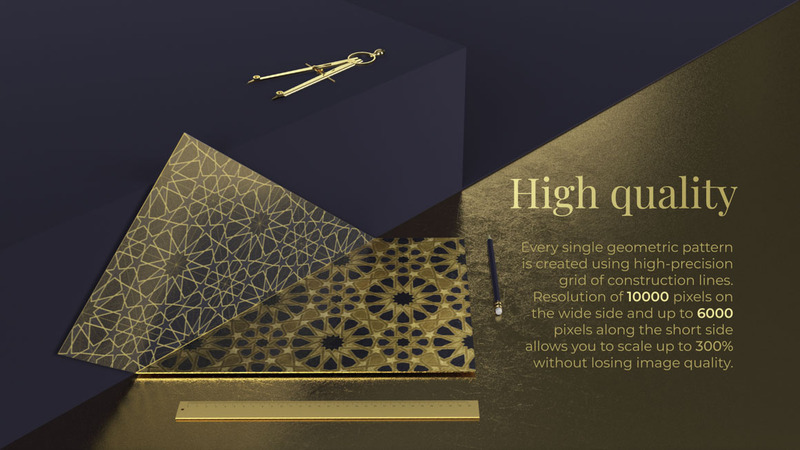 Supplied as both full 8.5×11 inches sheets and matching seamless tiles, the textures give you maximum flexibility. 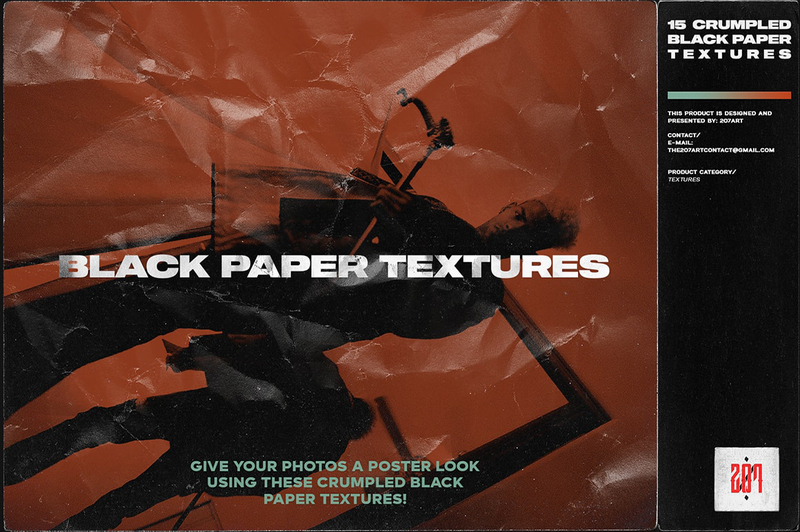 The paper surfaces range from soft and fluffy to rough or smooth and you will find fiber bits and particles embedded in most of the paper textures. 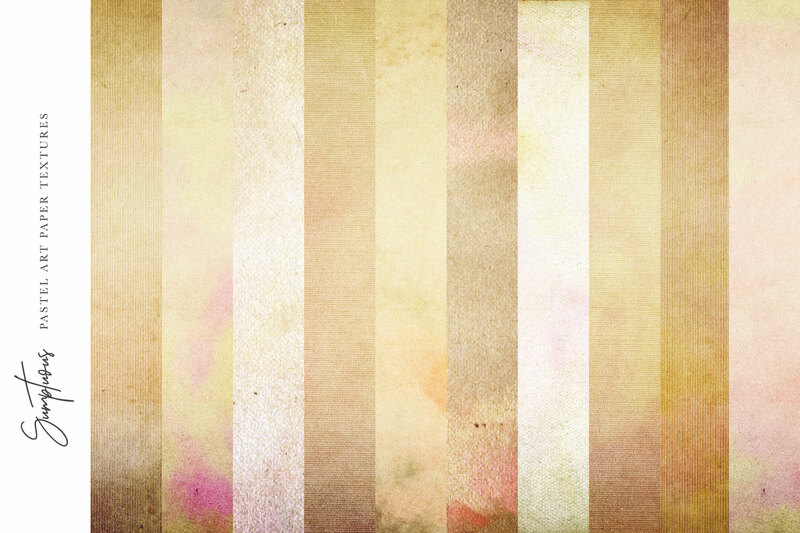 The colors include various shades of white, tan, gray and blue. 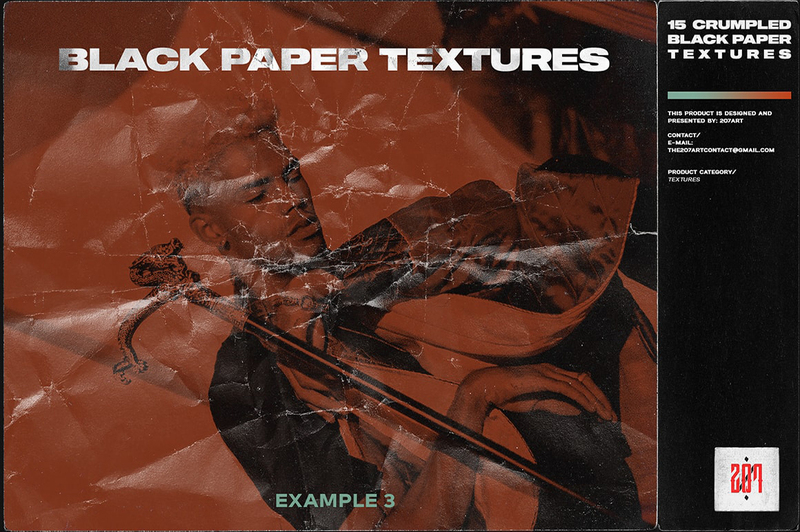 The Handmade Paper Collection comes with a bonus of 3 deckle edge shapes that you can use as masks to create a natural rough edge look. 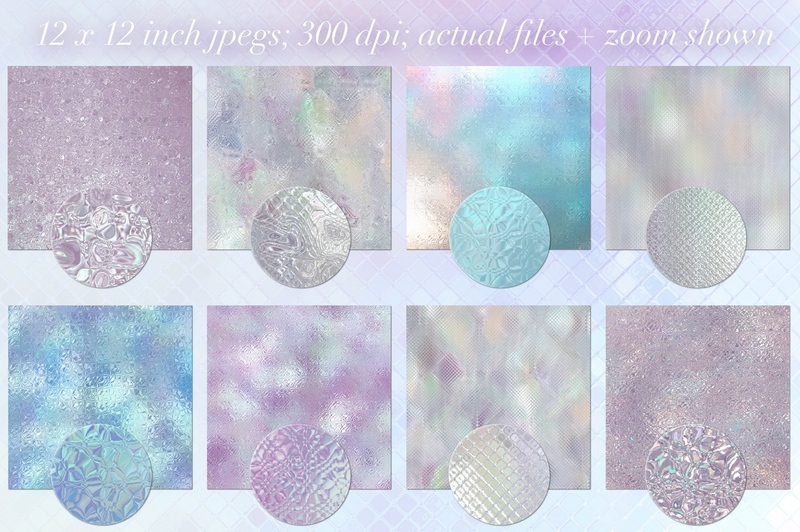 Recently updated the pack now includes 3 special paper sheets with preserved transparency, as well! 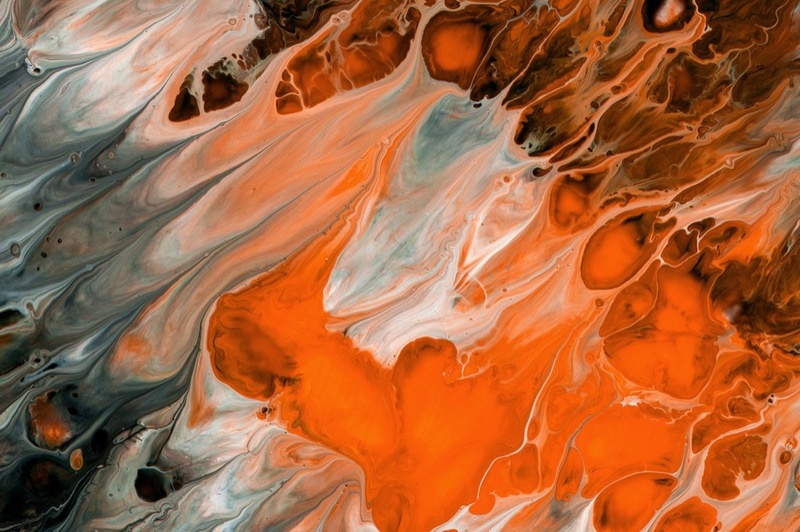 Software compatibility: Adobe Photoshop CS3 (and higher), Adobe Illustrator Version CS3 (and higher), .JPG and .PNG files will work with most graphic software. 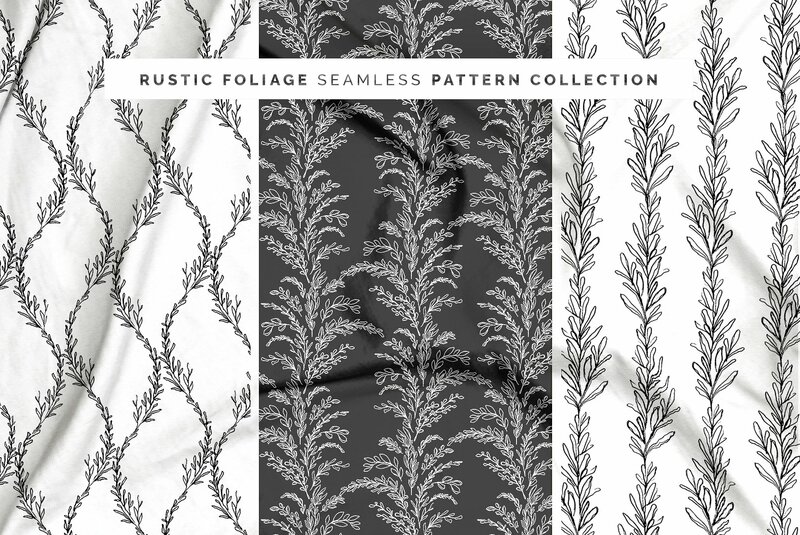 Introducing the Rustic Foliage Pattern Collection! 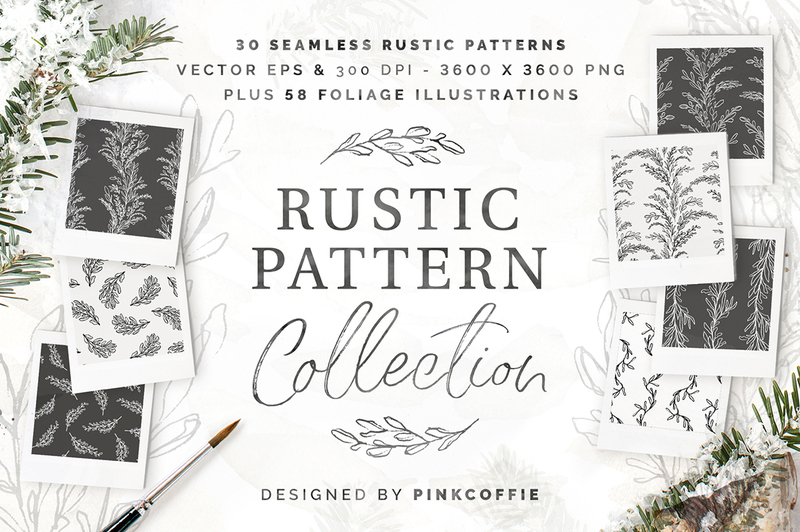 Featuring 30 wonderfully rustic seamless vector foliage patterns and 58 vector illustrations to mix and match, create foliage arrangments, add to branding and logos or create totally new patterns, dividers or graphics. 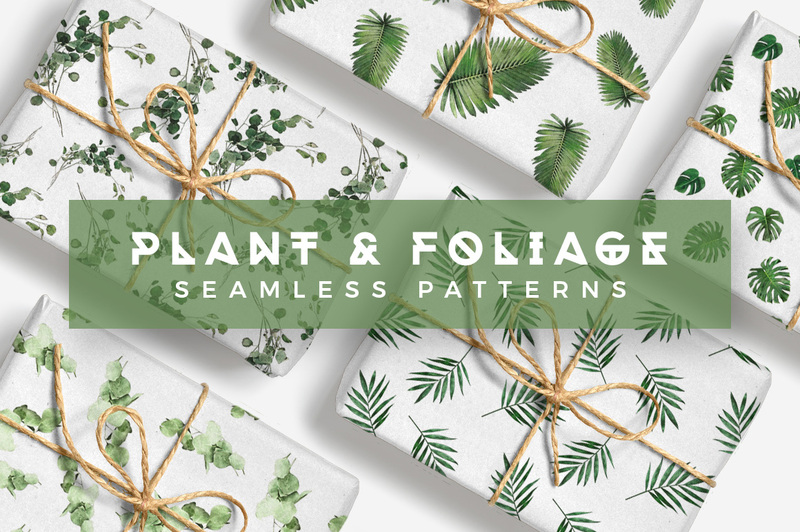 These seamless foliage patterns are perfect for organic product packaging, apparel & accessories, as well as blog, social media and website backgrounds & graphics! 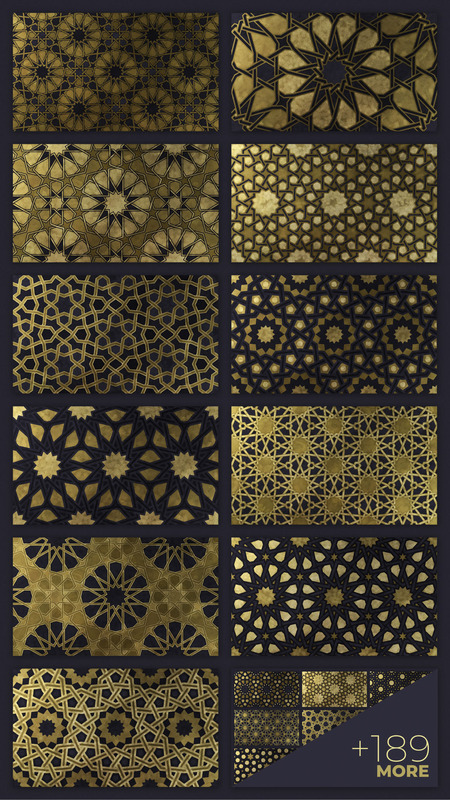 All seamless patterns come as seamless vector .EPS files, as well as tileable 3600 x 3600 transparent background .PNG files to open in Photoshop, Illustrator or in your preferred program & the motifs and illustrations, are available as both layered vector Photoshop shapes and an Illustrator file so you can scale them up without losing any quality. 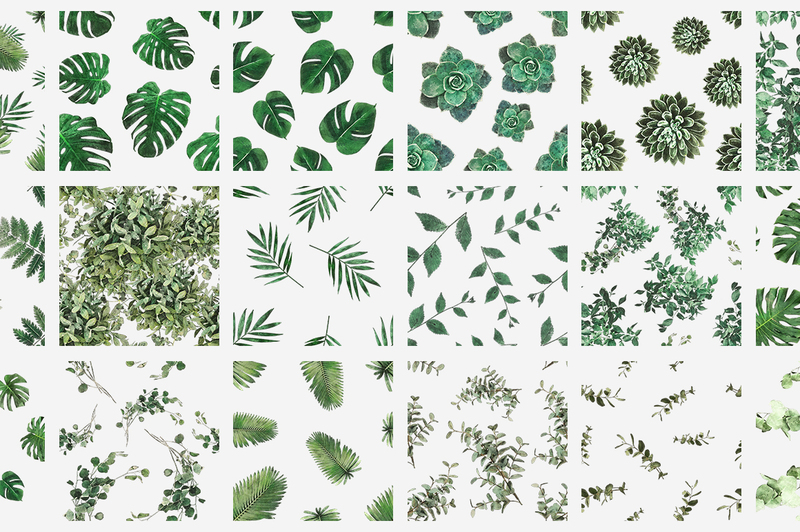 • 30 Seamless Rustic Foliage patterns (vector and raster) available as transparent background rasterizable vector .EPS and 3600 x 3600, 300 ppi .PNG files. Software compatibility: Adobe Photoshop CS3 (and higher), .EPS and .PNG files will work with most graphic software. 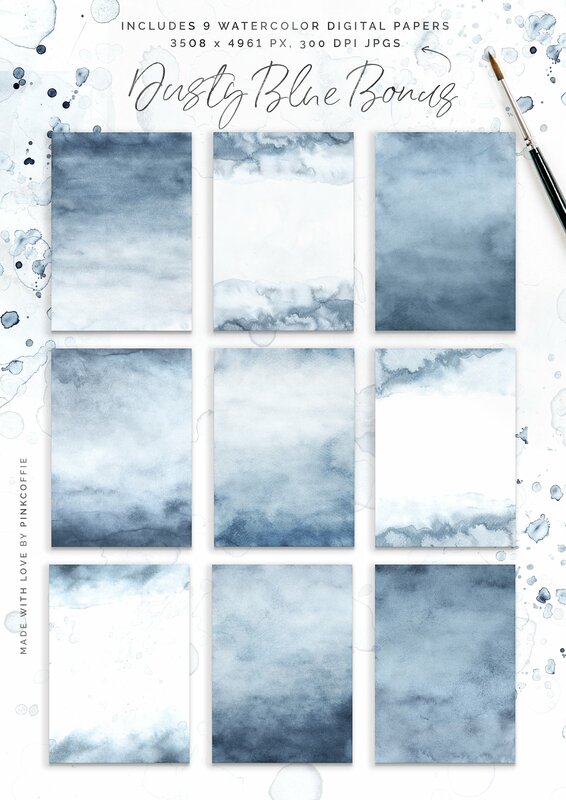 Introducing the Dusty Blue watercolor texture collection! 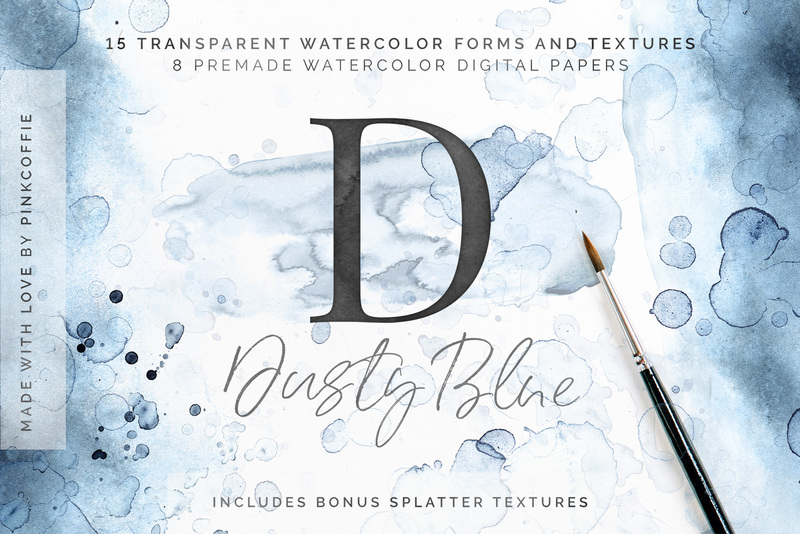 Dusty Blue includes a variety of gorgeous, semi-translucent watercolor washes in various shades of blue, forms, bonus digital paper & transparent background splatter textures. 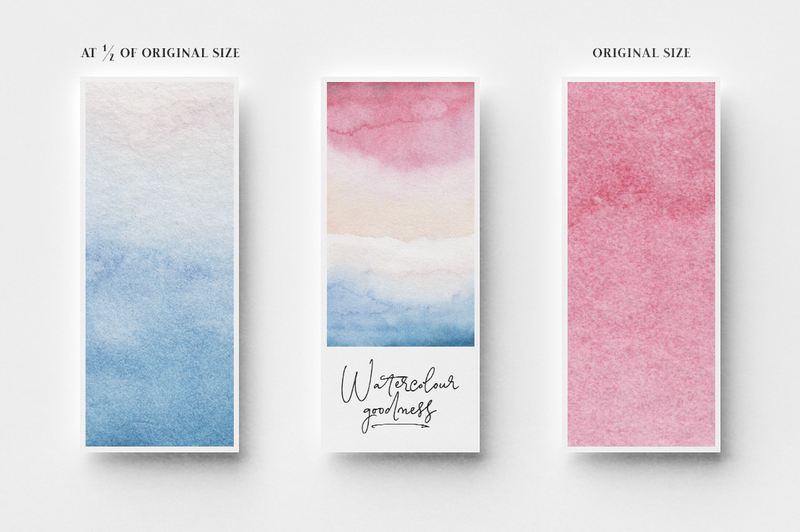 The kit is perfect for stationery & wedding invitations, wintery graphics backgrounds, watercolor patterns, digital papers, logo designs, feminine branding, and dreamy Instagram and social media designs. 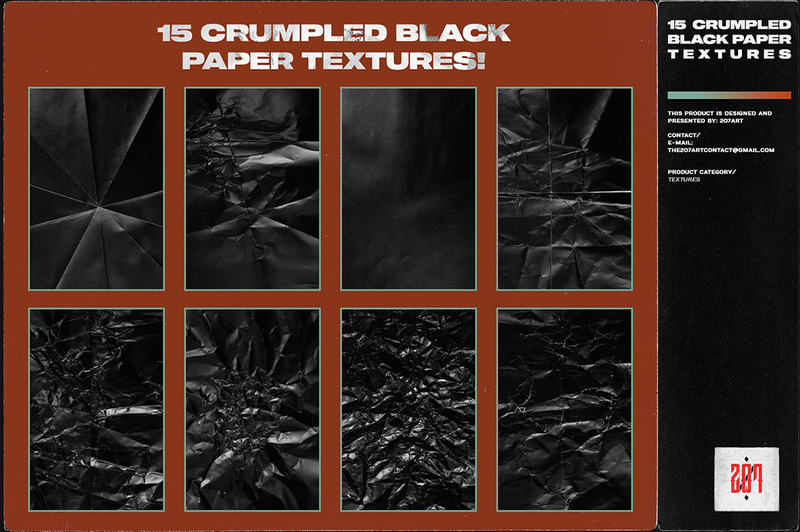 Use as is or duplicate the textures for more opaque forms, arrange them in totally new textures or overlay over light/white text for awesome results. 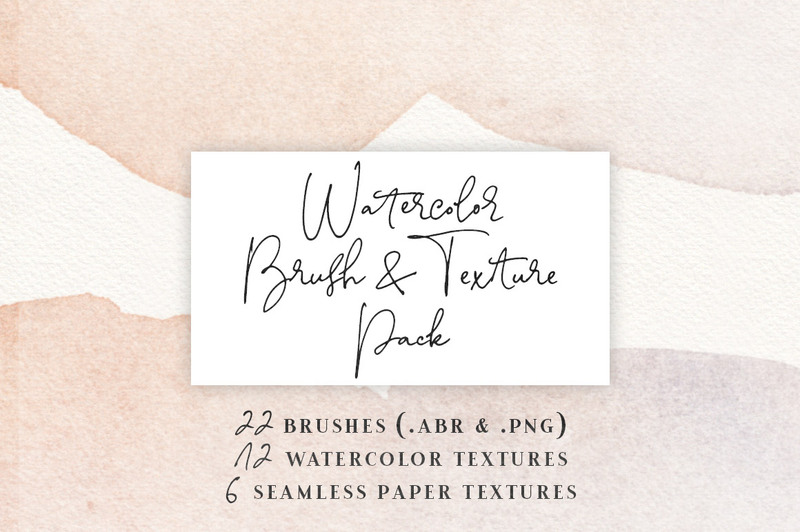 • 15 transparent watercolor forms and washes – various sizes ranging from 1675 min to 5523 max – 300 ppi .PNG, transparent background, semi-transparent forms & textures which you can overlay to create new watercolor textures or duplicate until satisfied with opacity. 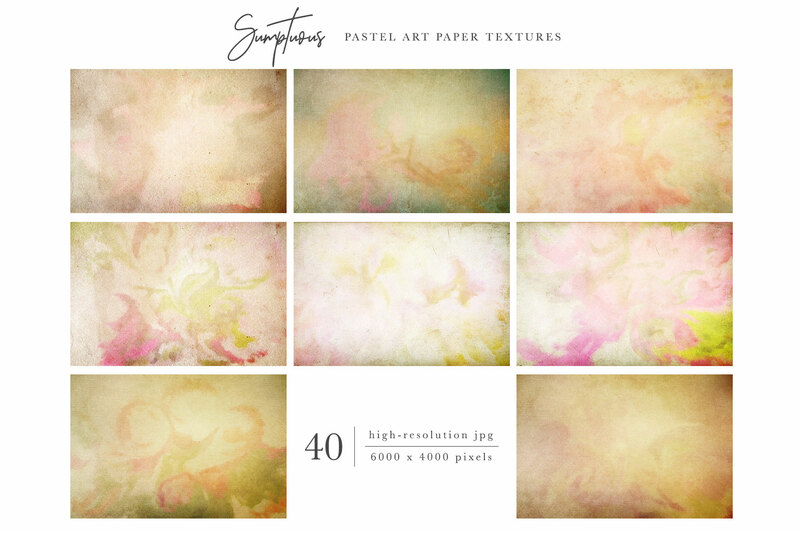 • 9 bonus digital papers – premade watercolor digital papers (non seamless) 300 ppi, 3508 x 4961px .JPG in various yummy shades of blue. 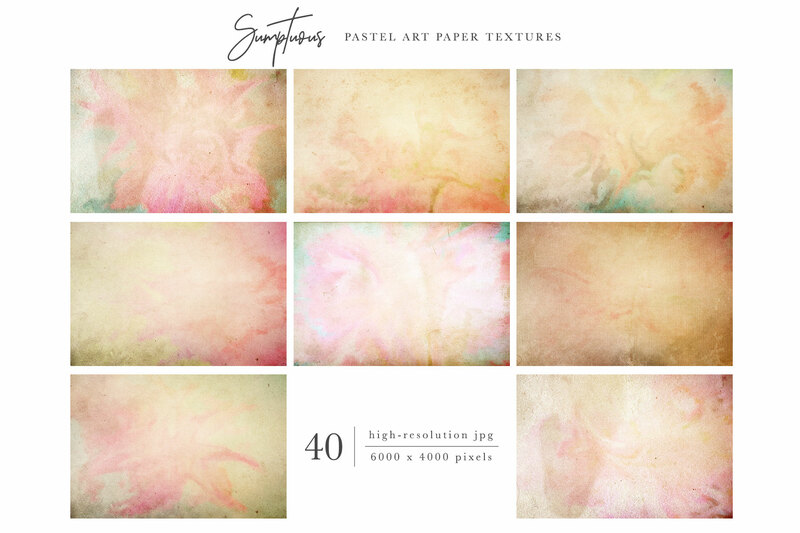 • 3 bonus splatter textures – translucent splatter textures with transparent background, 4960 x 7015 px, 300ppi .PNGs. 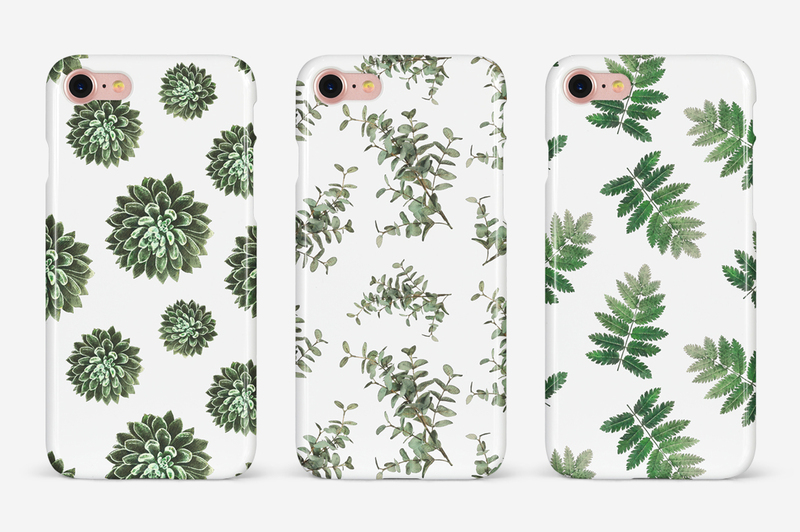 A great collection of 20 plants and foliage seamless patters. 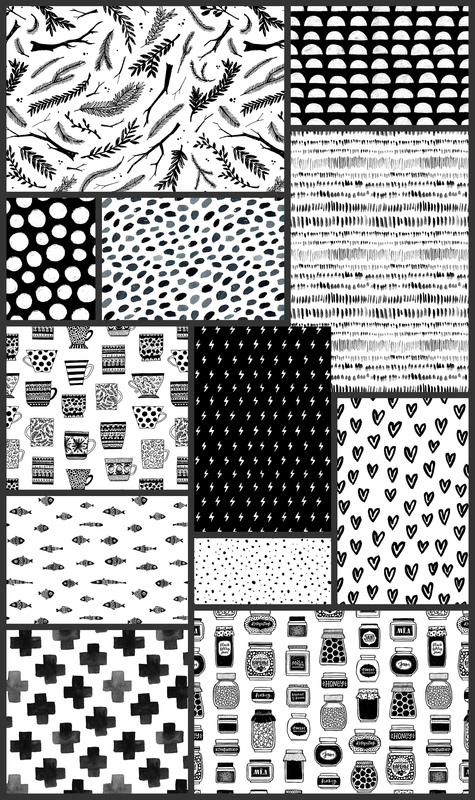 All files have a resolution of 1500x1500px, are tileable and come in .PNG format, so you can create very high resolution patterns and place them on any background you wish, be it white, black, textured or any other color or shade. 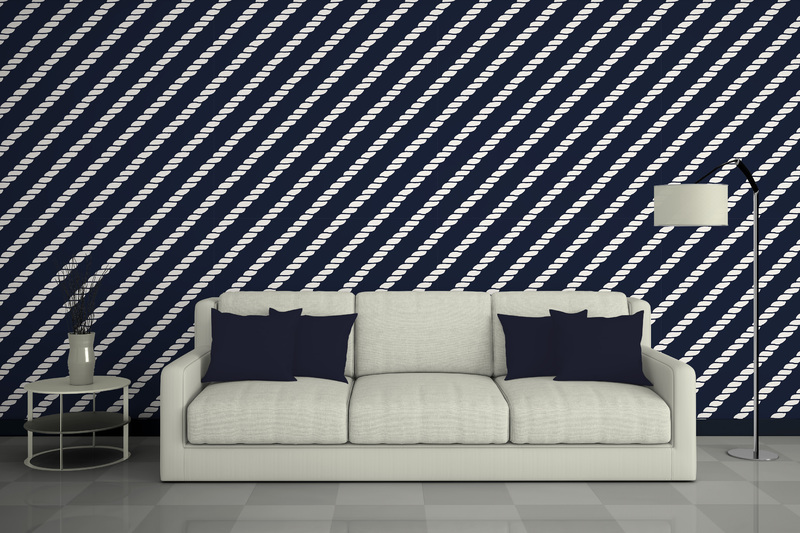 We also included 20 high resolution (6000x6000px) ready to use patterns. 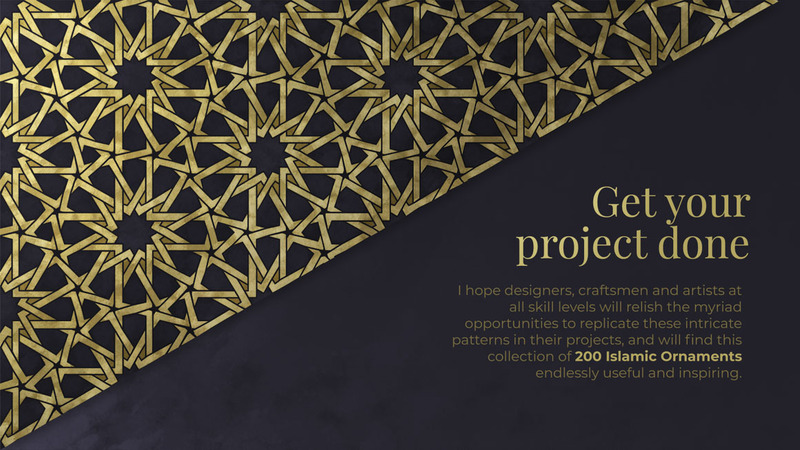 200 Islamic Ornaments is a collection of decorative geometric backgrounds inspired by the rich cultural heritage of the Islamic world. 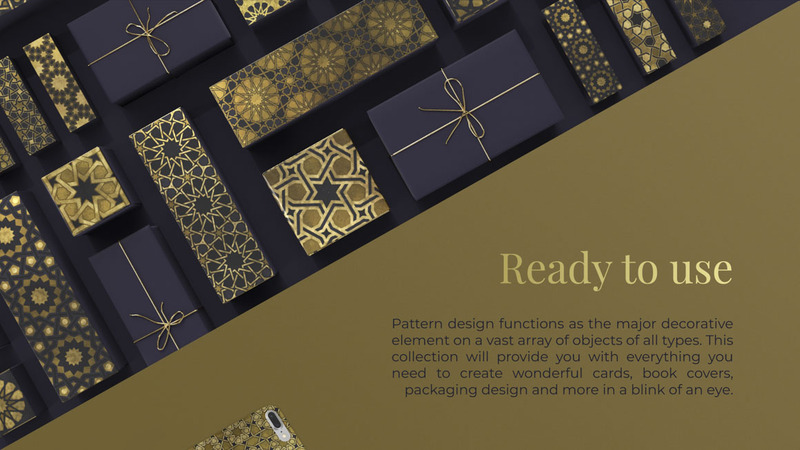 This collection is an invaluable resource for designers of all kinds, and is perfect to create not only elegant textile design but also outstanding branding, stationery and packaging as well. 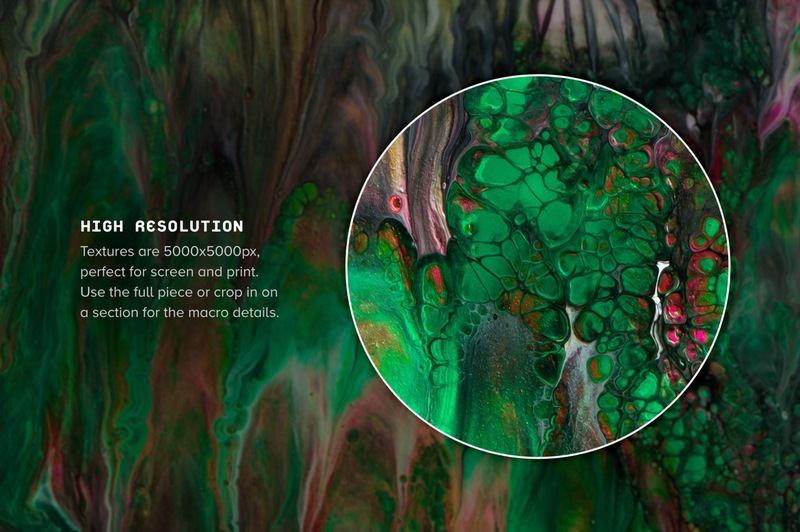 • 200 .JPG high-res backgrounds (10000px on the wide side and up to 6000px on the short side). 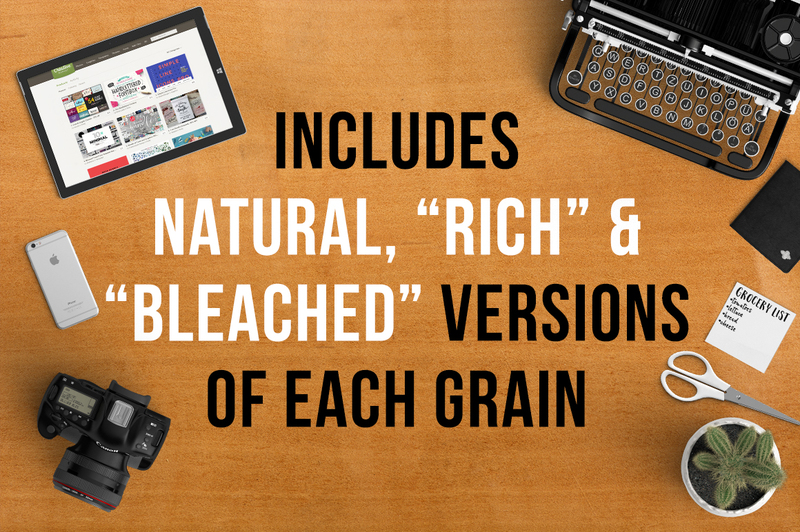 Use it with any program, no specialized software required. 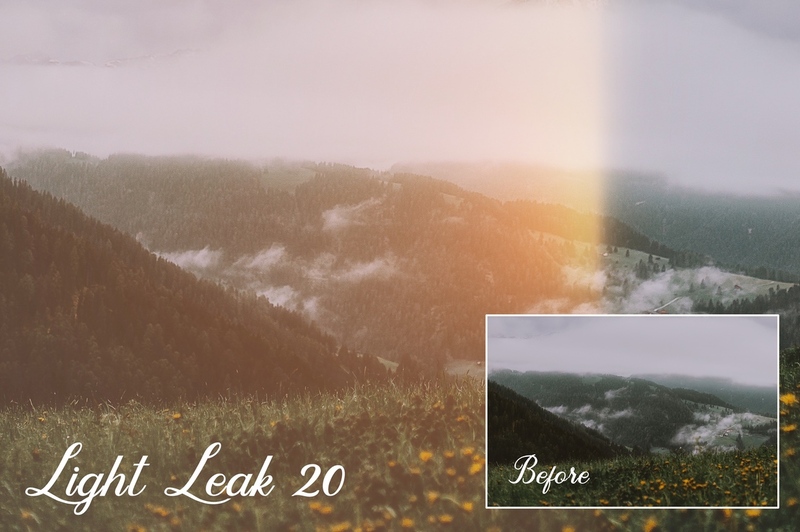 • 20 .PSD source files (layered files with vector Smart Objects for scaling without loss of quality) Compatible with Adobe Photoshop. 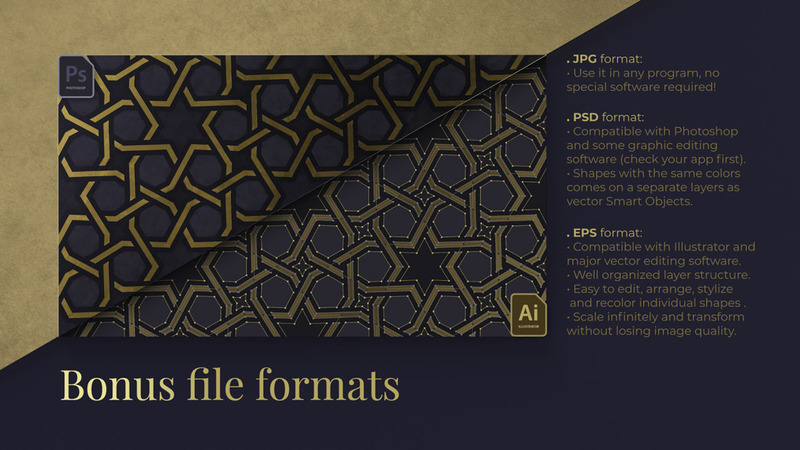 • 20 .EPS and .AI source files (editable vectors that can be easily adjusted to your project needs) Compatible with Adobe Illustrator. 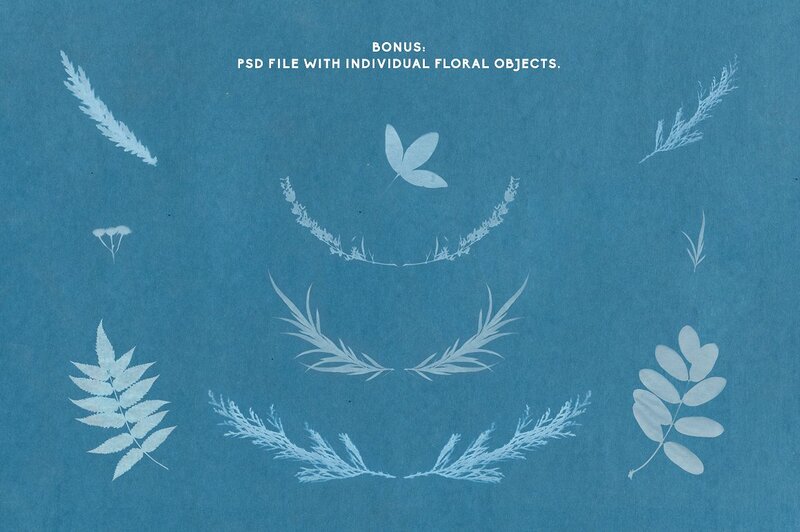 • 20 .DXF format files for architectural needs and 3D. Compatible with AutoCAD and most CAD applications. 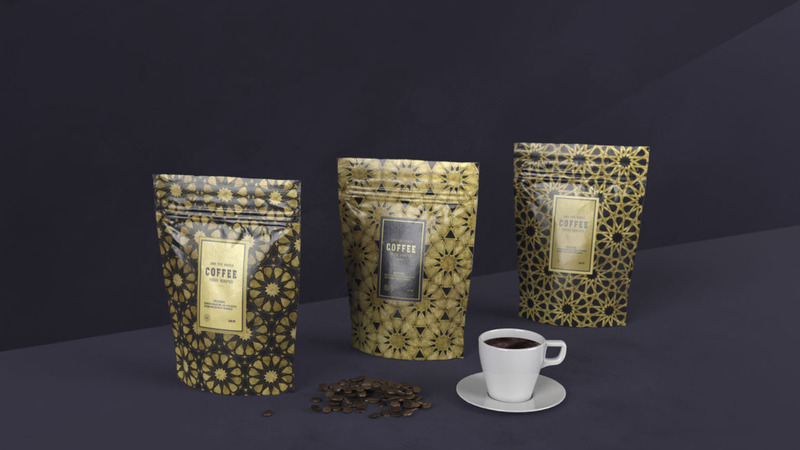 Software compatibility: Adobe Photoshop CS5 (and higher), Adobe Illustrator Version CS5 (and higher), .JPG and .EPS files will work with most graphic software. 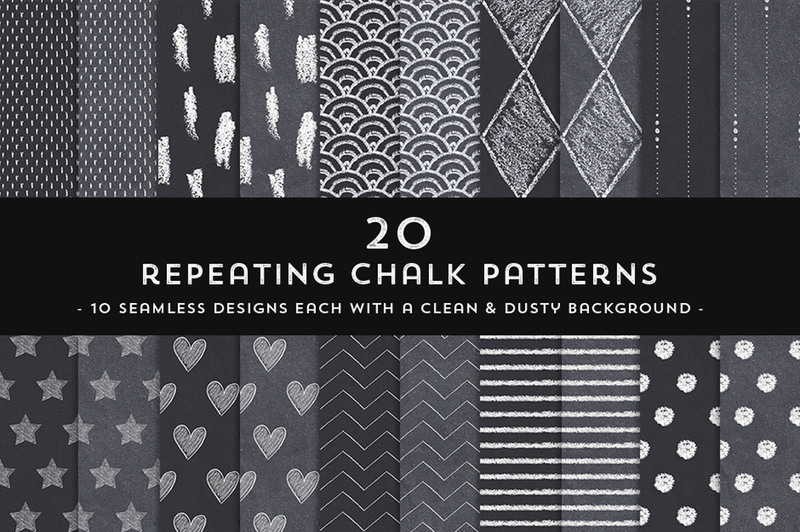 Add some hand-drawn chalk charm to your designs with this pack of 20 seamless patterns! 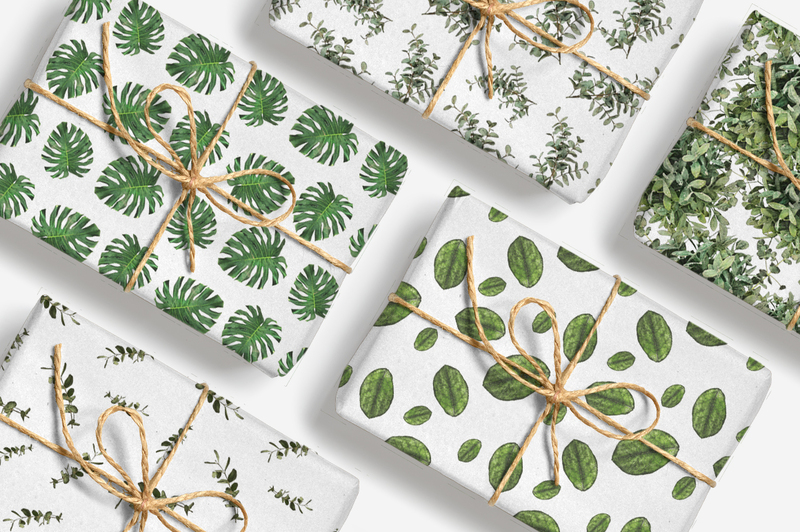 This set has been created to be versatile enough to use with any number of projects, from stationary and wrapping paper, branding, packaging, textiles, digital scrapbooking and more. 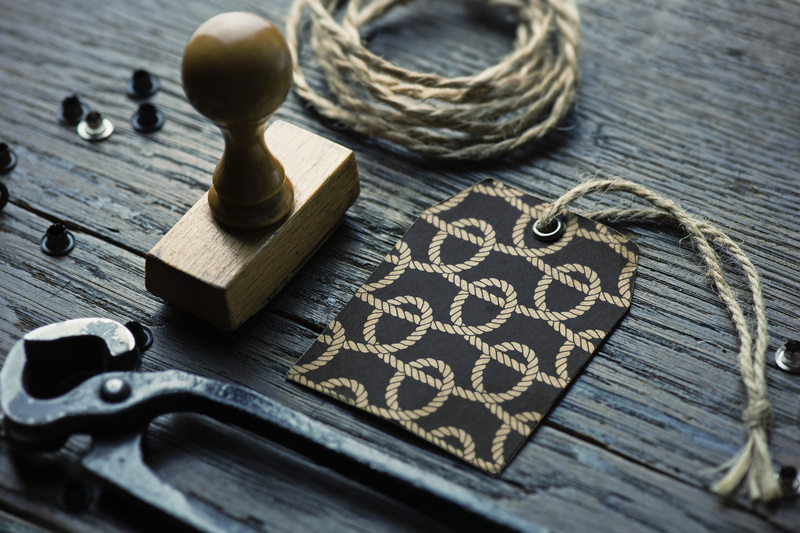 With 10 unique designs each available with a ‘clean’ or ‘dusty’ version, the variety is there to suit whatever style you’re trying to achieve whether contemporary, clean, crisp, traditional, vintage, rustic or grungy. 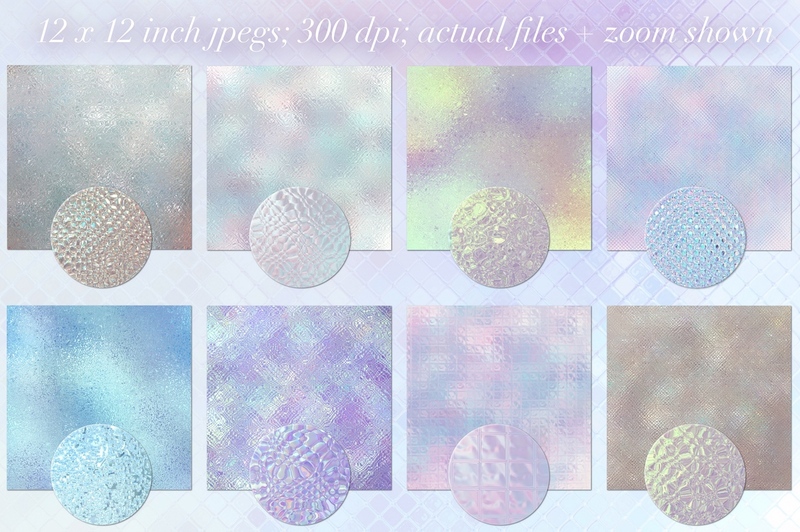 All the patterns are available as .JPG files and as Photoshop .PAT files so you can add some chalk charm to your designs super quickly and easily! Software compatibility: Adobe Photoshop CS3 (and higher), .JPG files will work with most graphic software. I’m pulling away from the laptop and prefer my iPad Pro instead. 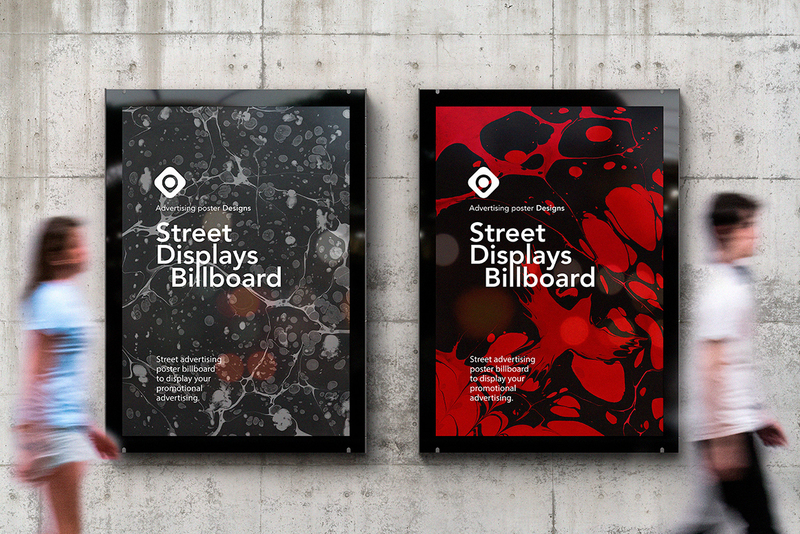 More convenient from one side and delivering more artistic freedom from another. Who would refuse from keeping up to the trends?! 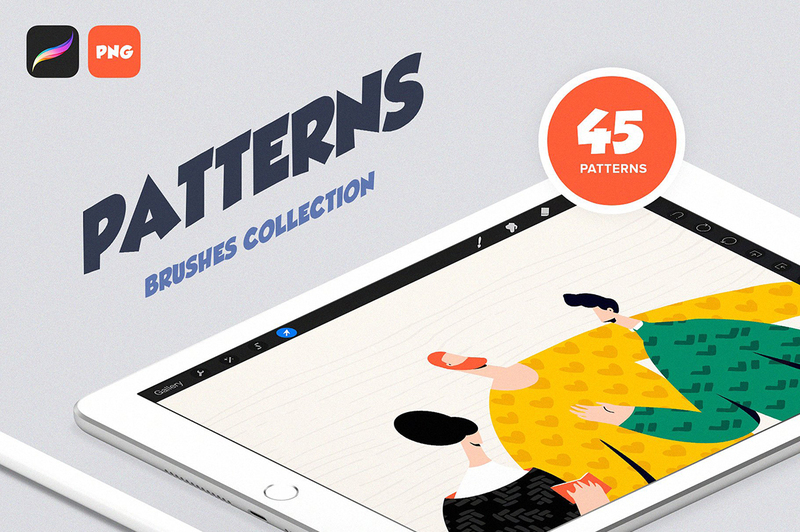 My new collection of pattern brushes was created to satisfy needs and creative ideas of my iPad Pro fellows — and it’s so vibrant! 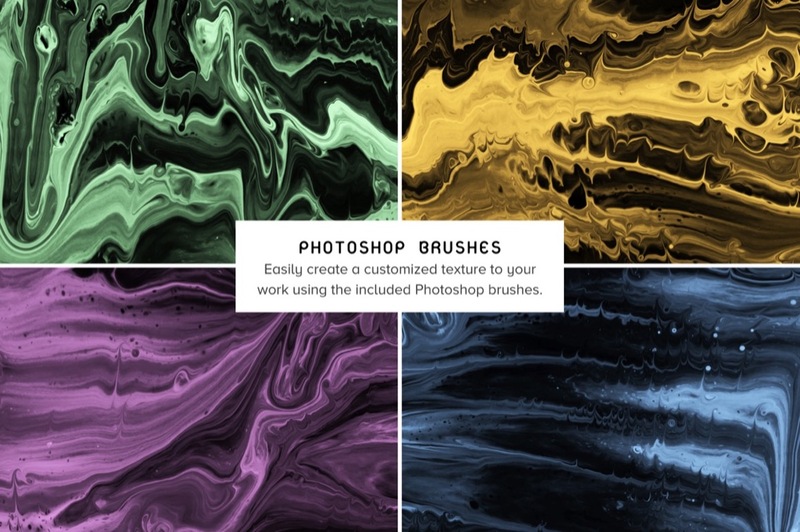 It includes 45 brushes, which you can easily customize and bring to your images. Or create your own compositions! 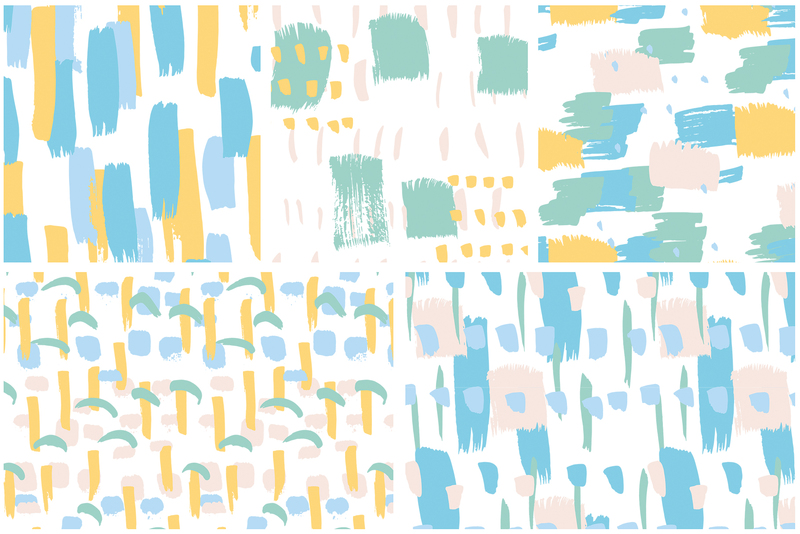 Use the brushes intuitively, add some color accents and check out the discoveries I’ve made with the brushes for more inspiration. 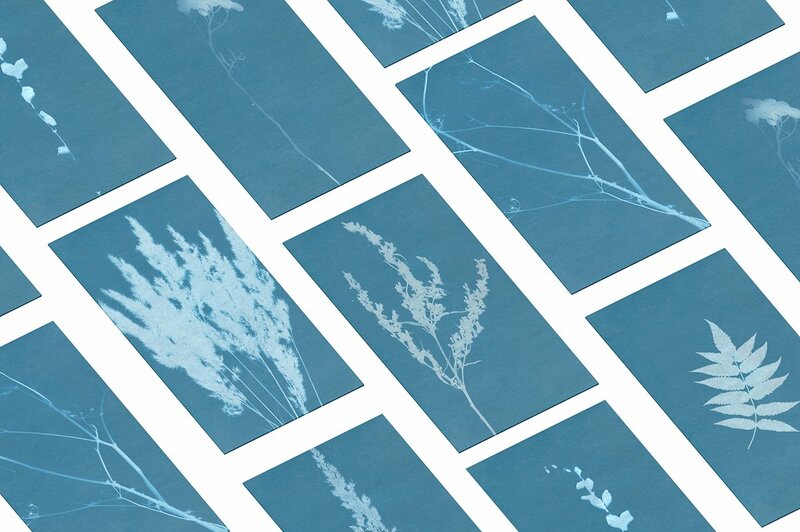 Cyanotype, also referred to as “blueprinting”, is the oldest non-silver photographic printing process. 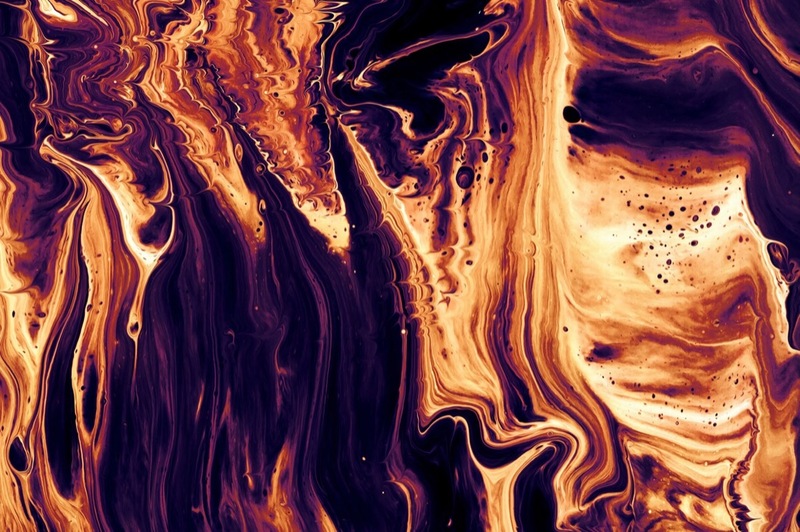 It involves exposing materials which have been treated with a solution of potassium ferricyanide and ferric ammonium citrate to a UV light source such as the sun. 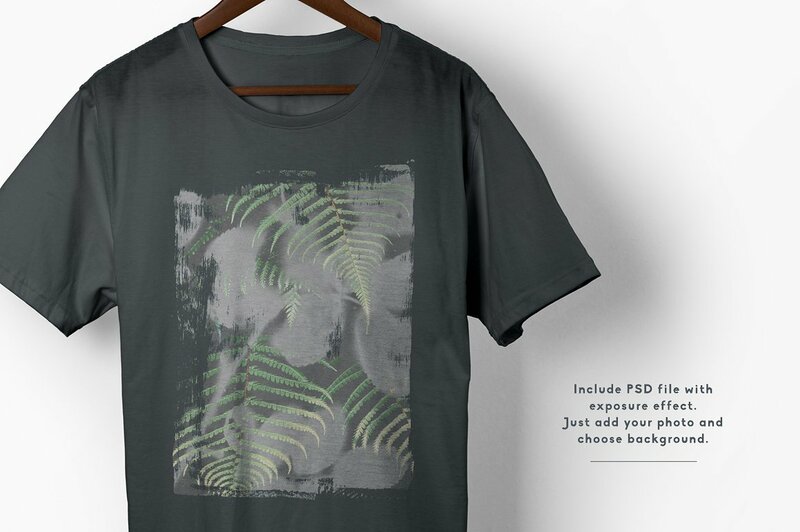 Negative or positive images can be obtained by blocking UV light from reaching the sensitized material. 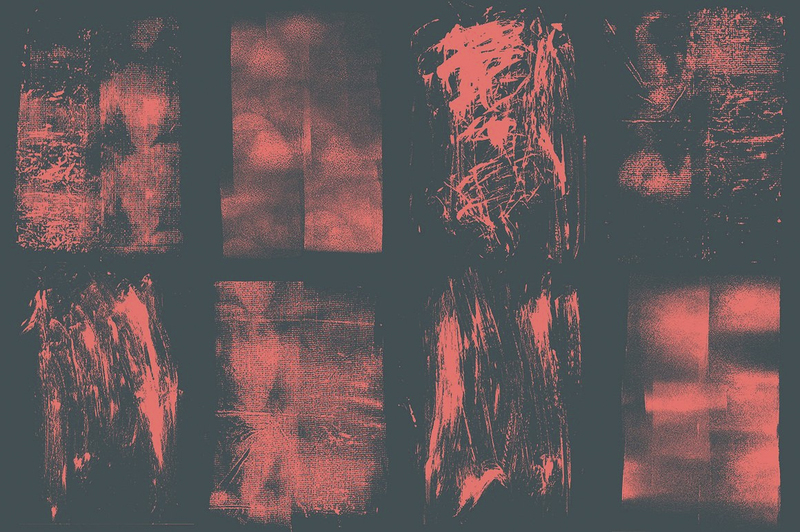 For example, a negative image can be produced by placing a leaf upon paper treated with this solution and exposing to sunlight for 10 to 20 minutes. 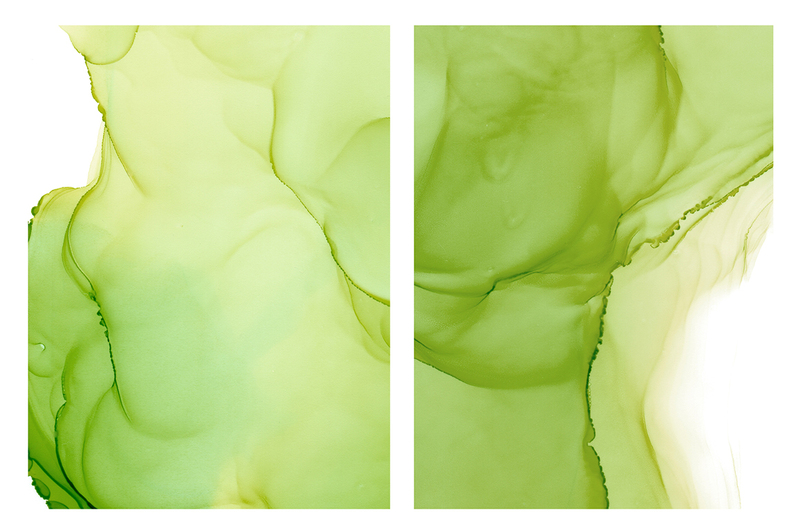 The paper will retain the image of the leaf after it has been rinsed with water. 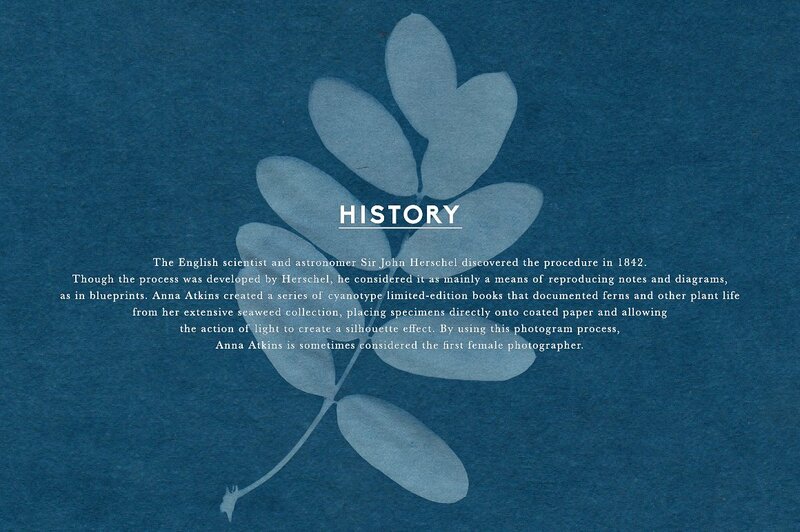 Once the paper dries, parts that were exposed to the sun will turn a shade of Prussian blue (ferric ferrocyanide), while parts that were covered by the leaf will remain white. 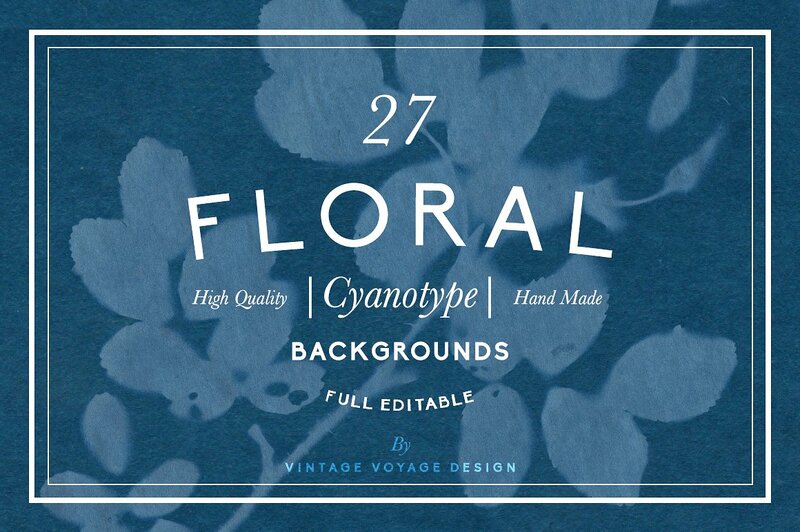 This pack includes 27 different floral cyanotype backgrounds that would be perfect for any kind of paper stationery, posters, postcards, notebooks, book or magazine covers and more! 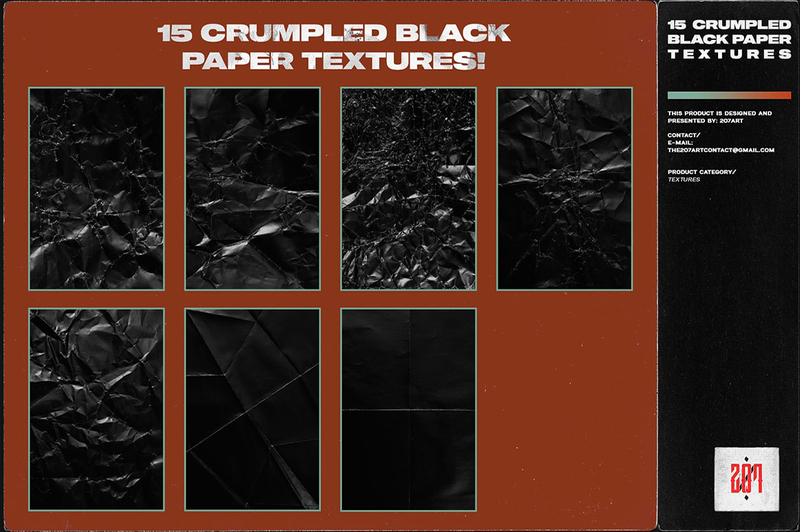 Give your photos a poster-ready look using these super high quality crumpled black paper textures! 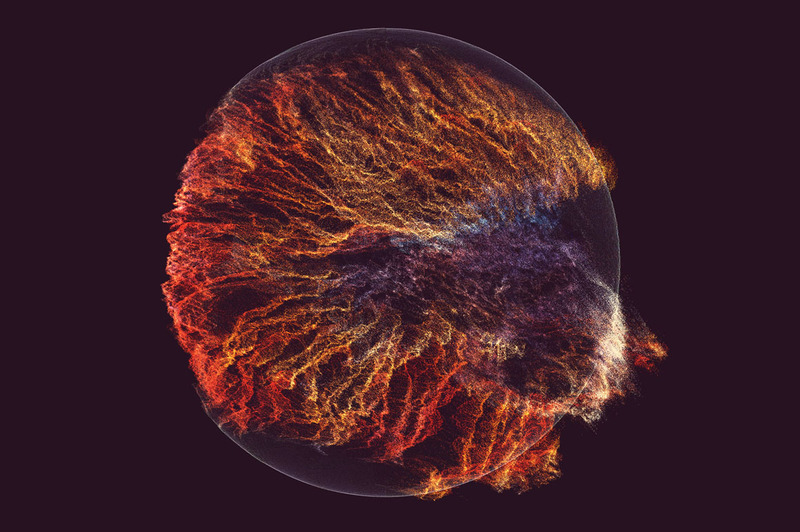 You can play with the blending modes or invert the textures to create different and unique results. 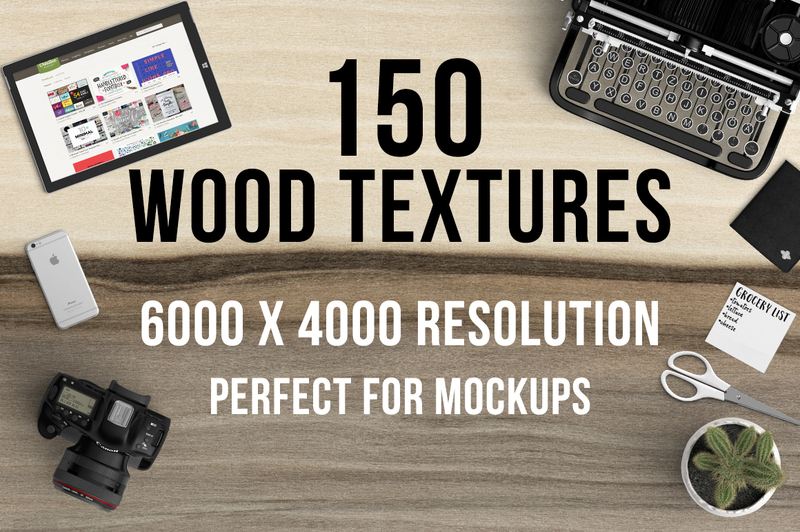 Introducing a collection of 150 high-resolution real wood grain textures, including domestic and exotic species. 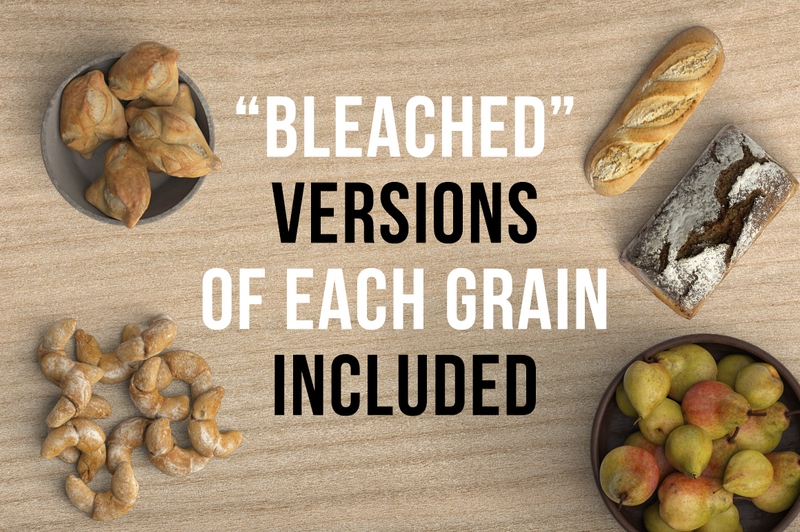 Each variety comes with natural, bleached and rich versions, pre-sorted into folders and labeled by species so you can easily find what you’re looking for. 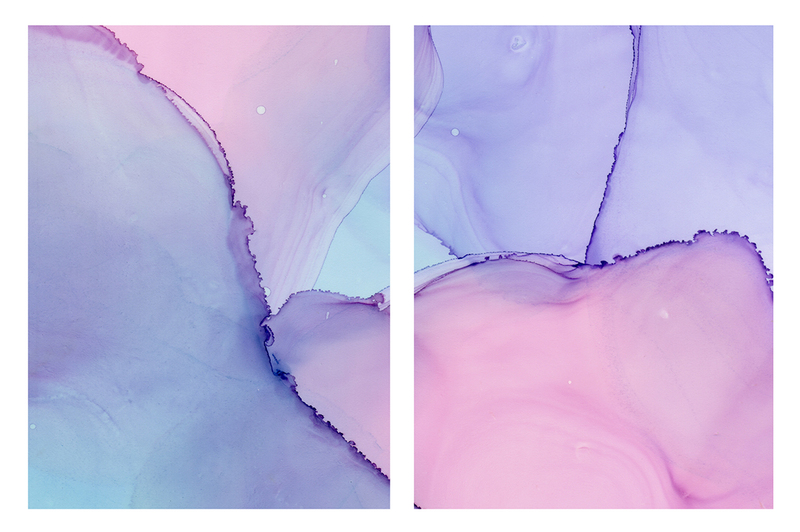 Since these are 20 x 13.3 inches at 300ppi, they are large enough for virtually any project, whether personal or for print, with crisp textures across the entire frame. 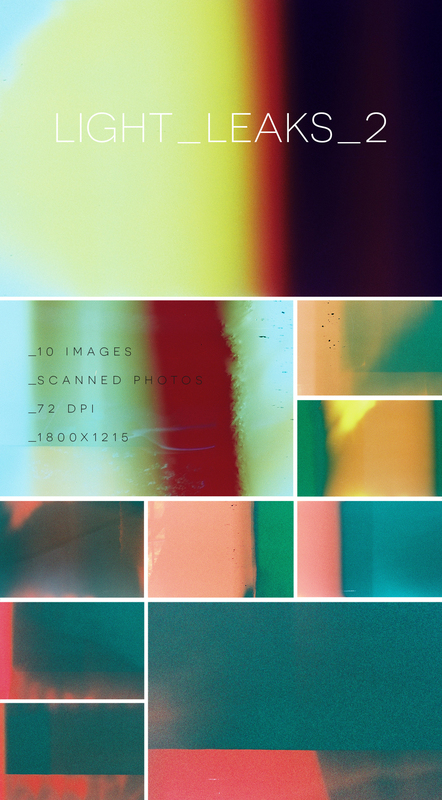 They were saved straight from the RAW files of a high-end DSLR camera. 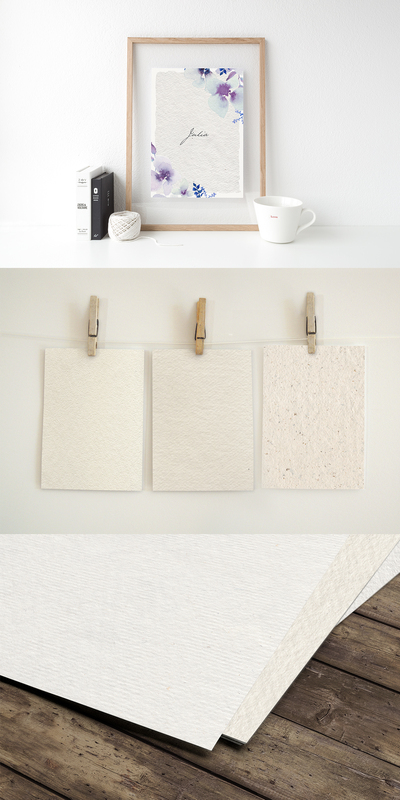 These are perfect for mockups or any creative project where you need a wooden backdrop. 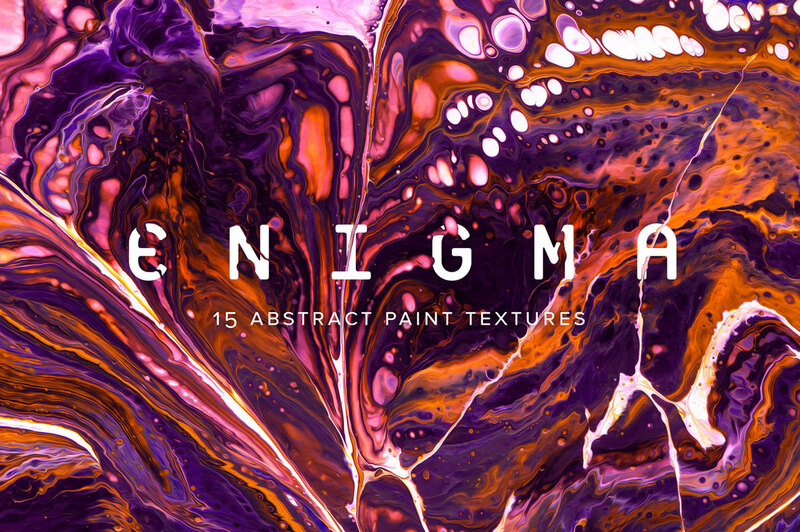 This colourful particle texture collection will add an eye-catching aesthetic to any contemporary design project. 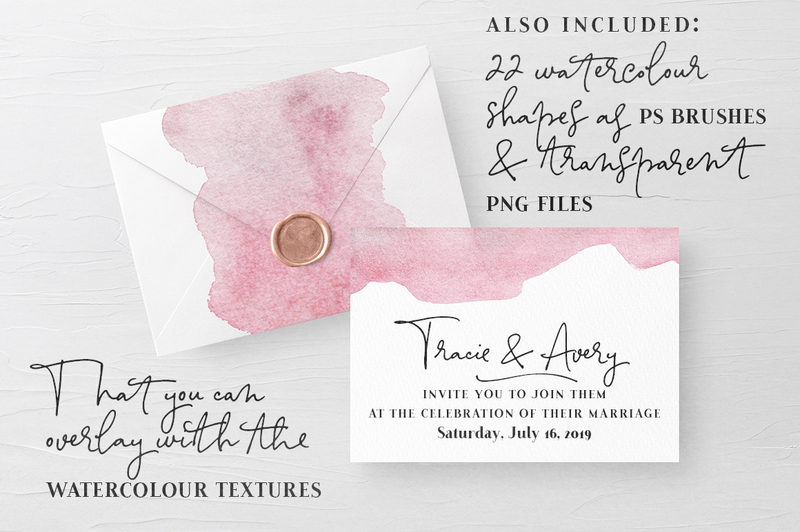 Use Photoshop to easily customize the look and feel of each design. 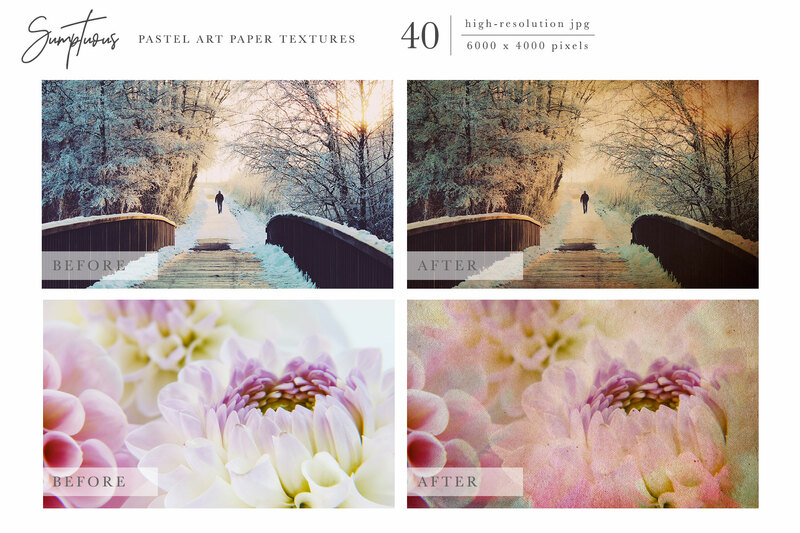 Adjust your hue and saturation to create different colour options. 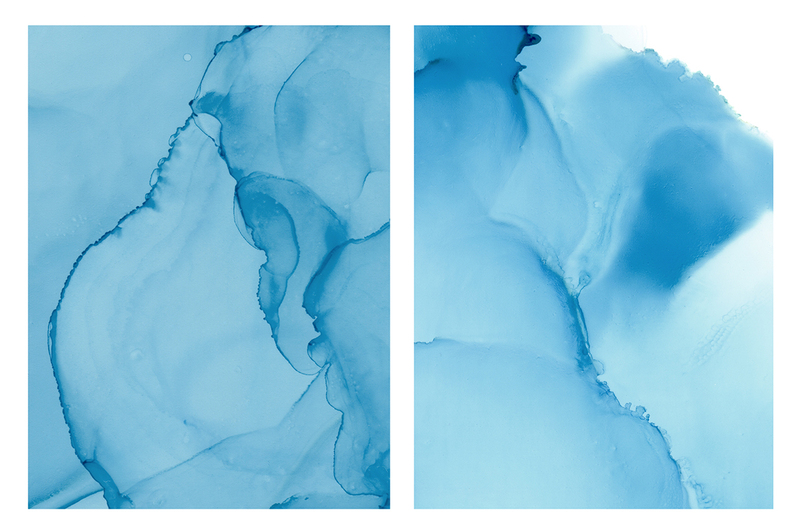 Invert the colour to get a completely different look. 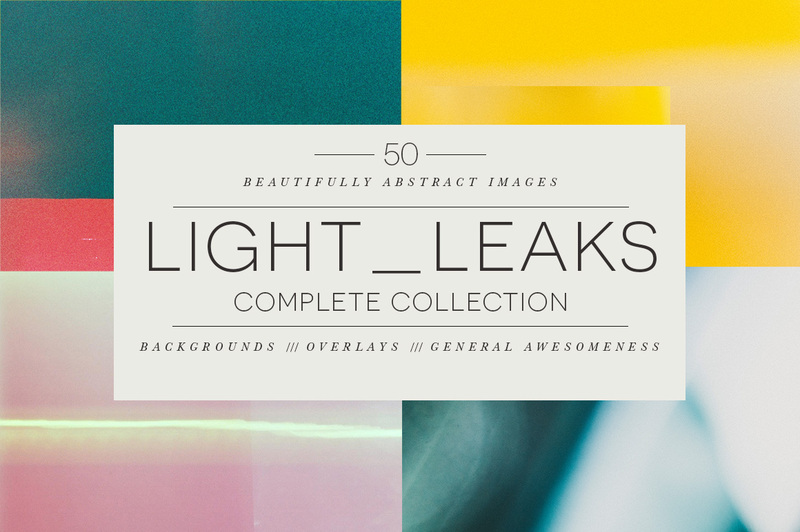 Light Leaks is a collection of 50 background images, showcasing variations of beautiful abstract colors, perfectly paired with gritty, grainy texture. 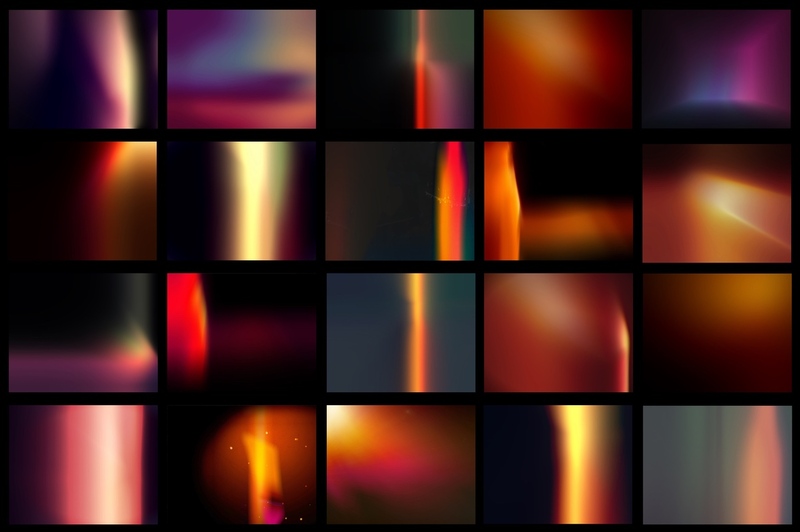 The images are simple, colorful, eye-catching and personally, I love each and every one of them! 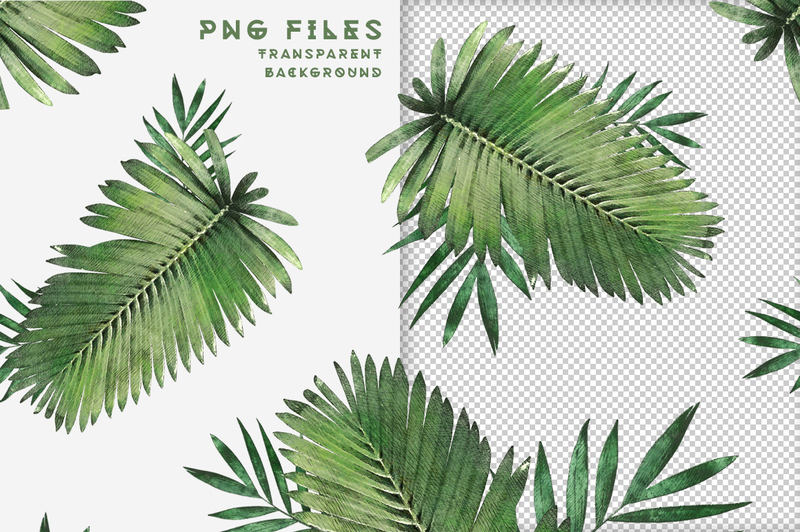 They can be used for backgrounds, overlays, album/book covers, web applications, graphics, posters, or pretty much anything that your creative mind can dream of. 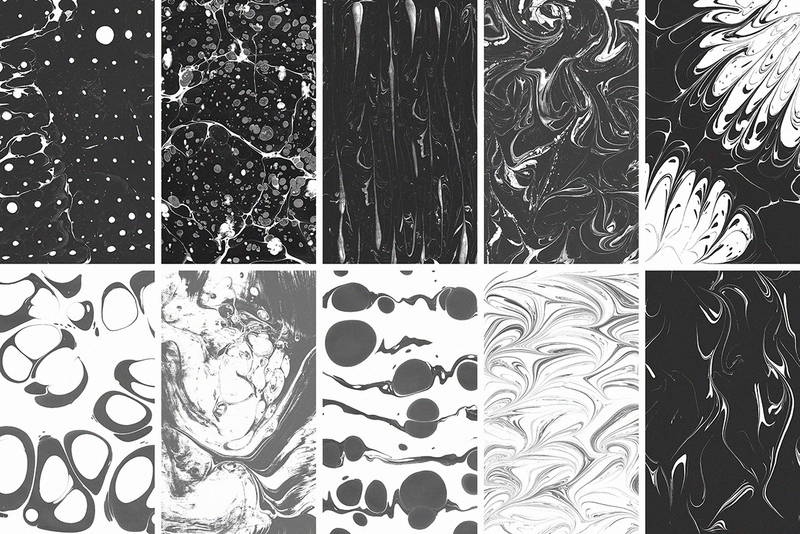 I am pleased to introduce you to this collection of 72 lovely abstract textures. 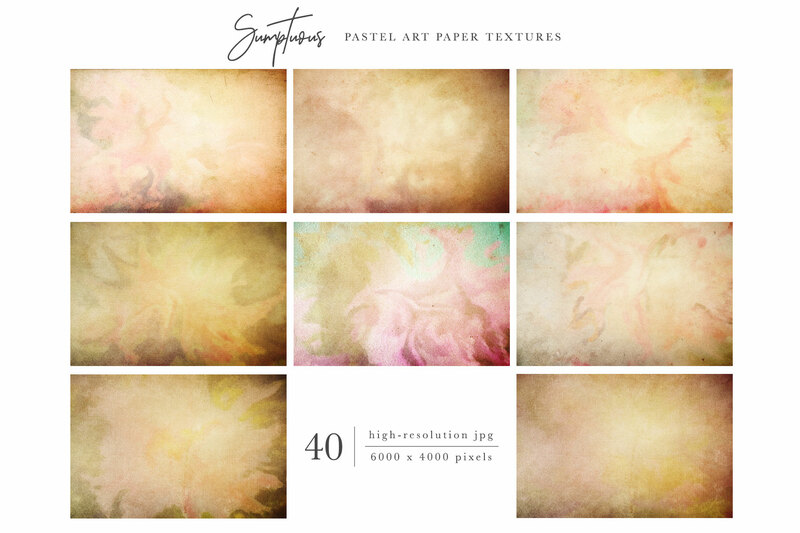 These textures are of good quality and perfect for invitations, cards, web design and more! 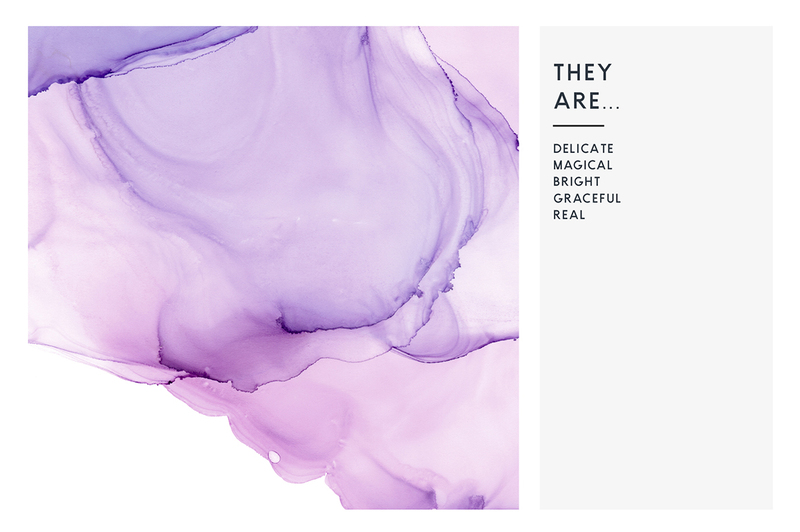 Soft, airy, graceful, light, romantic, magic? Bright, explosive, dynamic? 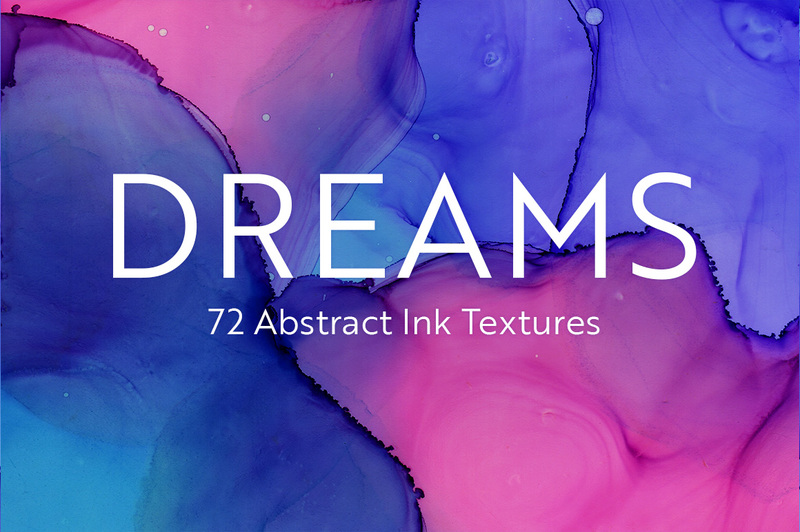 Dreams are different – and this project gives you everything you can dream about. 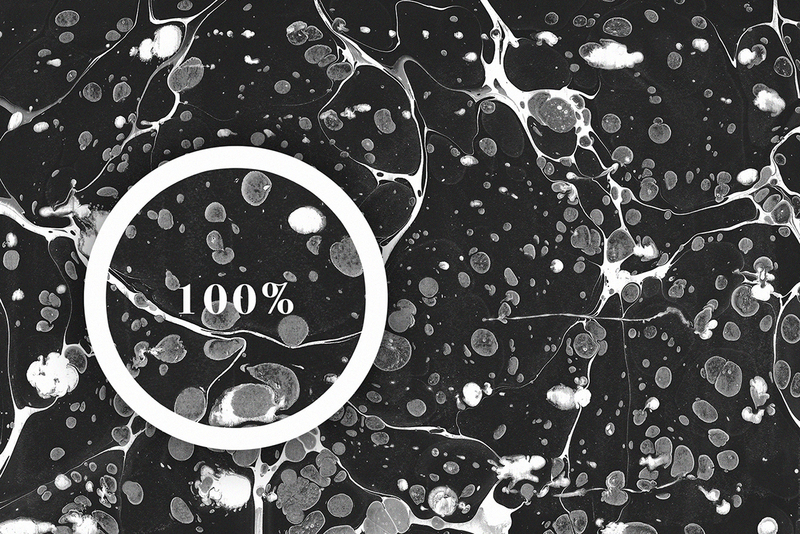 Each texture within the project is the endless flight of fantasy. 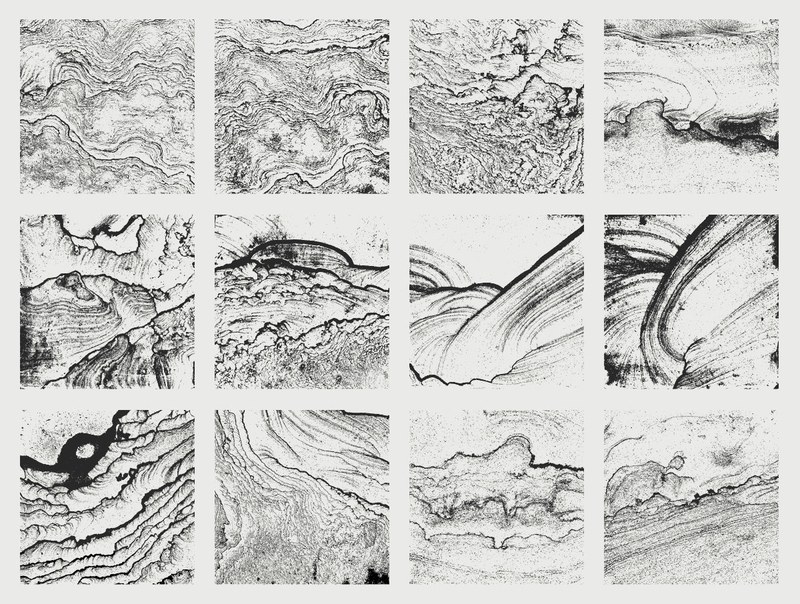 All my works were initially hand-painted, then scanned and modified into these .JPG files. 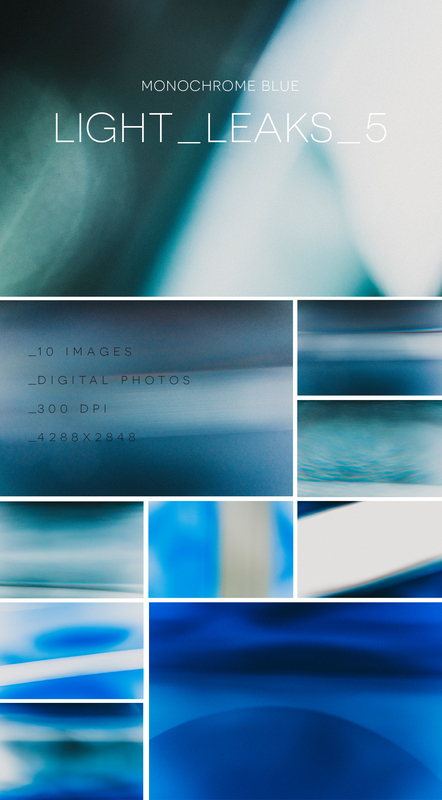 All images are on a white background. 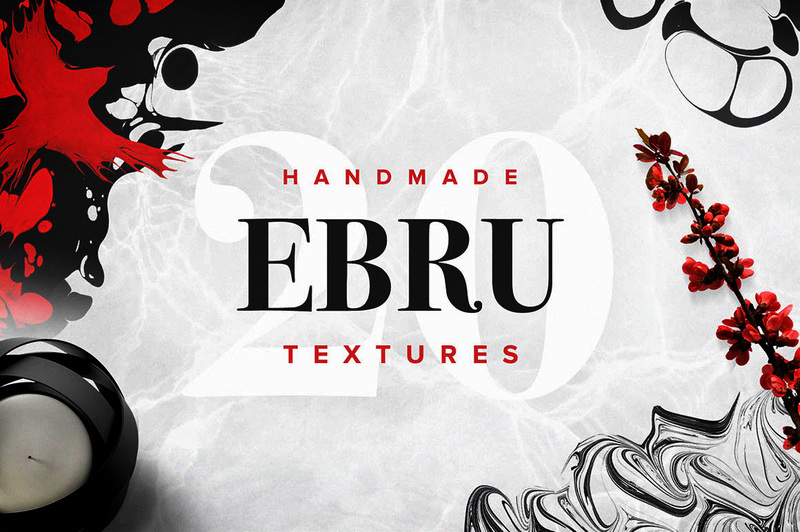 Presenting Ebru Textures Collection a beautiful set of 15 black-and-white and 5 radiant black-and-red textures. 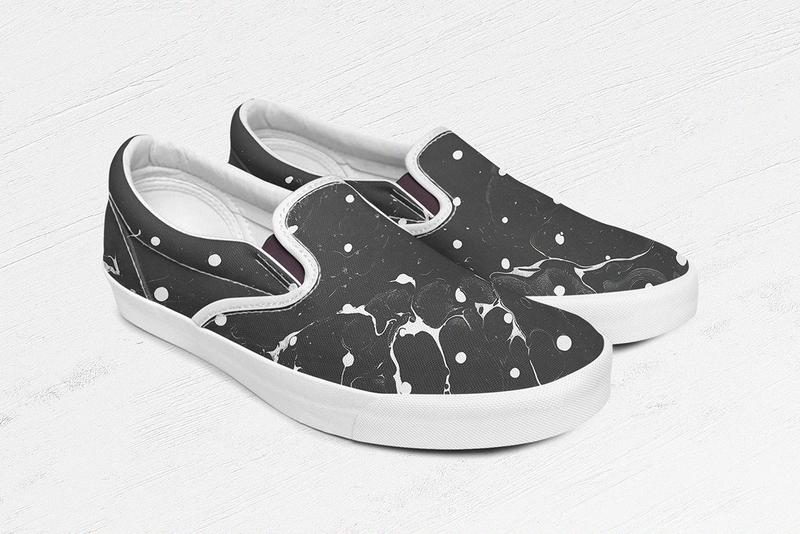 Inspired by the wonderful marbling technique of ebru, our team just couldn’t hold back the spirit to create something containing the hypnotizing blend of colors. It’s hard to count how many packs of acrylic paint and sheets of paper were used! So after a while with help of different tools and an inexhaustible flow of imagination, we’ve managed to pull out these incredible forms. 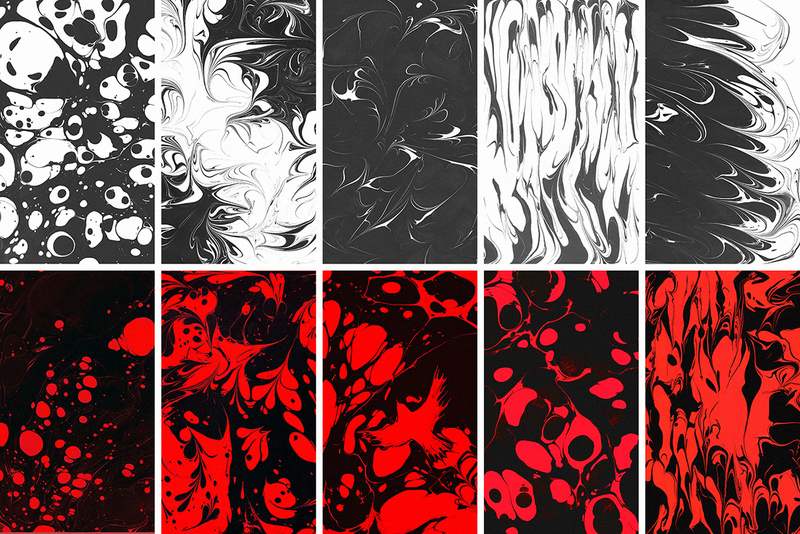 Here it is, the Ebru Textures Collection, featuring 15 black and white textures with a pleasant addition of 5 in black and red. 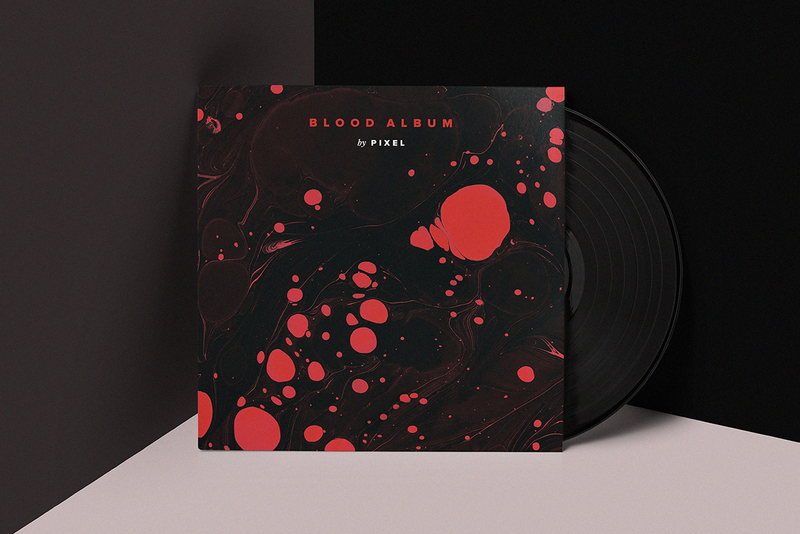 All pieces are bound together under a common noir theme, diluted with combinations of red tones. 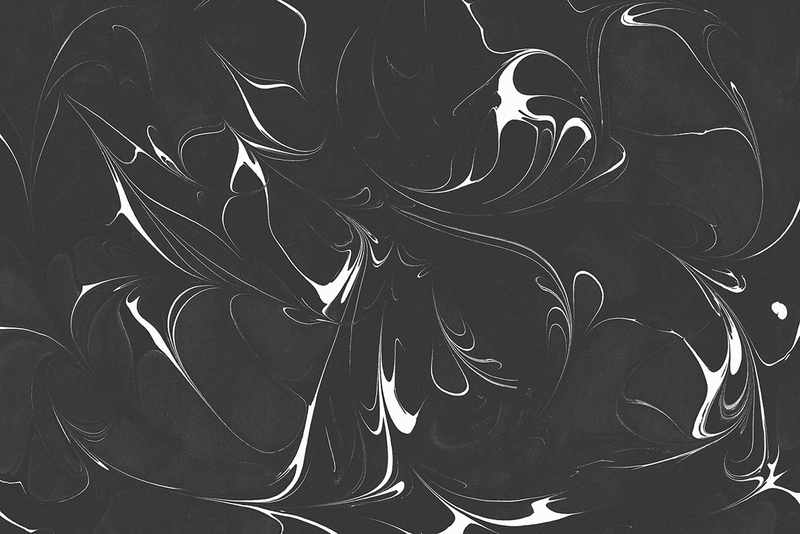 Abstract shapes always find their place in a great number of projects, why not create one with Ebru Textures? 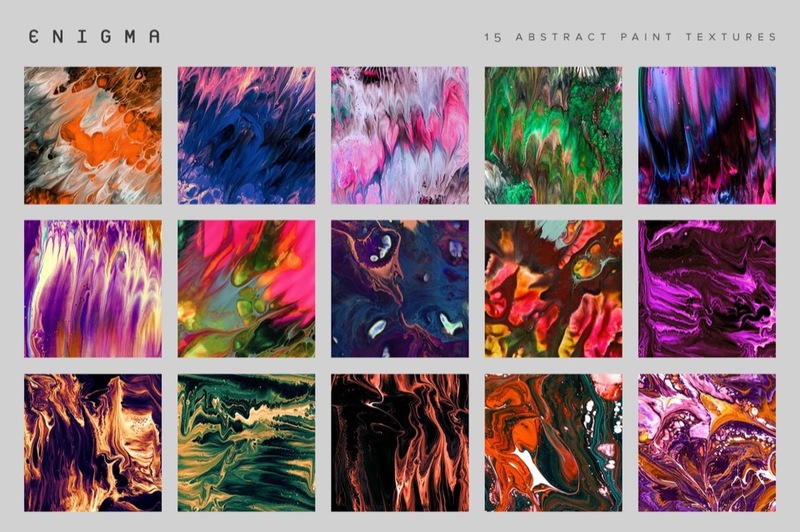 A set of 15 unique and stunning abstract paint textures. 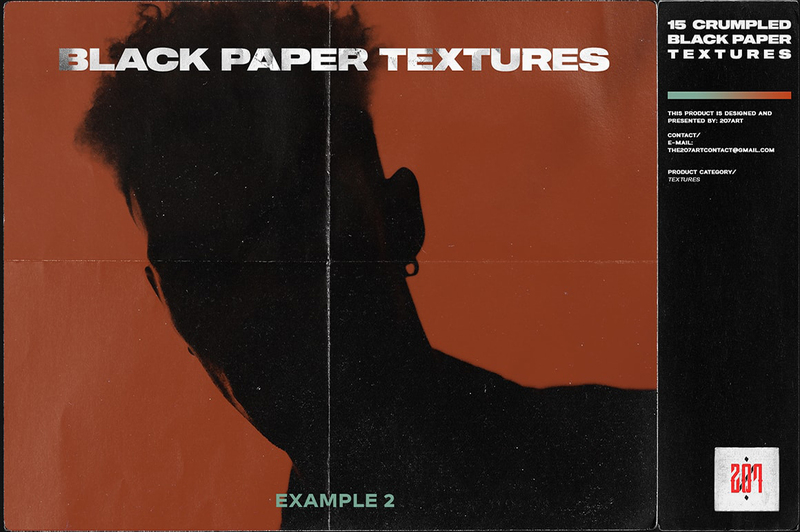 This set of paint textures will bring a unique feel to variety of projects, like packaging design, branding/identity work, concert posters, album artwork and more. 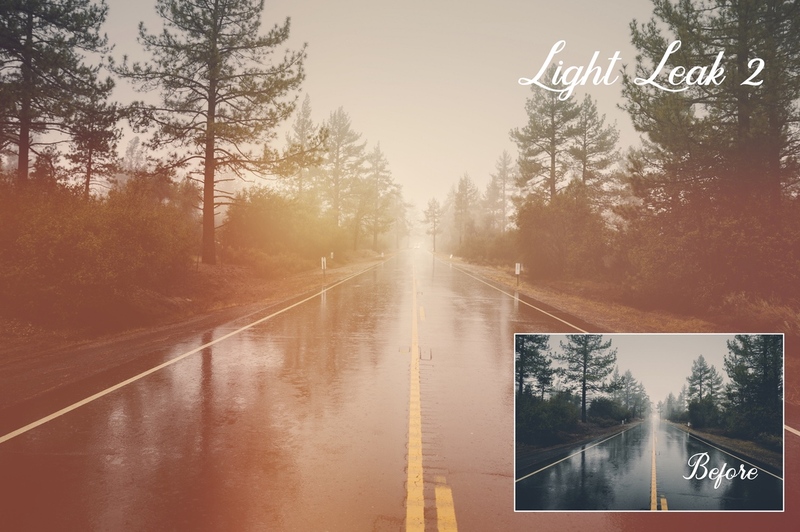 Using Photoshop, you can easily customize the look and feel by using adjustment layers like hue/saturation, color balance or invert. 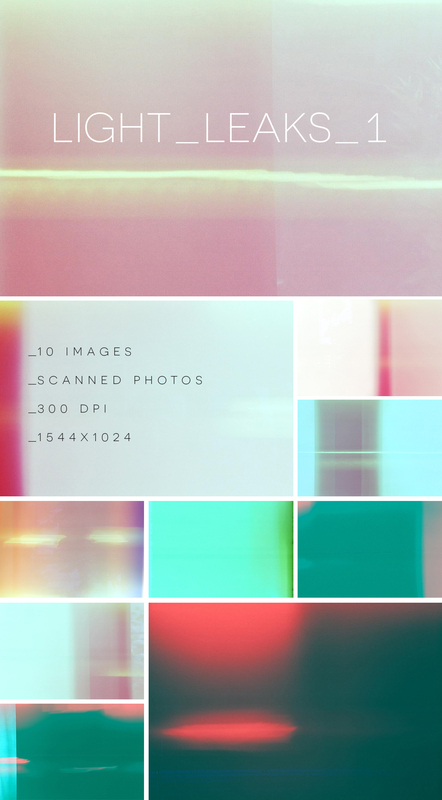 Since these resources are super high resolution, they’ll work great in print or web graphics. 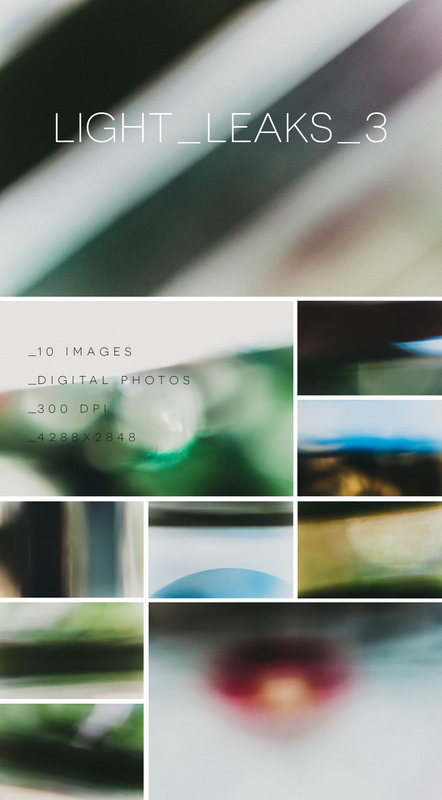 Use the full pieces or crop in close on the gorgeous macro details. 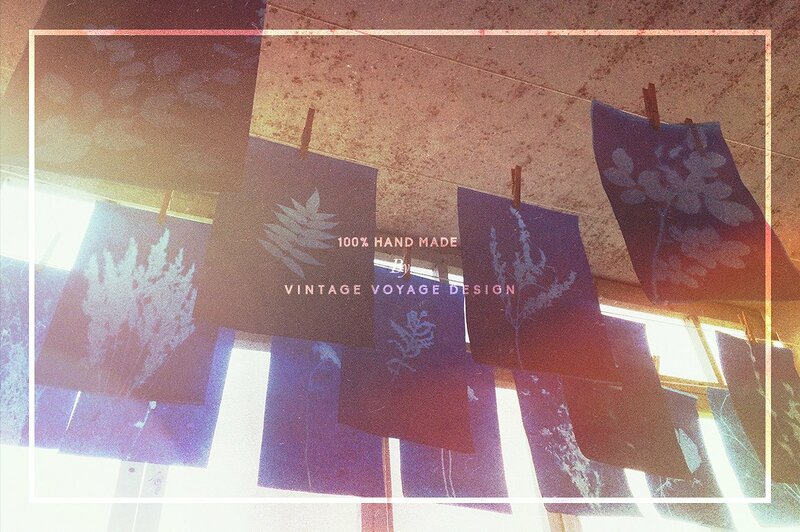 Explore this unique collection of Vintage Vignettes! 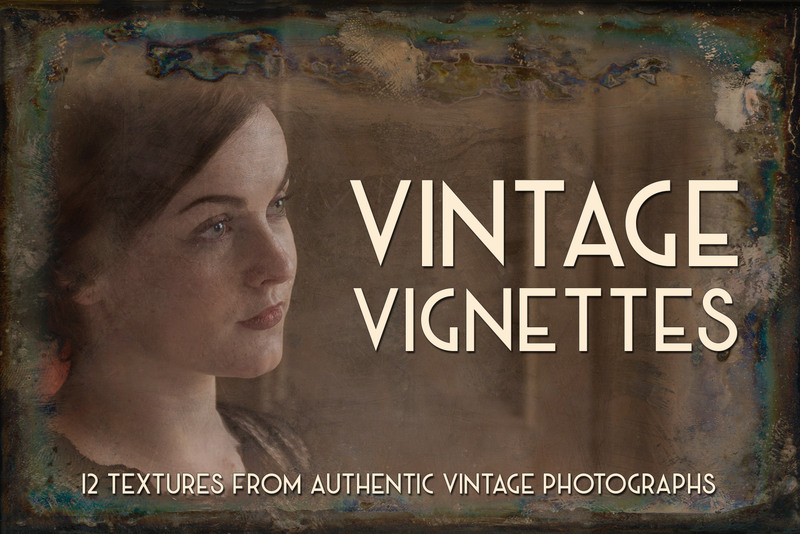 Derived from authentic vintage photographs, Vintage Vignettes is a collection of 12 high resolution textures perfect as frames and for adding unique character to photographs – or, simply for their rich organic textures in any application! 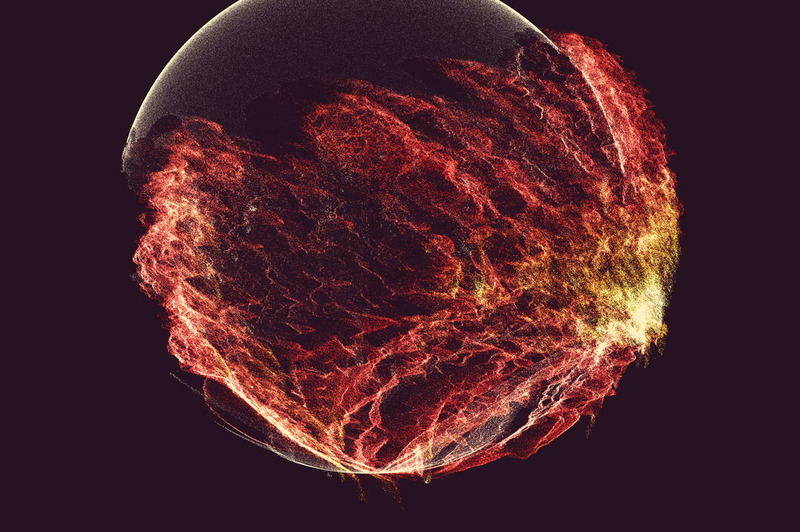 Explore the range of effects that result from using various blending modes. 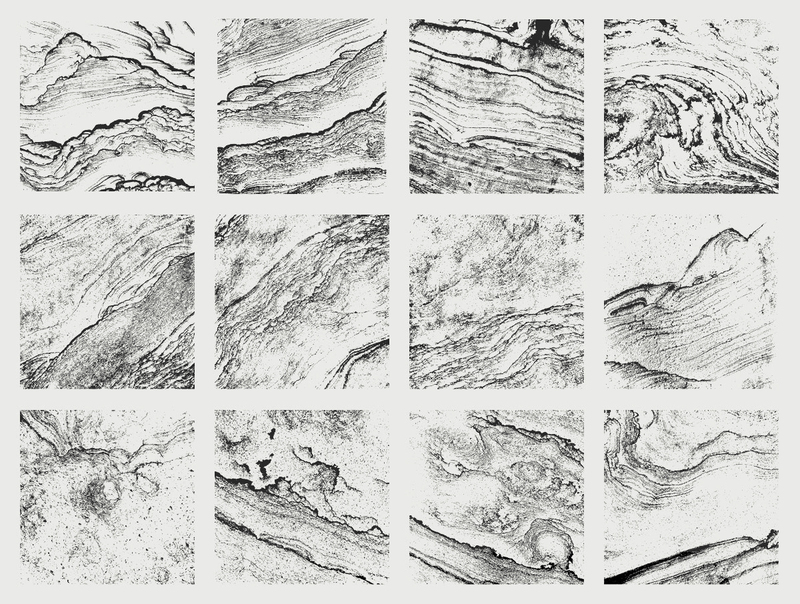 Add natural character to any project with these unique Stone Slab Textures! 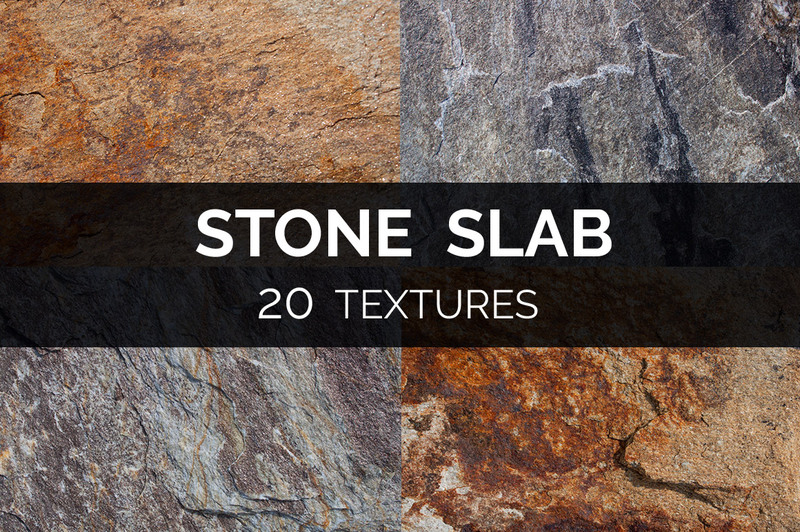 Stone Slab Textures includes 20 high resolution textures from a variety of stone types and styles. 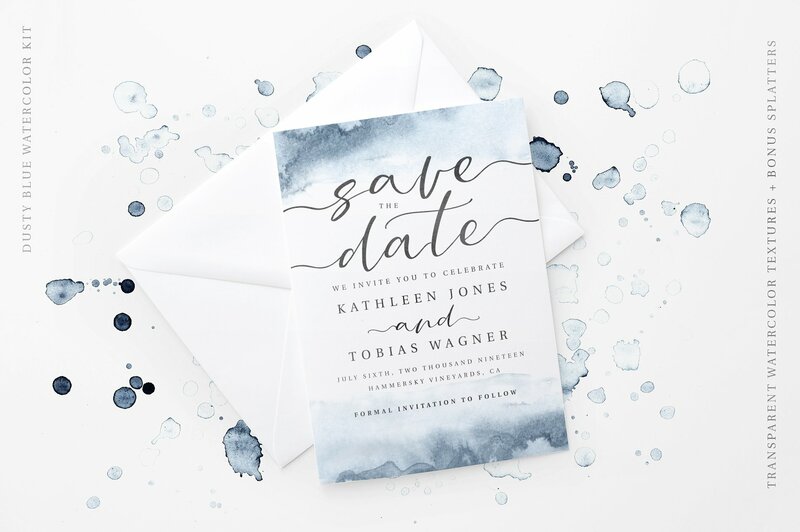 From subtle to striking, you’re sure to find an image that adds the natural and organic flair you’re looking for. 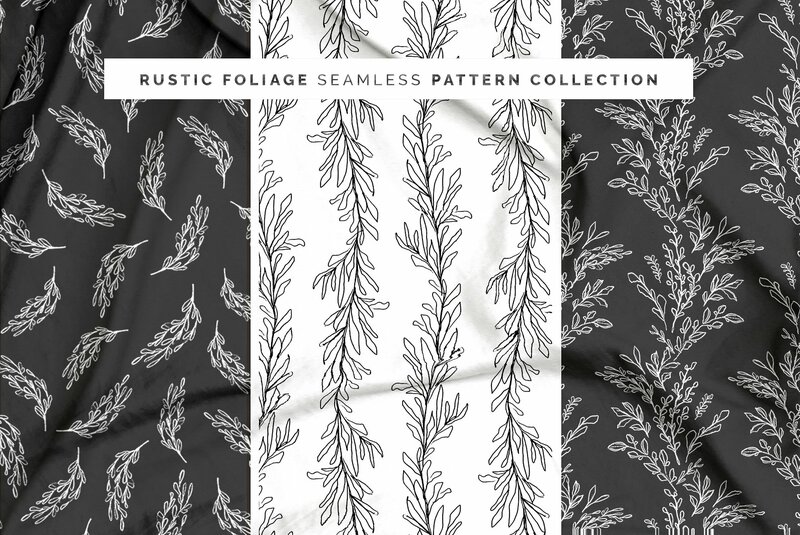 Introducing a unique and diverse set of rich organic textures! 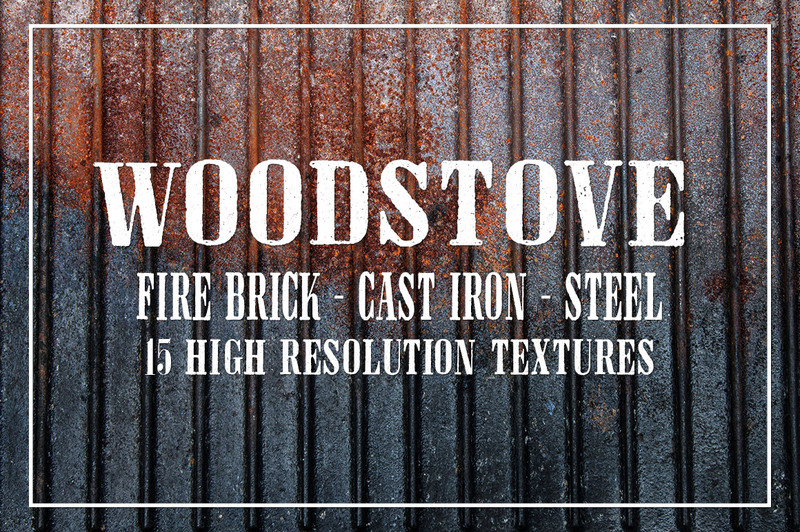 Woodstove Textures includes 15 Textures gleaned from an actual old dismantled wood stove. Images include fire brick, cast iron, and steel, all showing the authentic character that was earned from many years of hard use in the Pacific Northwest. 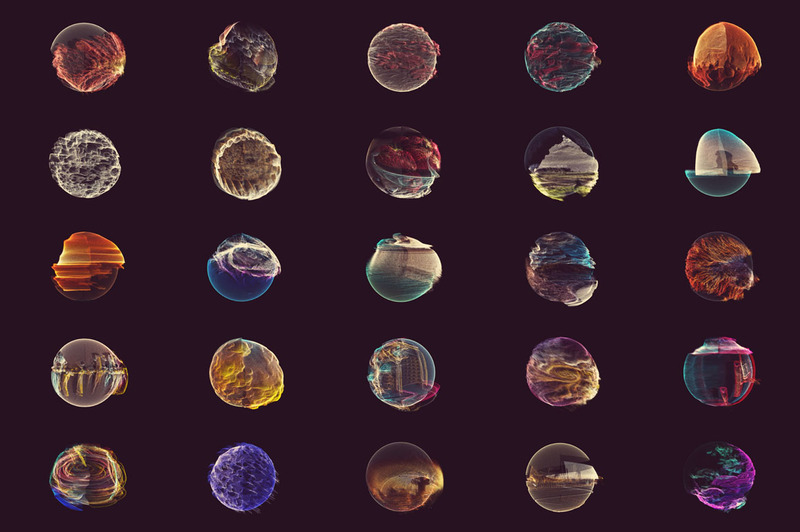 StockMamba proudly presents the Alien Planet Texture Pack! 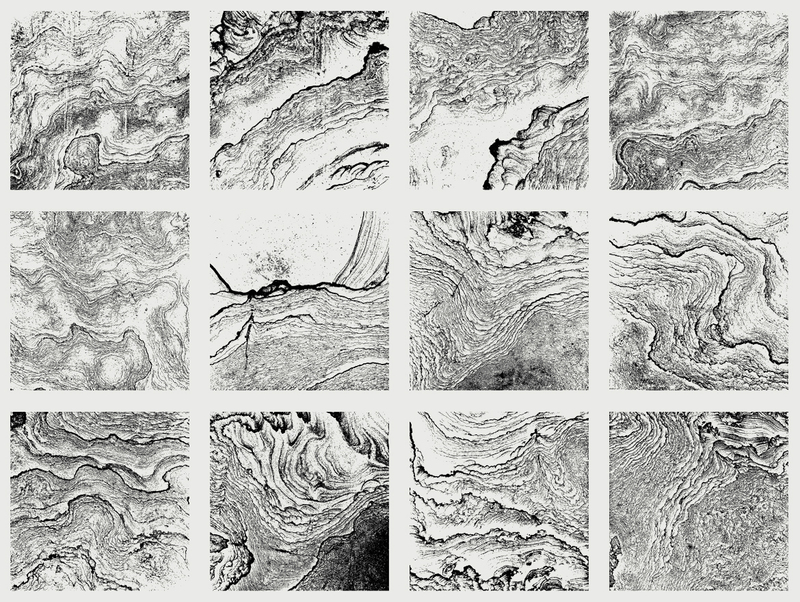 Create fantastic sci-fi sky and landscape effects with this massive collection of 70 seemingly ethereal rock textures. 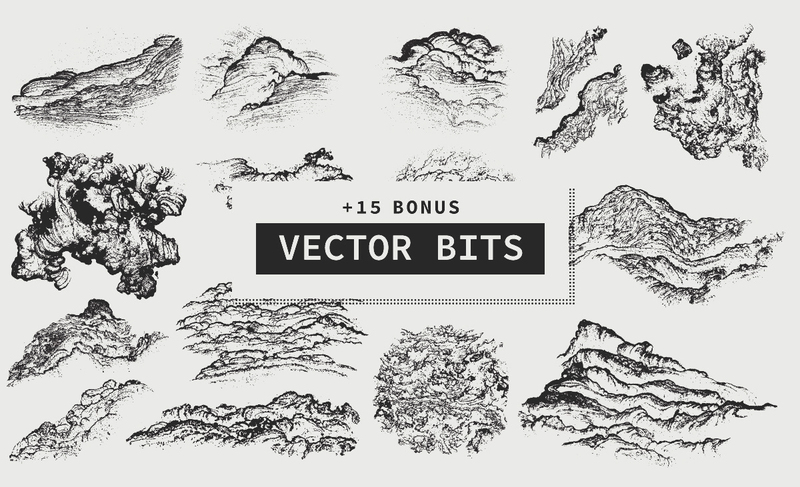 Included are 15 bonus repeat pattern graphic styles as well as 15 bonus VectorBits for Adobe Illustrator. 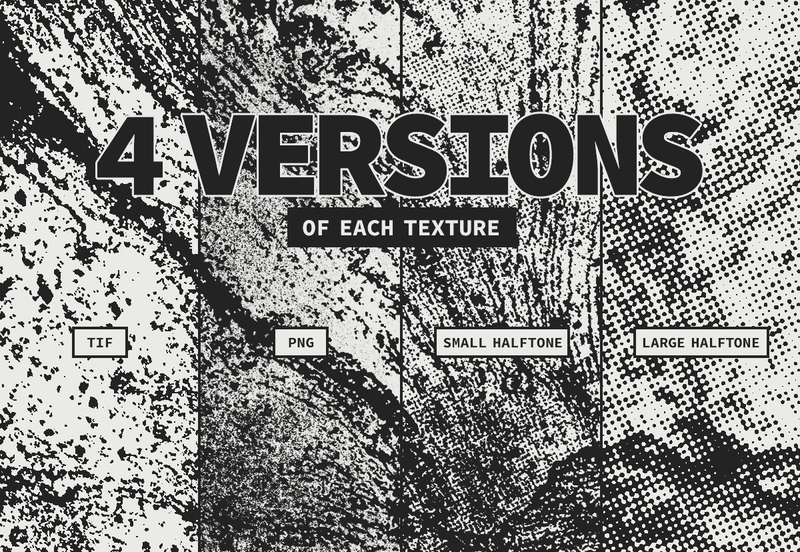 Presenting Massive Texture Collection Vol. 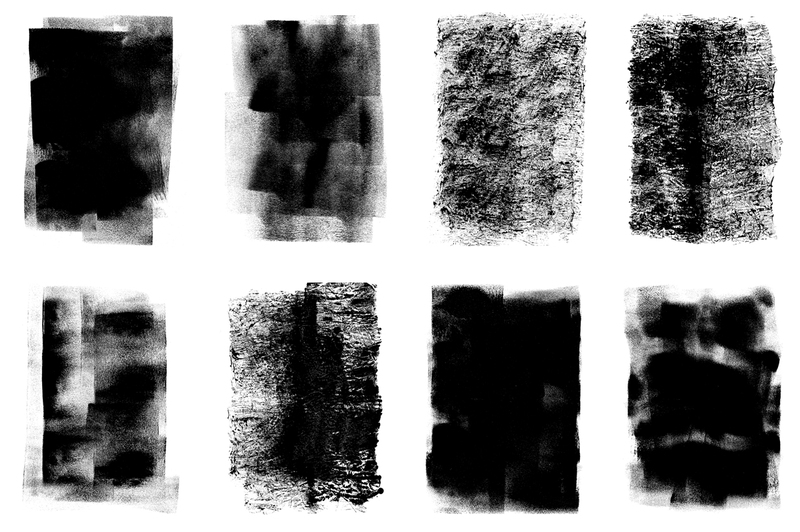 01, a comprehensive pack of textures including light, medium and heavy textures. 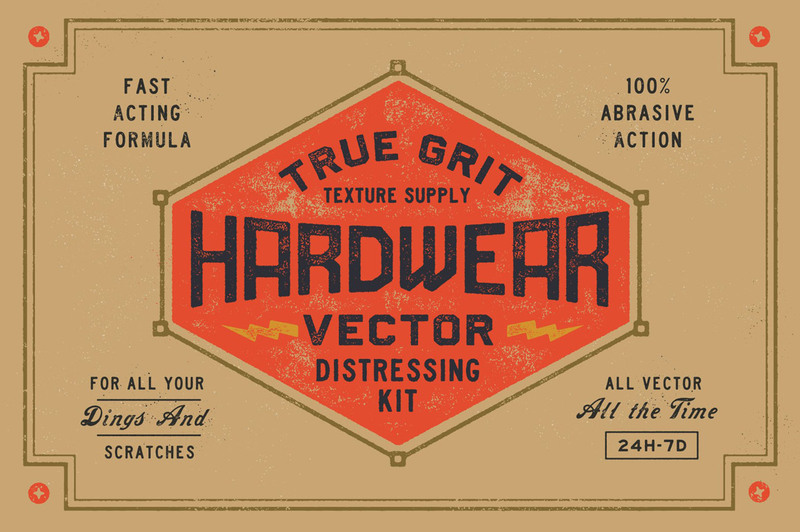 Everything you need to give your designs some grit and character. 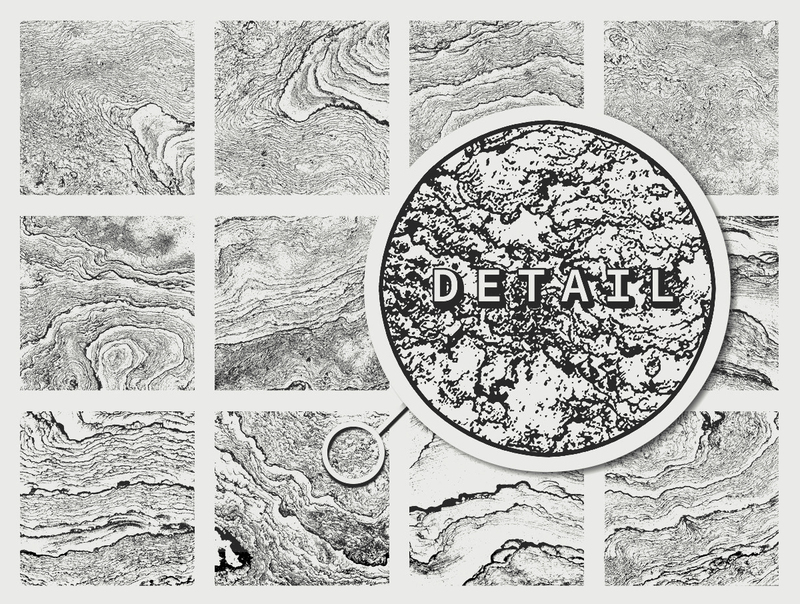 The perfect collection of textures for everything from a subtle look to in-your-face designs. 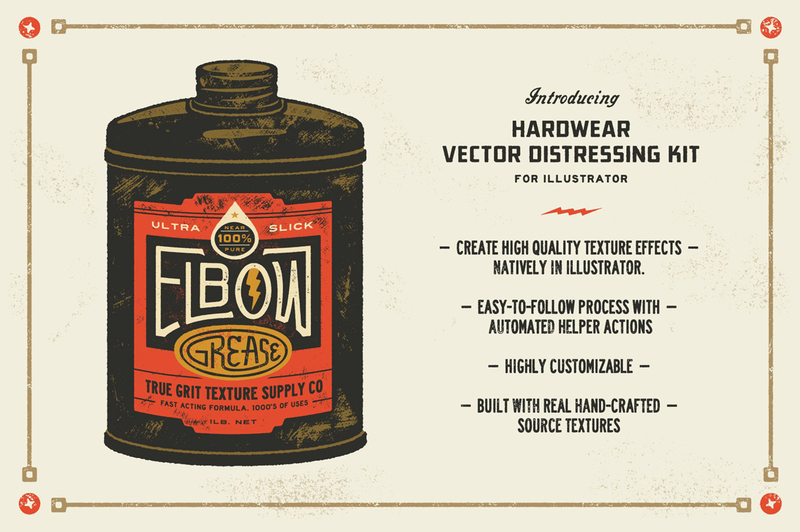 Texture, roughen, distress and destroy with our Hardwear Vector Distressing Kit for Adobe Illustrator. 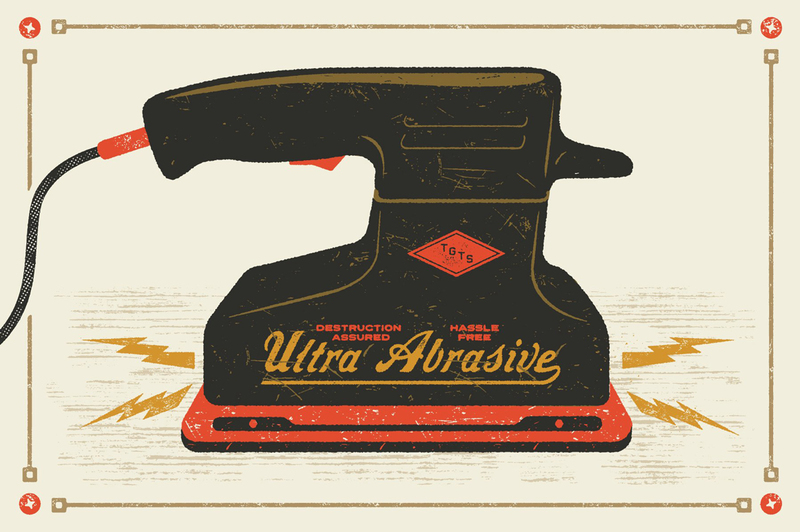 Inspired by the time-worn packaging, badges and print ephemera of vintage power-tools, Hardwear takes the hassle out of creating print-quality distressing effects natively in Illustrator. 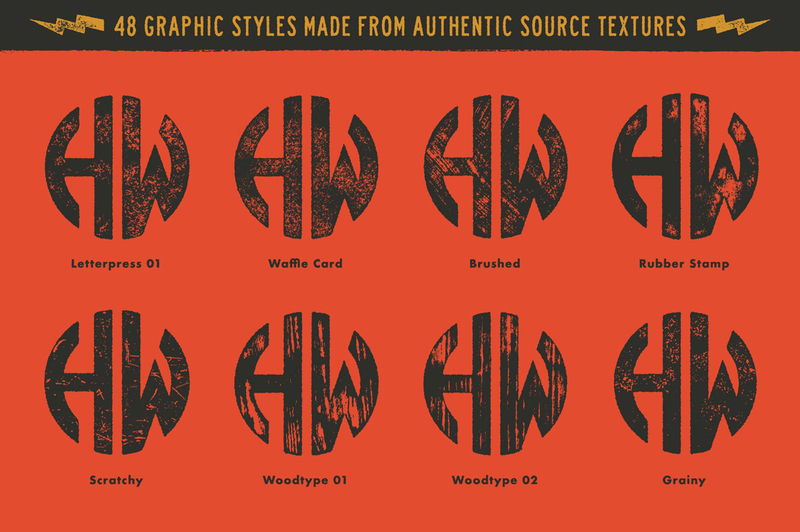 Featuring a huge selection of authentic textures, the kit is easy to use with a tonne of customizable settings for perfectly textured type, logos, badges and lettering from subtle grain to brutal grunge and everything in between. 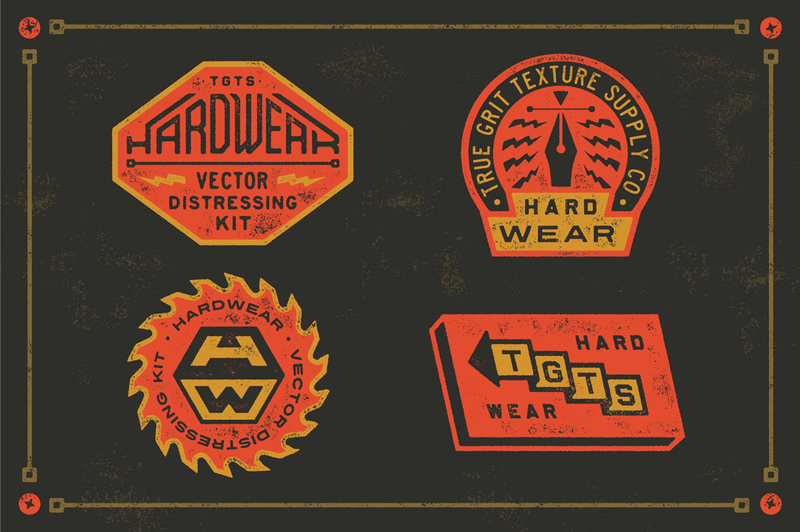 Hardwear Vector Distressing Kit For Illustrator is perfect for logos, badges, hand lettering, typography and simple illustrations. 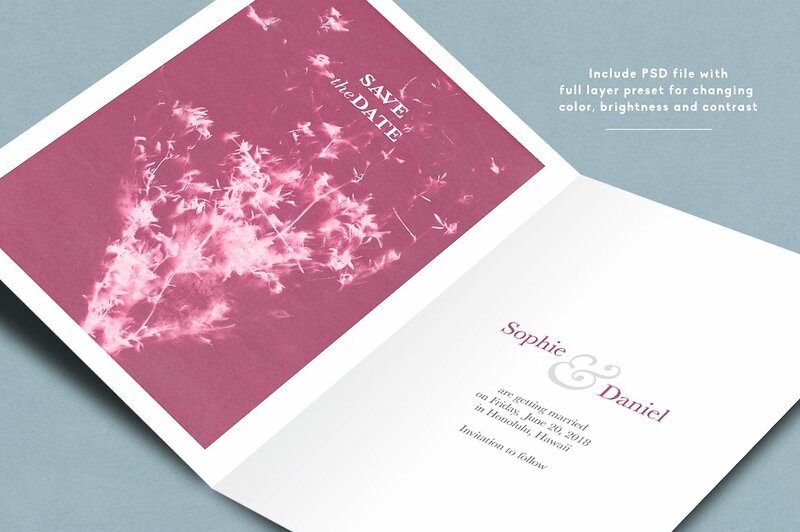 It’s pro-built from a diverse selection of authentic source-materials such as vintage paper samples, toner, ink, card stock, woodgrain and halftoned print materials. 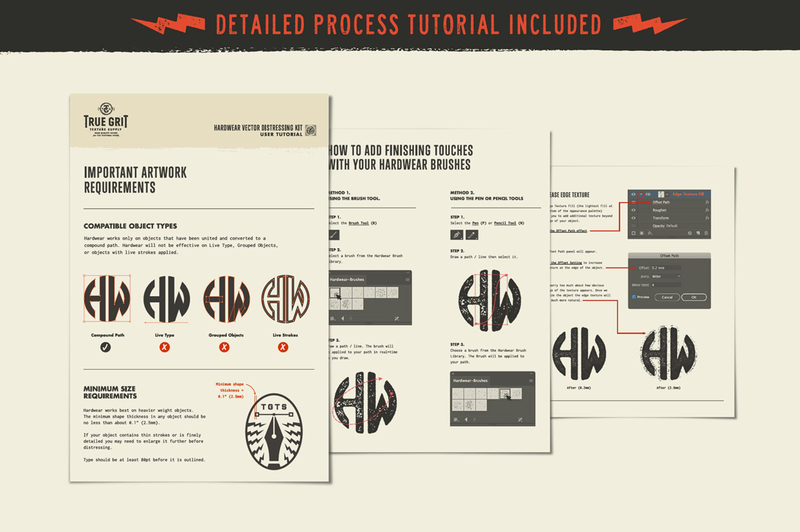 It’s a simple process with detailed instructions, tips and tricks included. 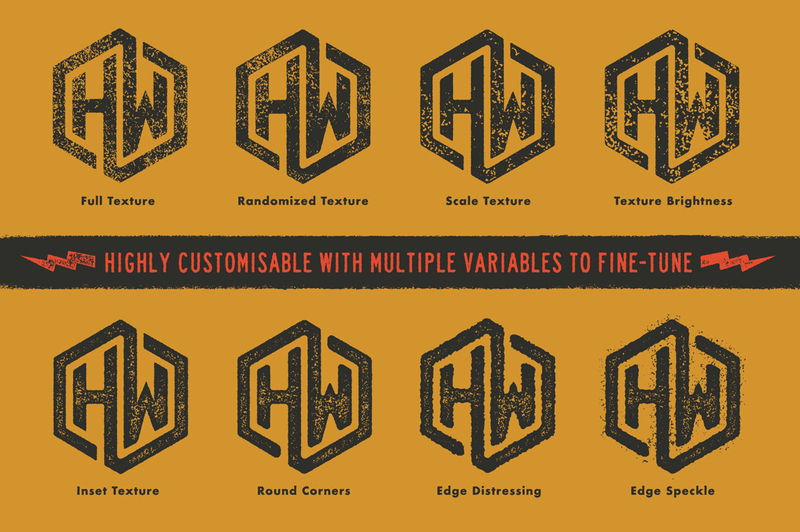 It’s highly customizable with control over texture frequency, randomization, edge distressing, texture scale, texture brightness, texture inset, round corners and edge speckle. 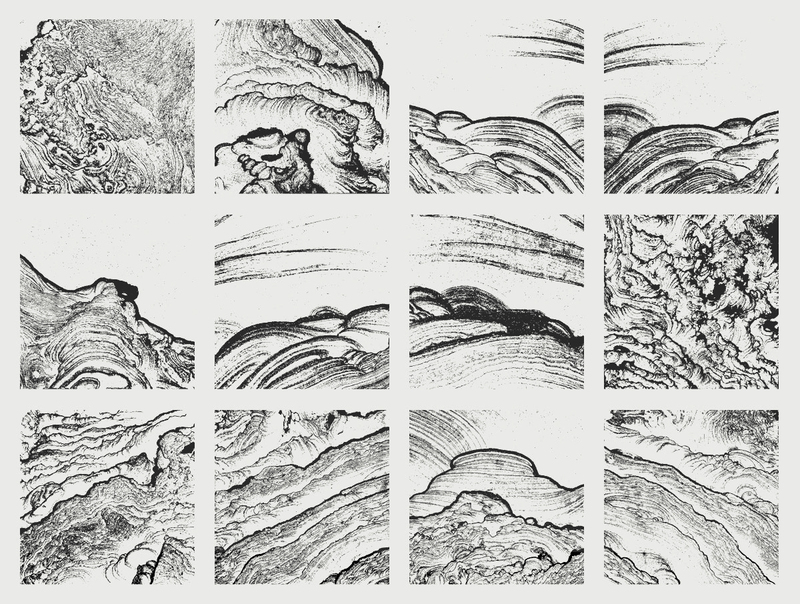 It’s not recommended for distressing large files containing highly detailed illustrations. 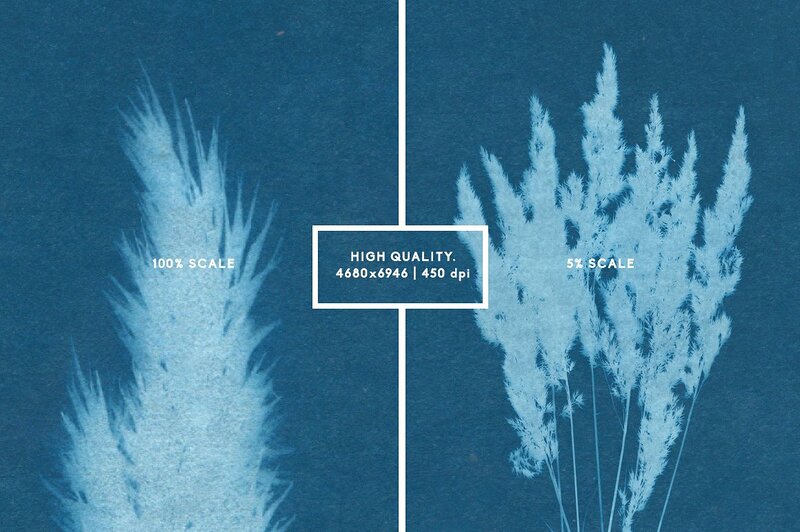 Please refer to the example images for a general guide on the kit’s capabilities. 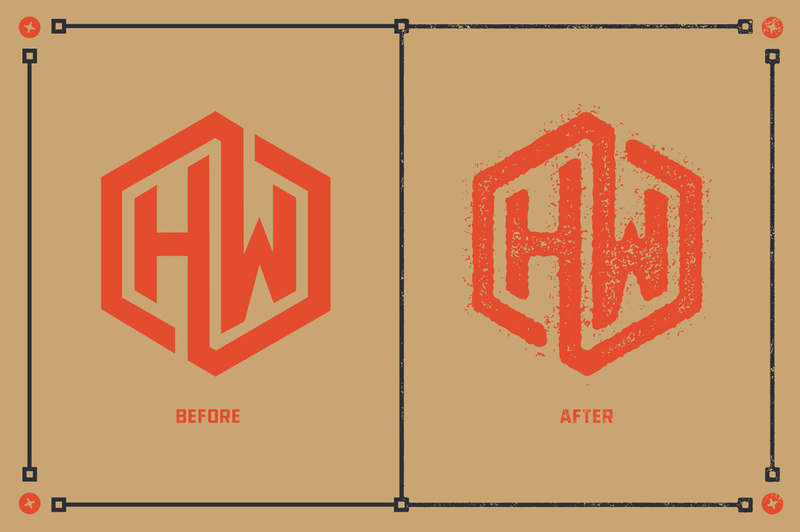 Featured type design, badges and logo’s crafted in collaboration with the one and only Curtis Jinkins, Wimberley, TX. 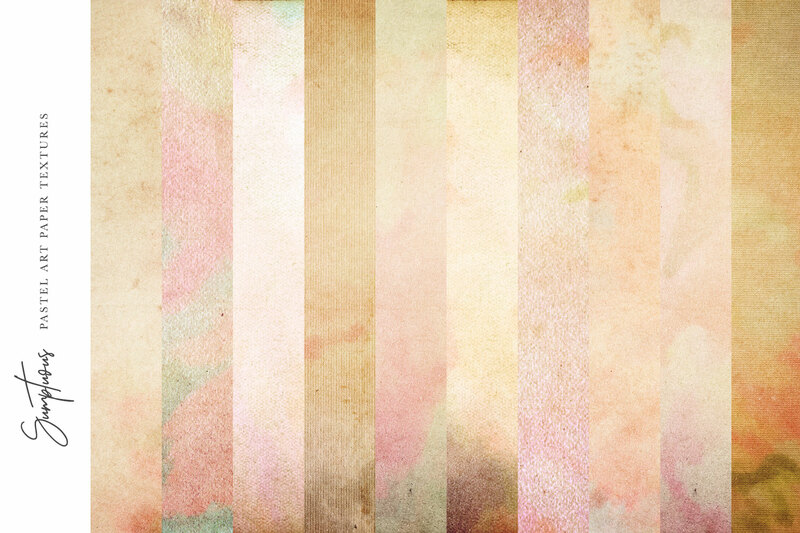 Say hello to this set of paper textures, and watercolor textures and brushes! 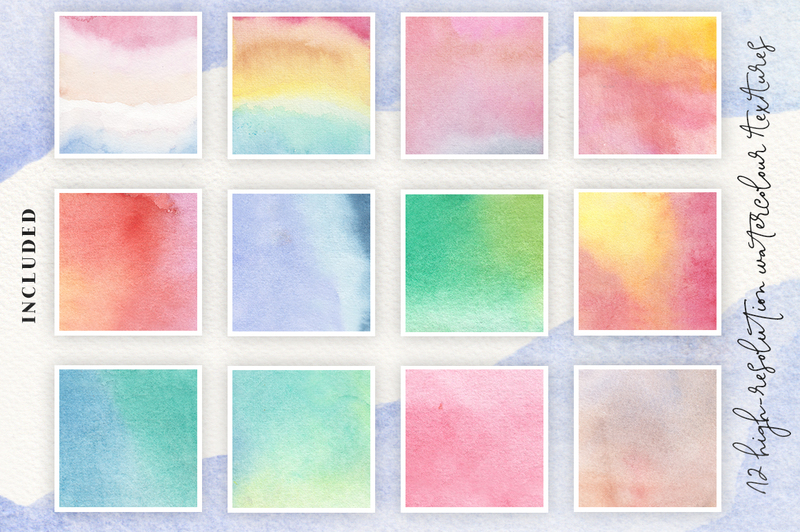 This set was created using a combination of carefully handpainted watercolors, more carefree watercolor shapes, and a small collection of aged scraps of paper. 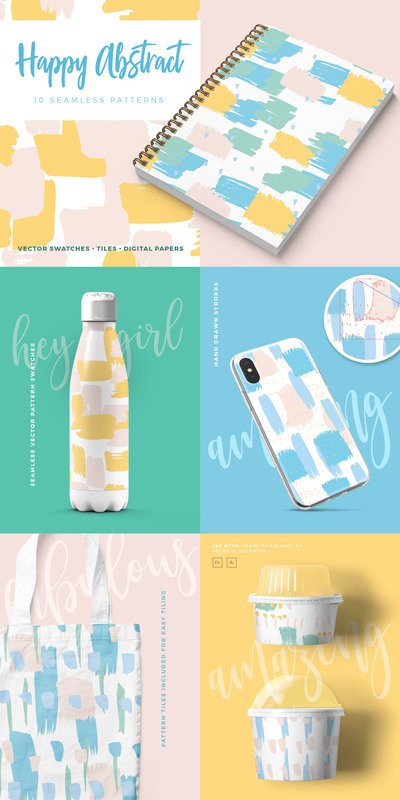 These can all be combined in countless ways to create beautiful and easy designs, such as postcards & notes, creating logotypes, social media posts, branding & packaging and more! 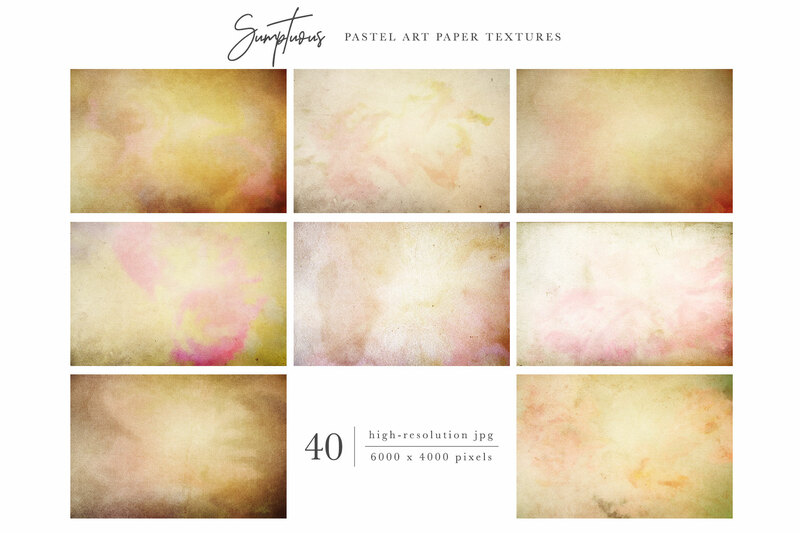 Introducing the Sumptuous Pastel Art Paper Texture pack! 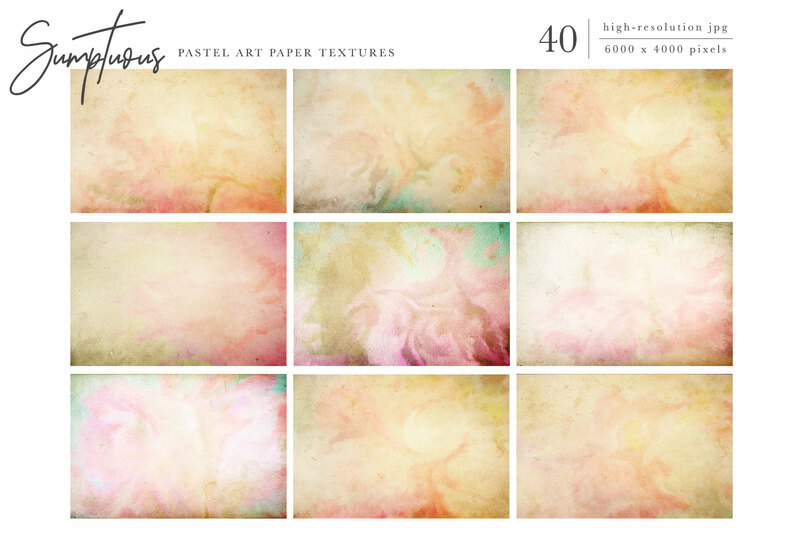 40 gorgeous high-resolution art papers to use as photo overlays or art backgrounds. 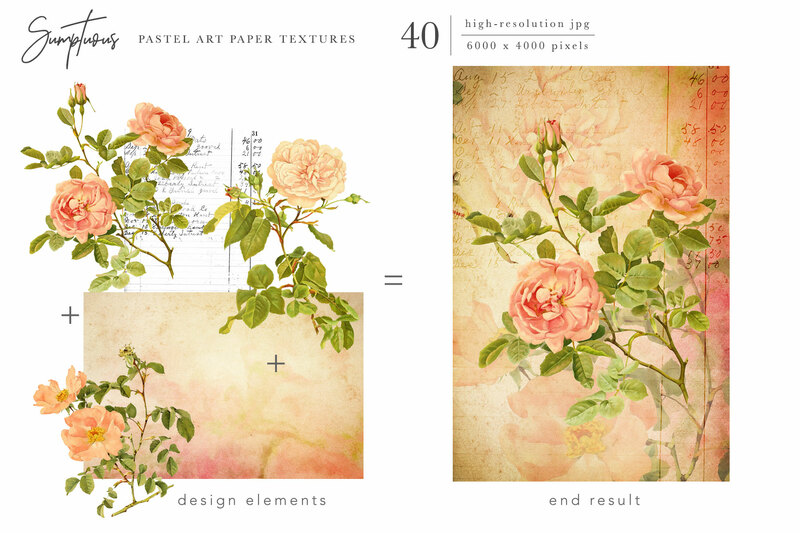 Each file is sized at 6000 x 4000 pixels in .JPG format with lovely muted pastel colors and paper textures with hints of floral elements. 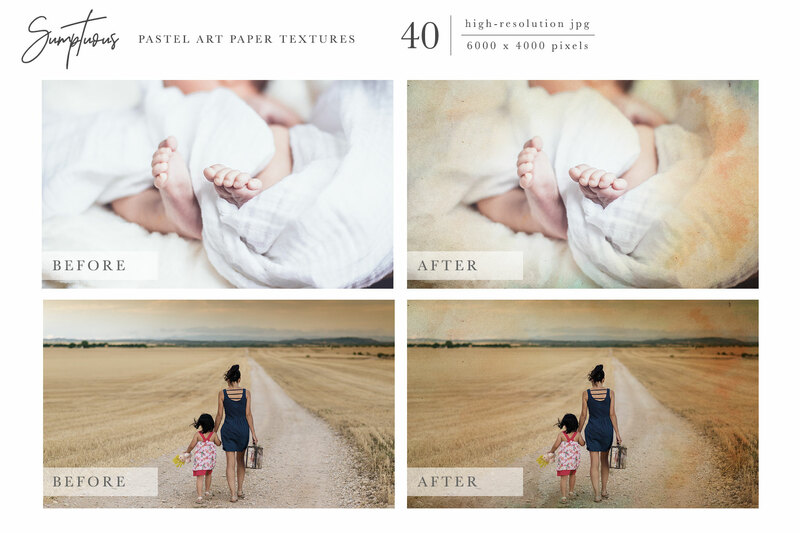 Layer over your photos and play around with blending modes to get different vintage-inspired results, or use the textures as a background for your artwork. 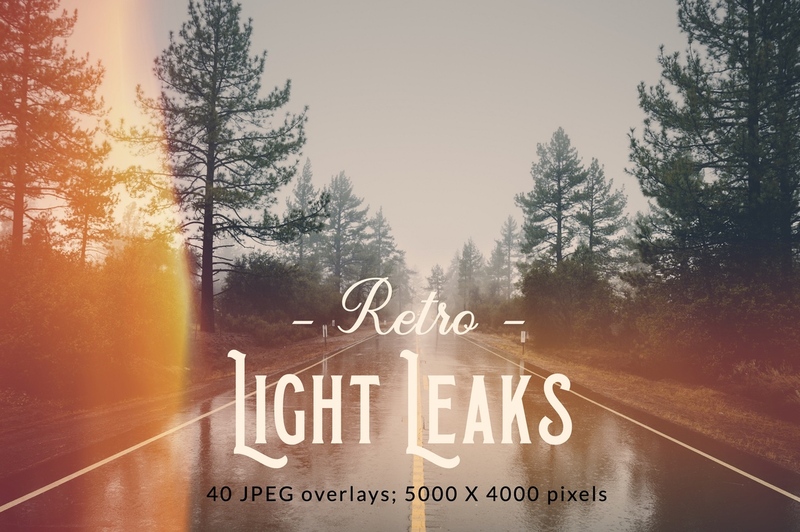 Add retro light effects to your photographs with this collection of over 40 realistic light leak overlays. 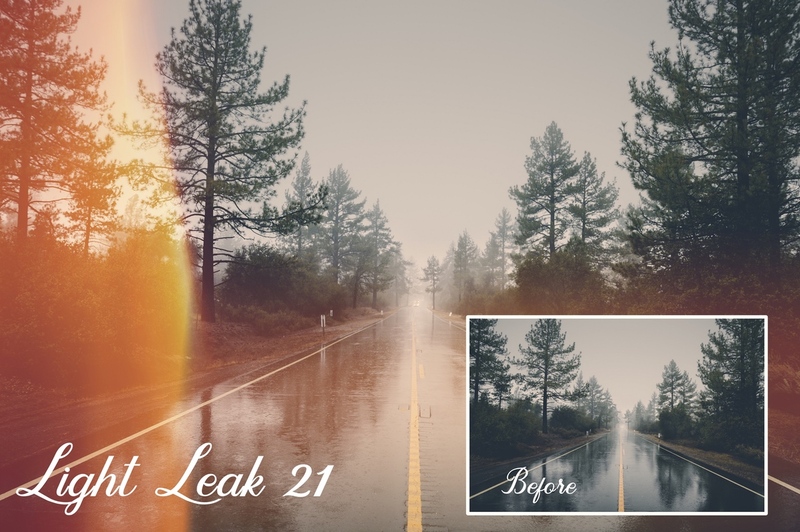 These easy-to-use files will give the effect of colorful lens distortion and glare to your images – giving them a characteristic vintage quality. 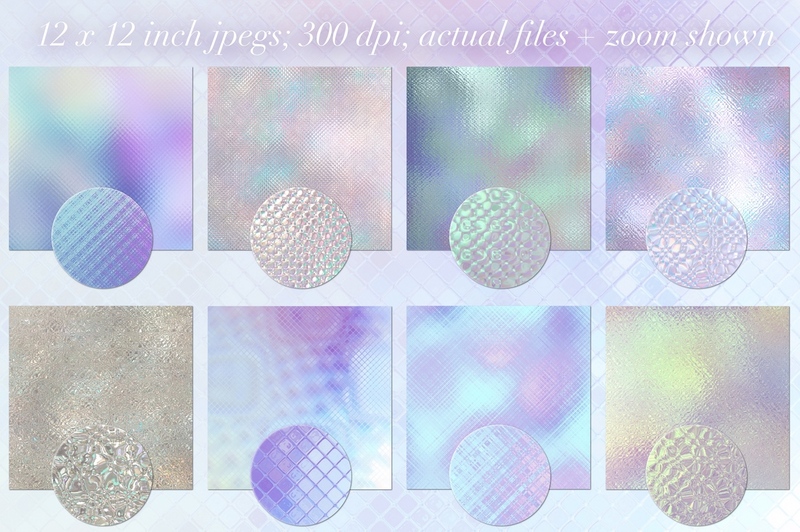 Introducing a collection of iridescent glass textures. 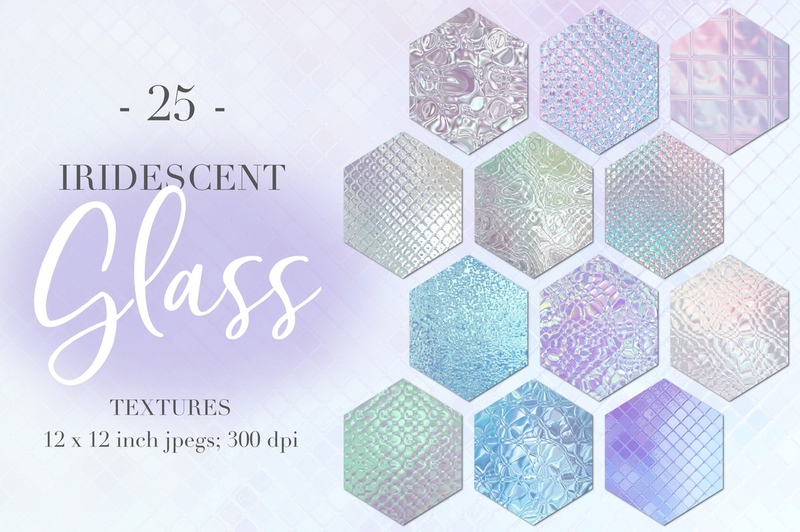 Add some bling to your projects with this collection of shimmering glass textures in iridescent hues! 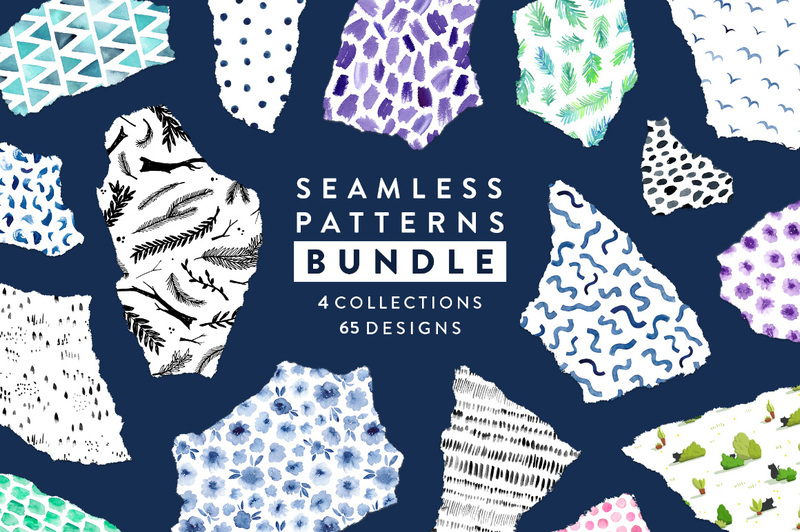 Introducing Seamless Patterns Bundle, a beautiful collection of repeating designs for all your needs! 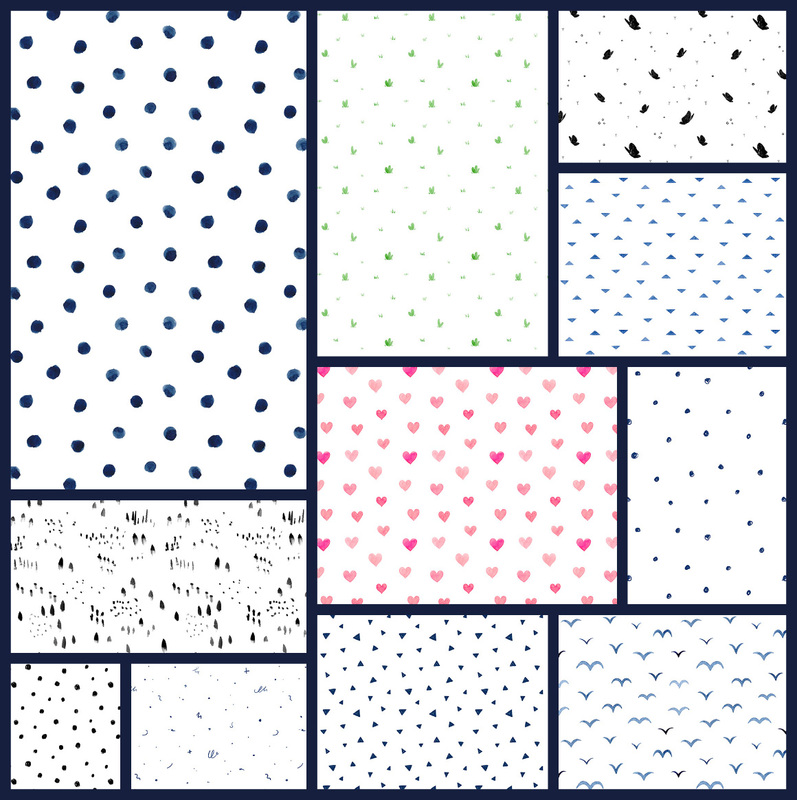 This pack comprises of four themed collections and six bonus patterns on top of that! 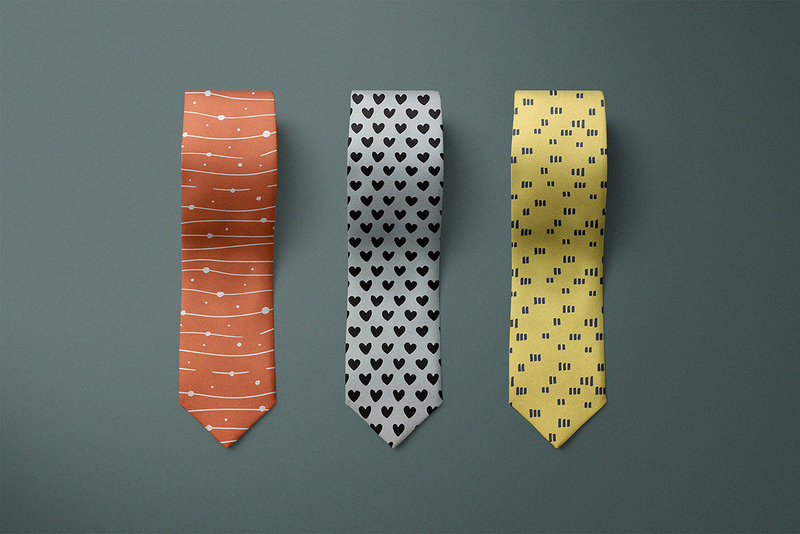 It has everything from elegant and sophisticated designs to really fun and adorable patterns. 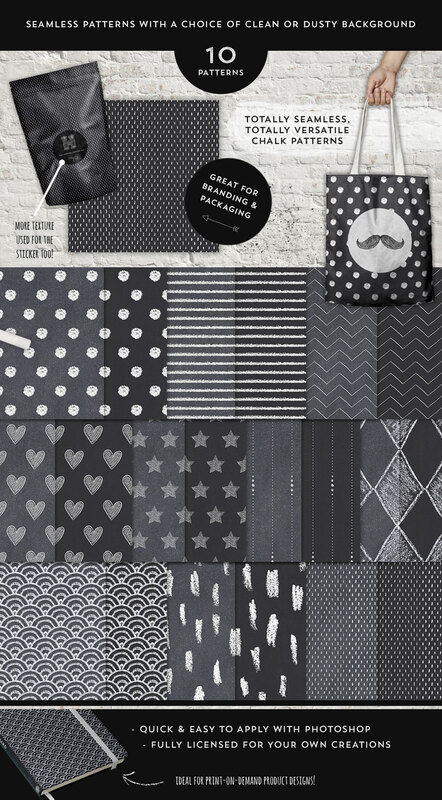 Black and White – funky hand drawn monochrome patterns that never go out of style. 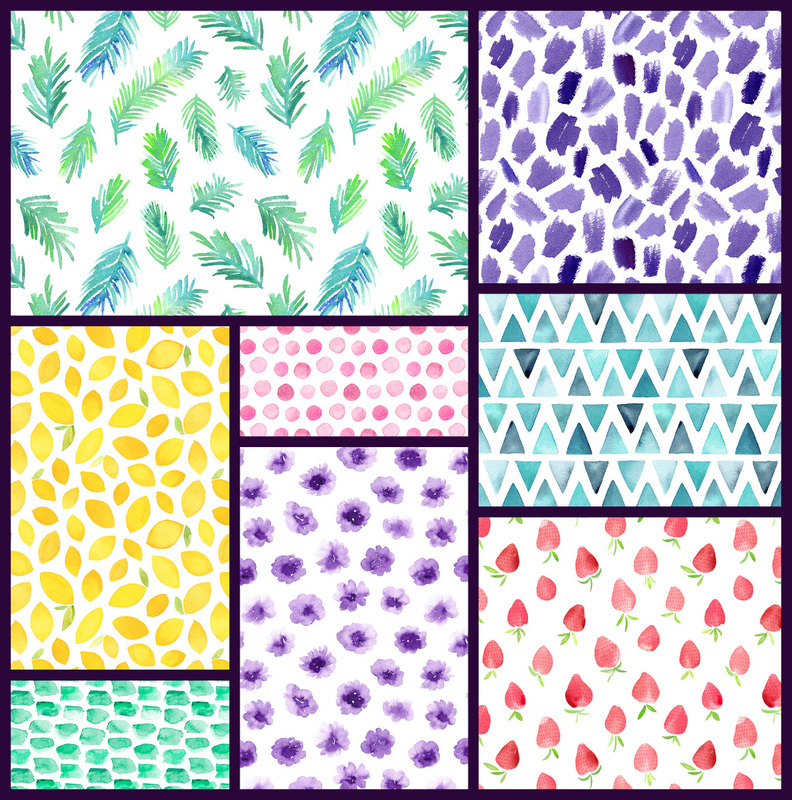 The Bonus Patterns folder that’s included in this pack consists of six fun and whimsical designs that I created just for fun, I hope you’ll love them! 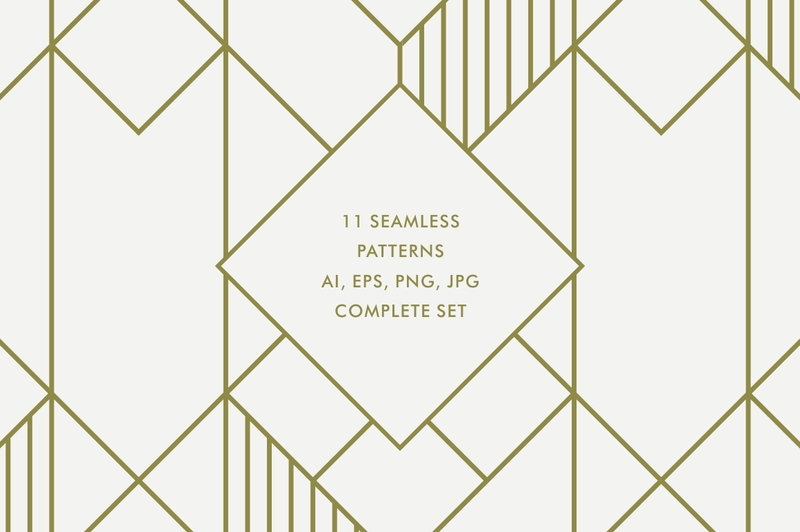 • All the patterns are seamless and tileable and come in both .JPG and .PAT for Photoshop users. 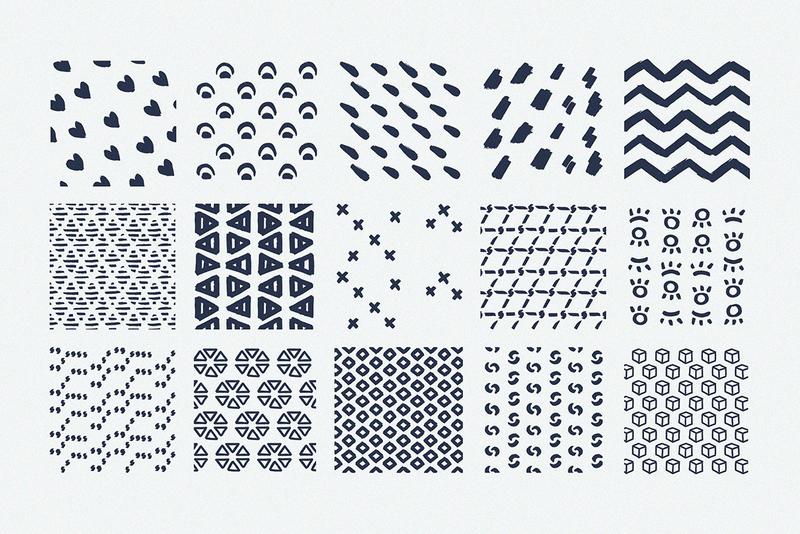 A beautiful collection of 30 Dotted Seamless Vector Patterns. 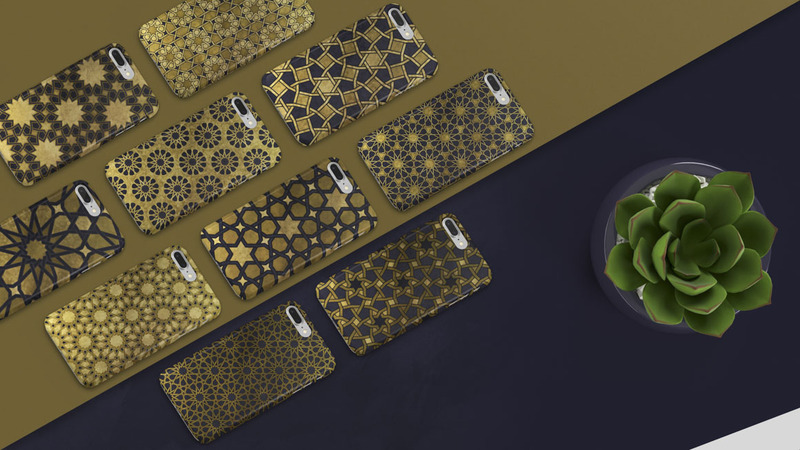 They are all hand made patterns, drawn patiently dot-by-dot, embracing the beauty of geometric shapes and ethnic motifs. 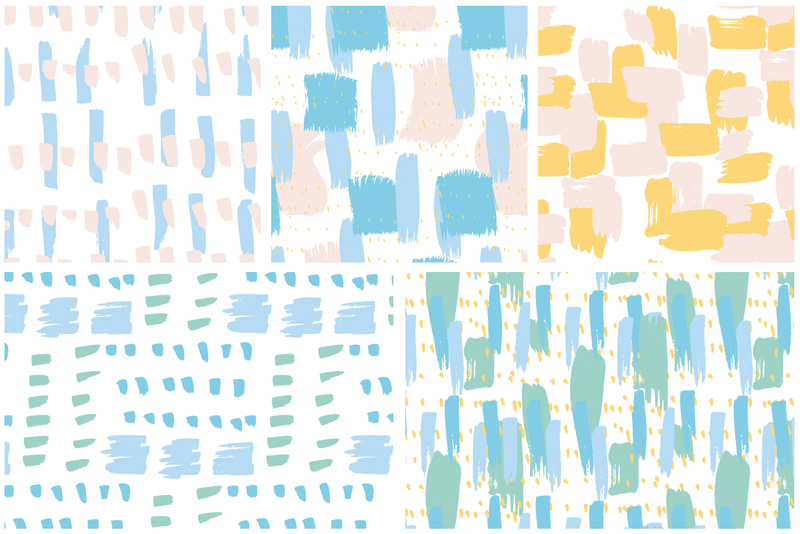 Use them as backgrounds for branding projects, fabrics, packaging, fashion apparel, posters, wrapping paper, printables or just try them as web backgrounds with great results! 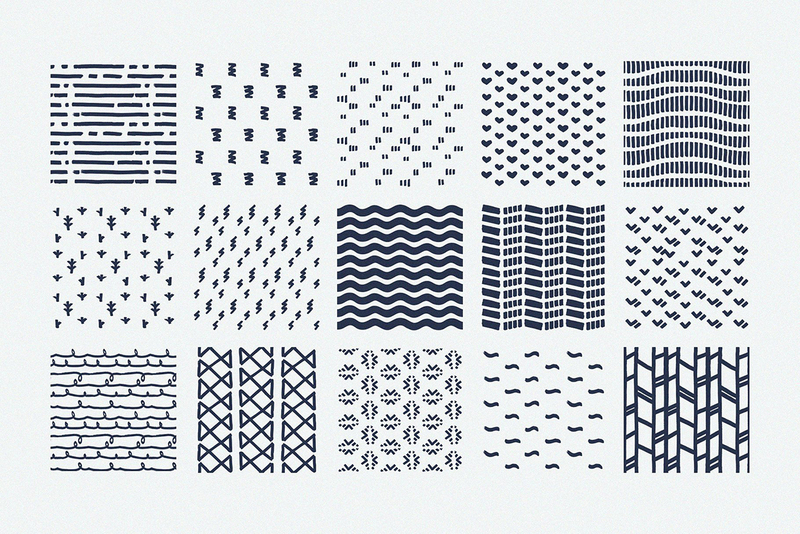 A collection of 10 Happy Abstract Seamless Vector Patterns. 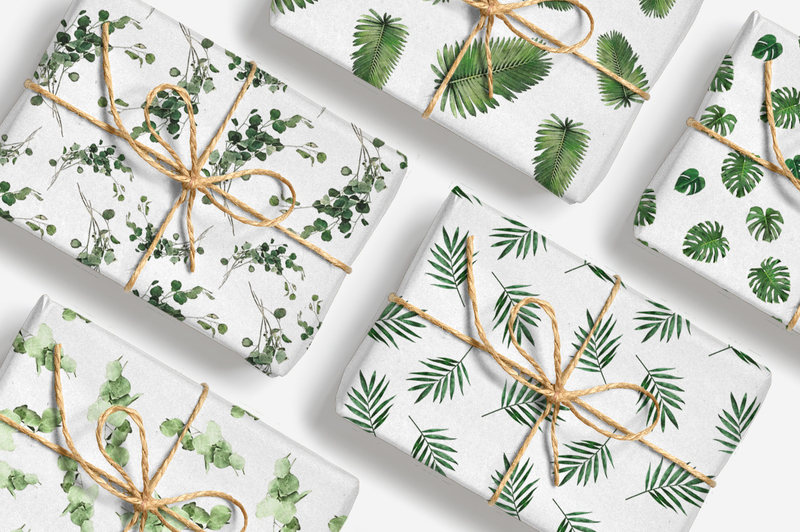 Use them as backgrounds for branding projects, fabrics, packaging, fashion apparel, posters, wrapping paper, printables or just try them as social media backgrounds with great results! 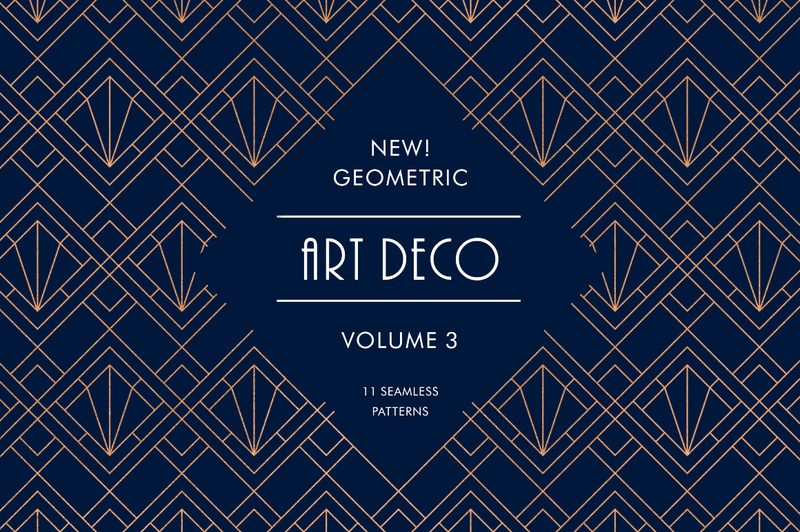 Presenting Geometric Art Deco Patterns V3, a set of 11 patterns inspired from geometric classic & architecture design. 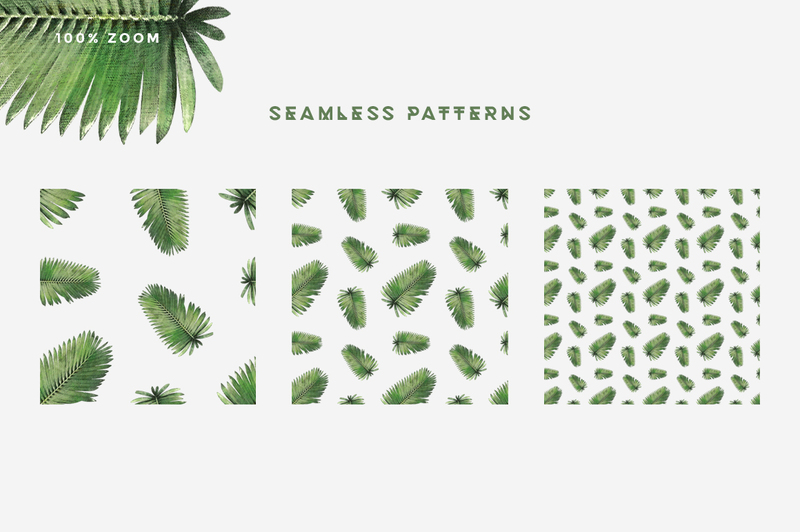 Designed to be easy to use, tileable and editable – these patterns are great for backgrounds, branding, print projects and much more! 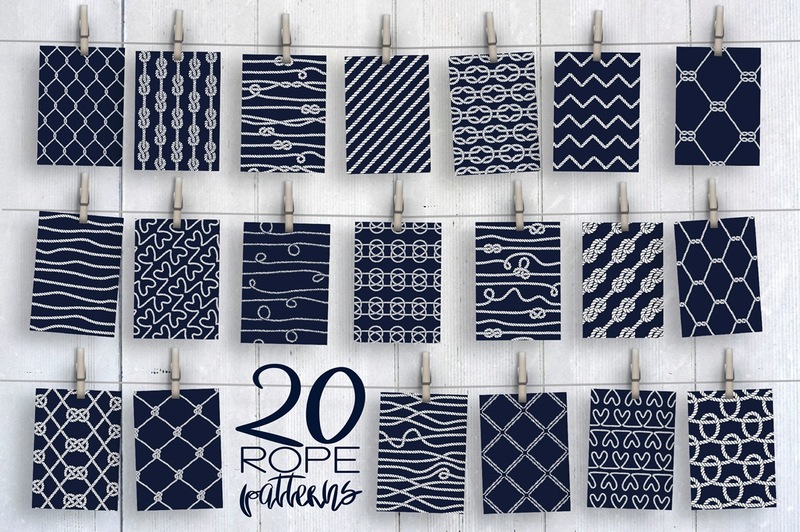 Introducing this big collection of 20 hand-drawn seamless rope patterns! 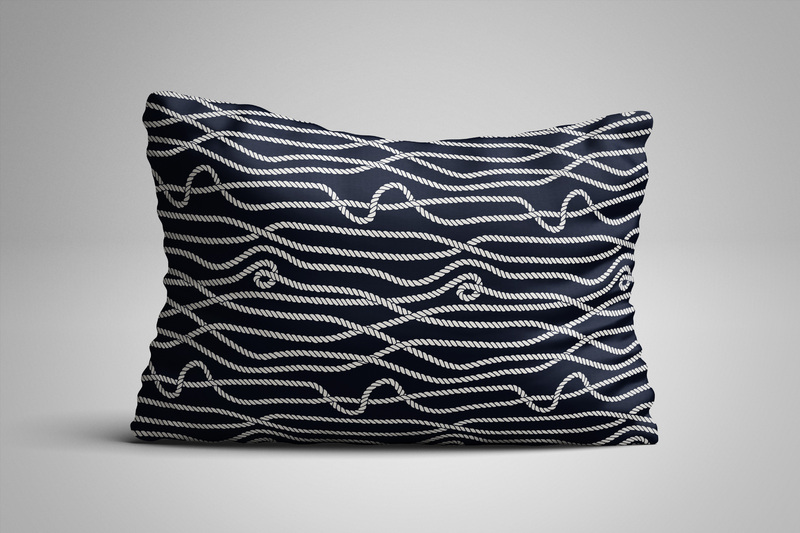 You can find here any type of knots, loops or wavy lines. 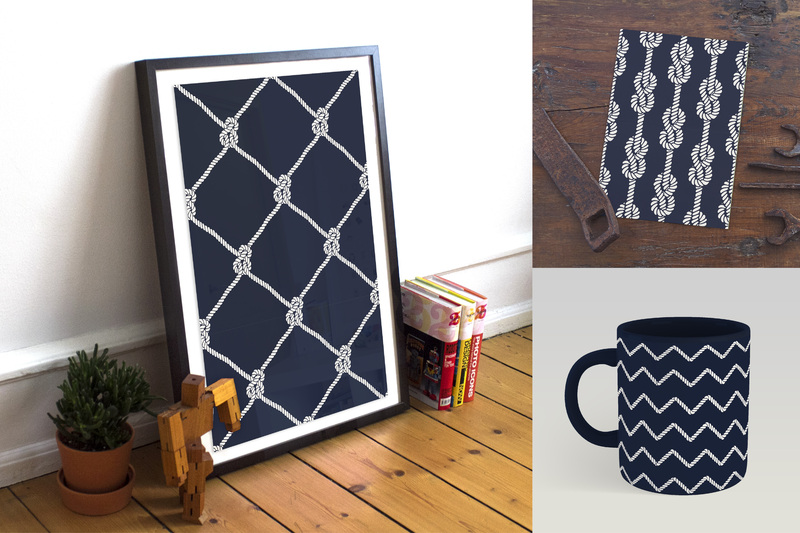 These patterns are absolutely perfect for nautical design or decoration in a marine style. 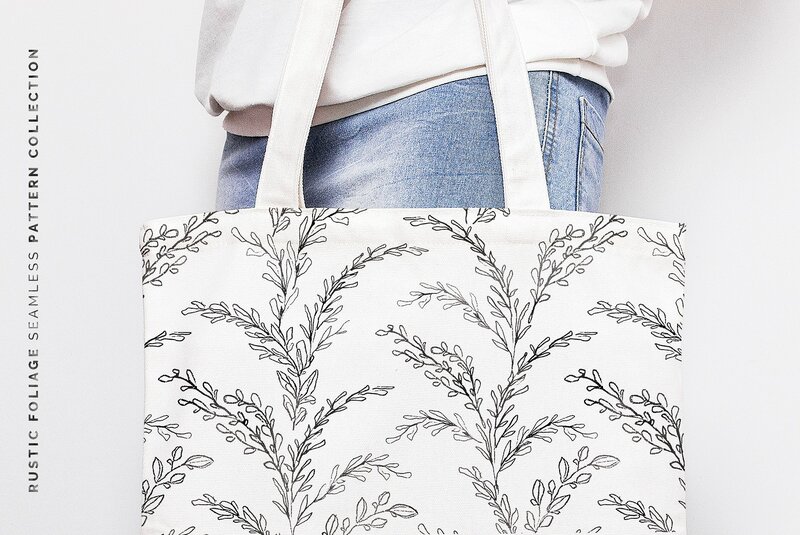 You can use it for apparel, wrapping, home design, prints, fabrics and much more! 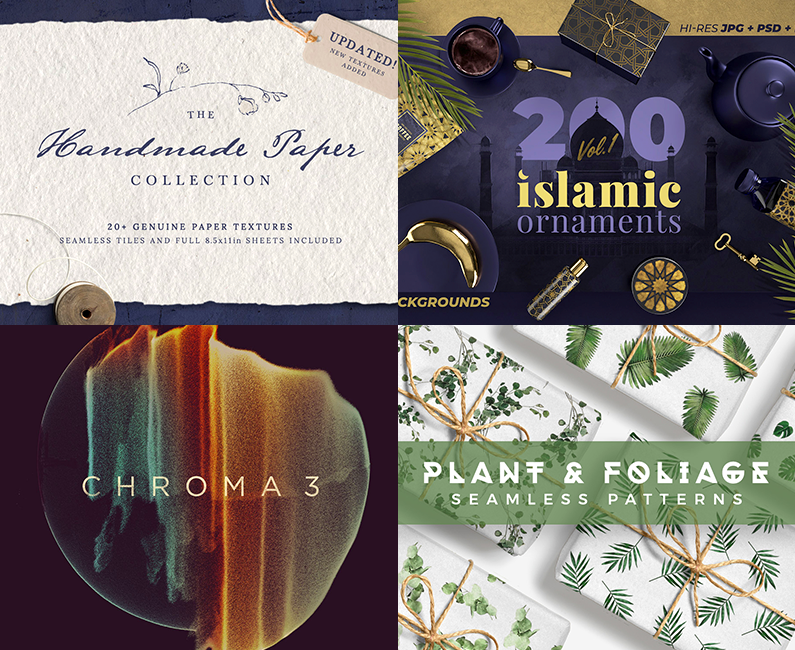 This bundle brings you the best one-of-a-kind, hand-crafted resources that the design world has to offer. 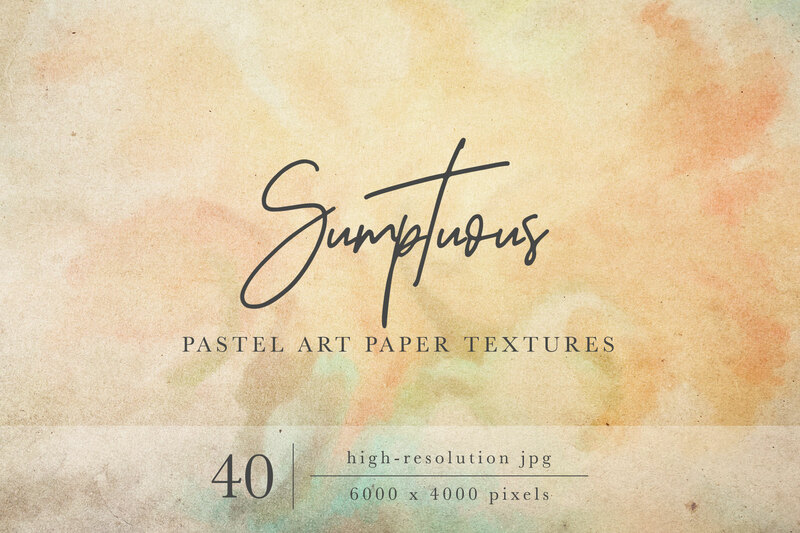 We’ve teamed up with designers like Greta Ivy, PinkCoffie, Zeppelin Graphics, Samolevsky Art, The Cotswold Chalkboard, Milka, Vintage Voyage Design Co. and more to create an unbeatable bundle of textures, patterns, brushes, graphics, and much more! Oh no we’re so sorry that you missed this bundle Pekka! 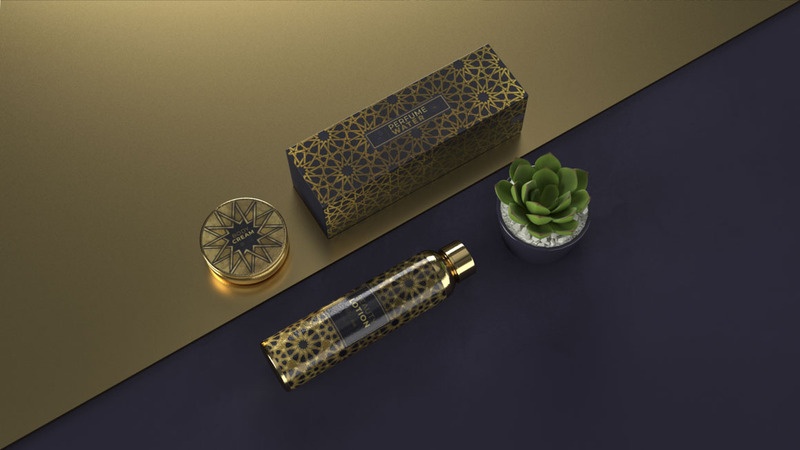 Unfortunately this deal has finished now, however, the majority of the items from our bundles do end up in our Marketplace to purchase individually, and you also have the option to build your own bundle and receive up to 50% off so I hope that you can pick up some of your favourites from this collection! Would you send me a Dropbox link too please? Tons of useful stuff, but too many to download individually! Sure thing Paul, that’s perfectly fine! Thanks Annabel. All downloaded from Dropbox. 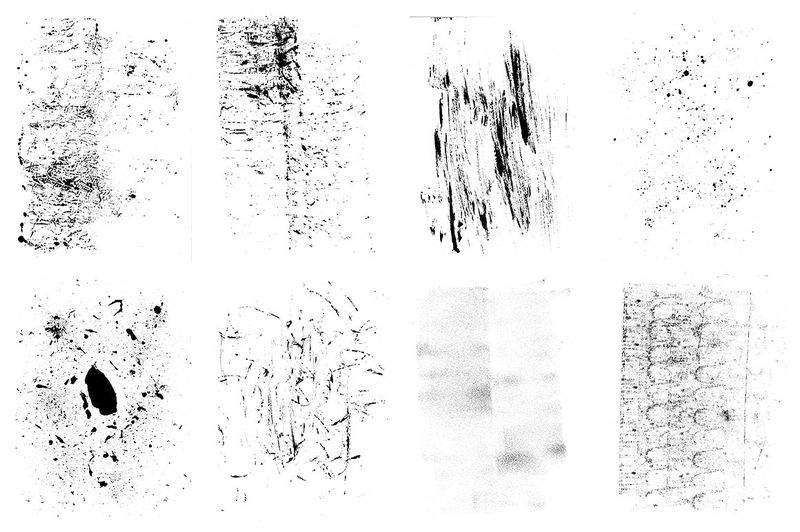 Woohooo that’s great to hear Paul and I hope that you have loads of fun taking your new textures and patterns for a spin! Hi there! 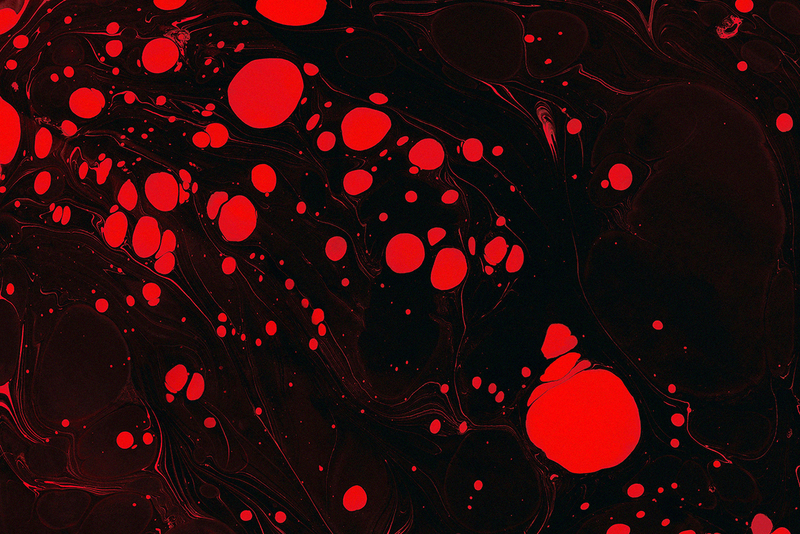 I would really appreciate an email with the Dropbox link to download them all too. Thanks! Thanks for letting me “squeak in” on this deal! I almost forgot to buy it 😀 Phew!!! May I also get a Dropbox link to download all collections? That would be really helpful. Thanks for the great deal. Could you please send a dropbox link? 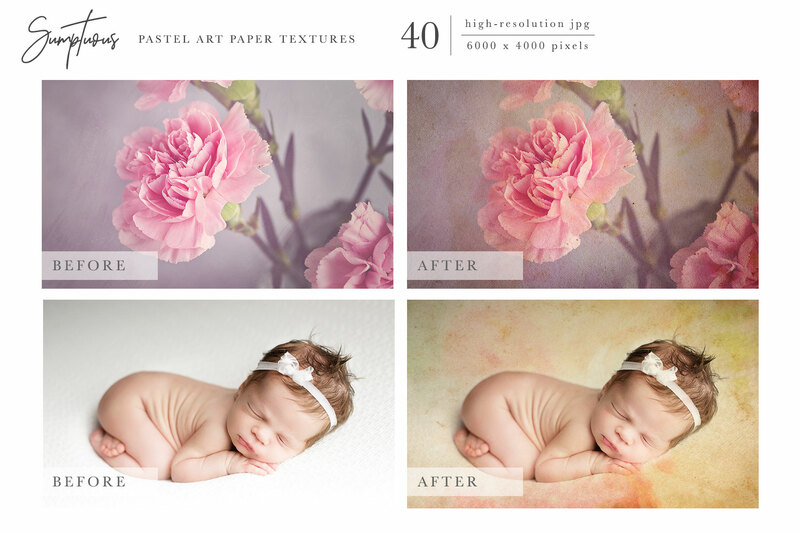 Thanks for commenting Jim and we’re so glad that you like this bundle! 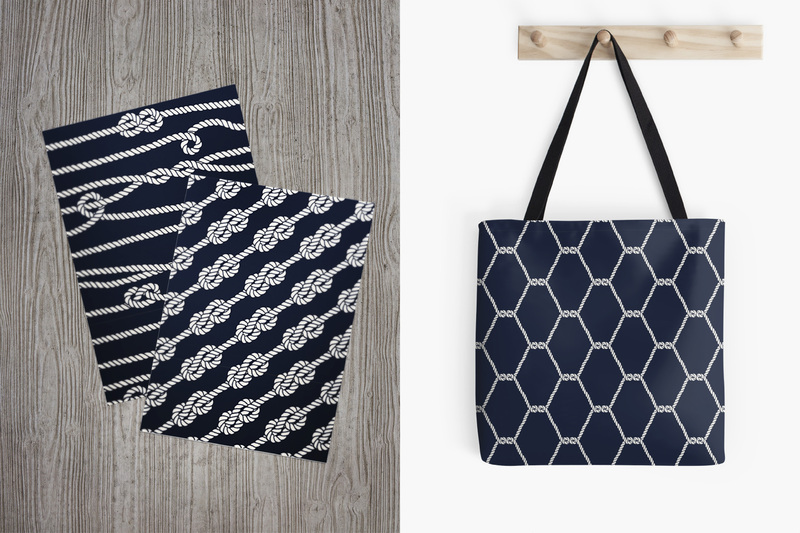 I can certainly send you a dropbox link for your bundle and have already sent an email on its way to help :). Thank you yet again for another excellent bundle! I miss the “Download All” option – I use Firefox and a download manager (there are several available, some free, some cost a little – I use DownloadStudio, which is superb) – and I don’t have any problems with the downloads. In fact, most managers will resume downloading from where you left off, if the internet goes down, or there is some other error. And, they download at high speed, with error detection. Anyway, I’m not sitting there for hours on Australia’s pathetically slow download speed manually downloading 20+ individual files – please send me the DropBox links! Thank you so much for taking the time to leave us a comment and I am really pleased to hear that you like this one! 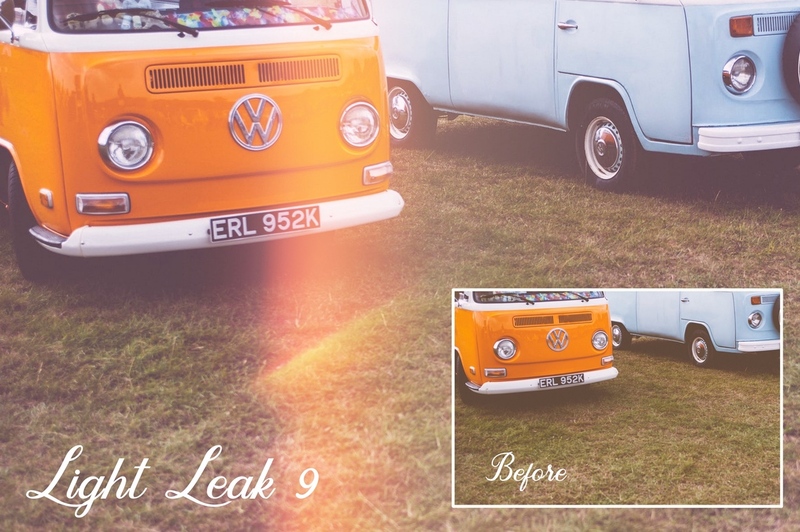 Following feedback from a large majority of our community last year, we have decided to remove the One Complete Download link as it appeared to be causing quite a few download issues. Our focus this year is to minimize and remove issues that our community have been flagging to make your DC experience even better, which is why we have opted to just include the Individual links, moving forward. 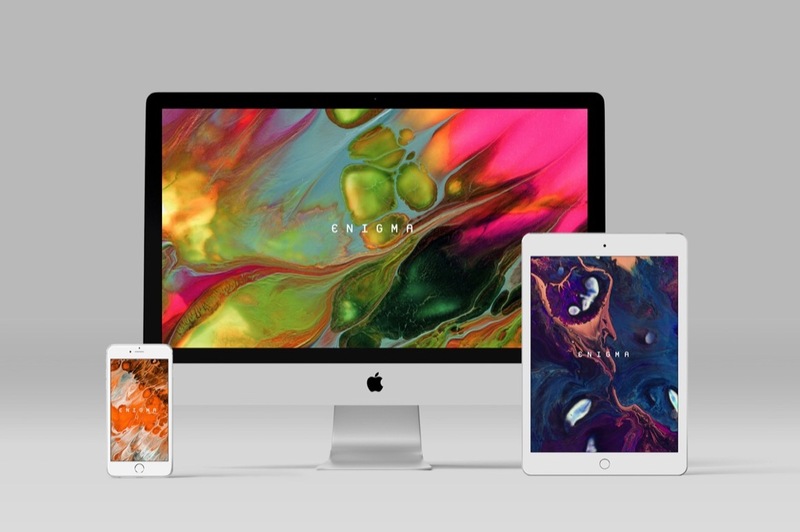 This will hopefully allow you and the rest of the community get working with the individual resources quickly, save space on your system and stop any potential downloading issues. 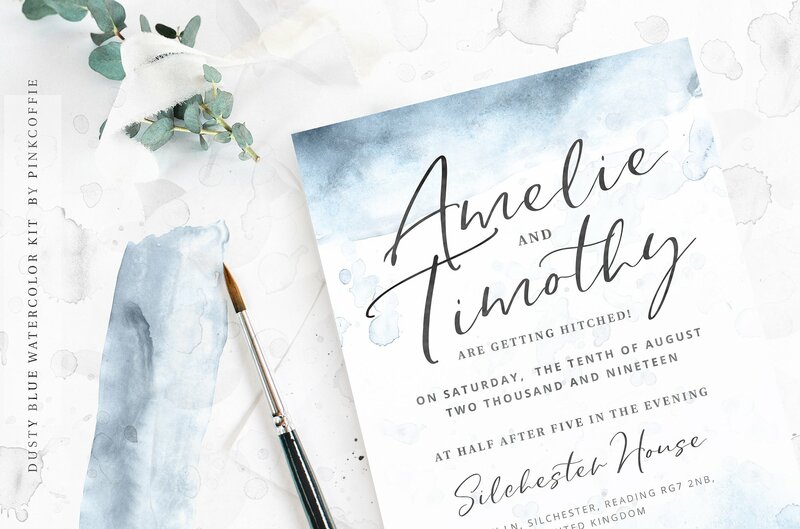 Thanks so much for helping us identify this font for Tony, this is really kind of you Michael and we are sure that he will love being able to pick this one up for his own font collection! Greetings! May I also get a Dropbox link? Thanks! 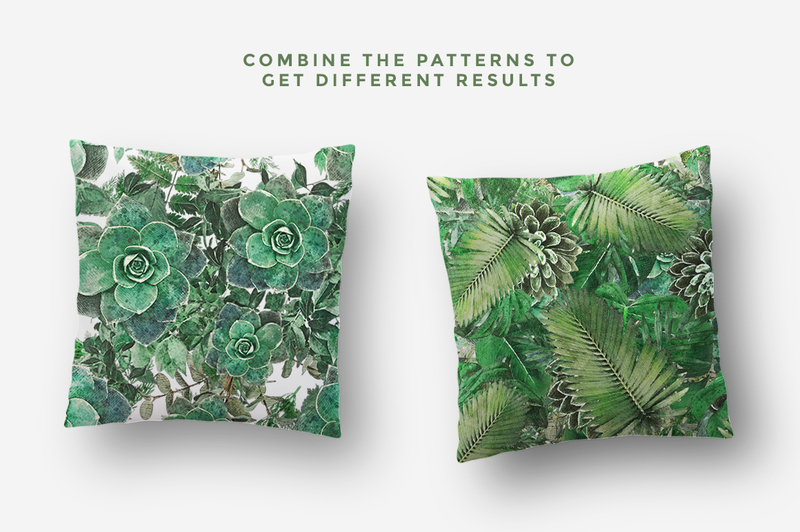 I have just emailed you with a Dropbox link so I hope this helps you get working with all of your new patterns and textures straight away! 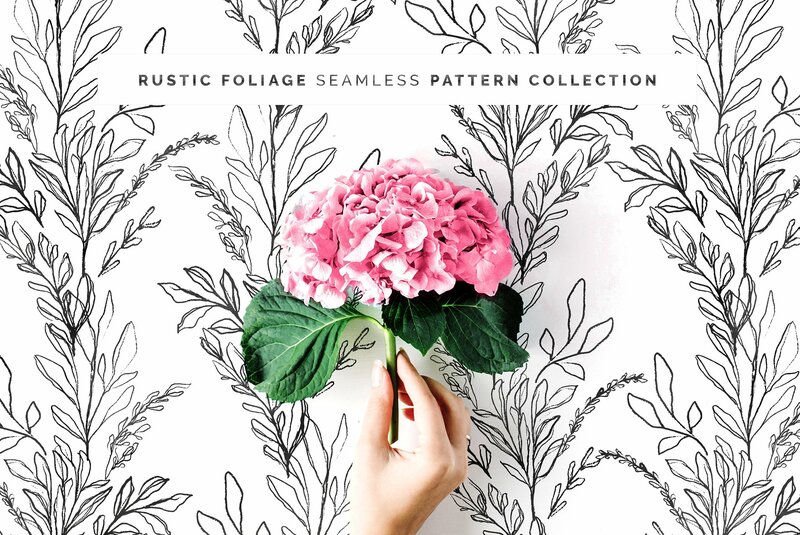 Hi, just purchased and looking forward to using these patterns and textures. May I also have a Dropbox link please? 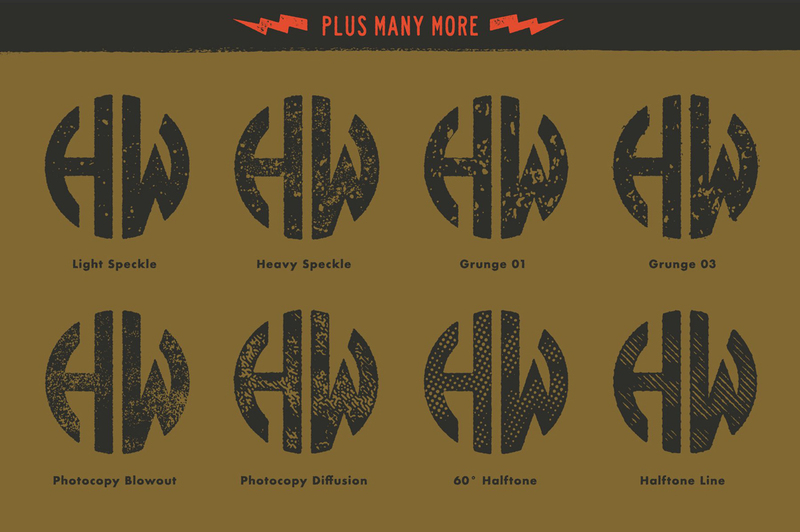 Finally, is there any way to still purchase The Font Guru’s Essential Library? 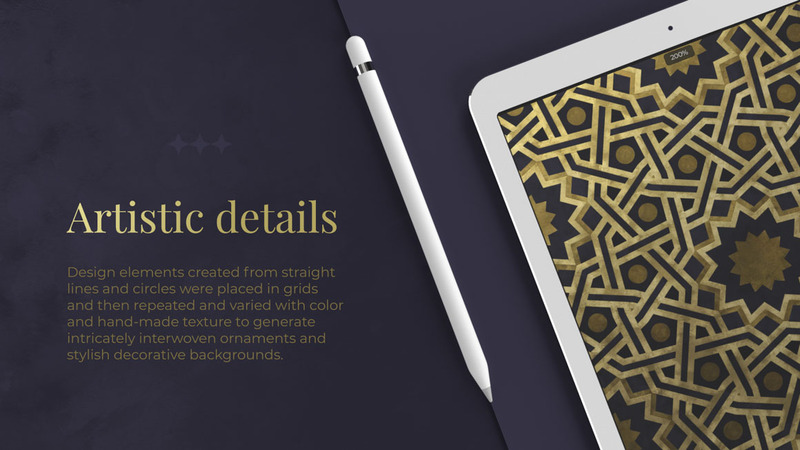 Unfortunately the Font Guru’s Essential Library actually expired a couple of weeks ago, so this particular deal has well and truly ended now. 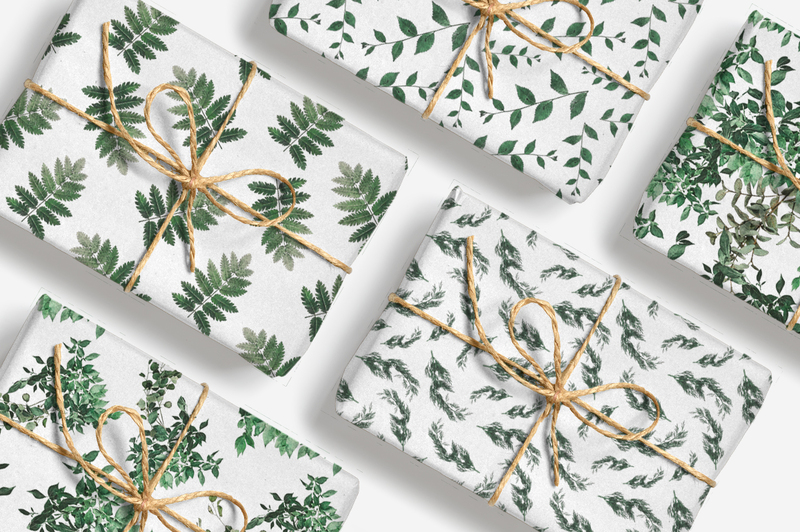 A lot of the resources that feature in our bundles do however end up in our Marketplace where you can purchase them individually, or build your own bundle of resources so I hope that you are able to pick up some of your favourites from any of our past deals. Hi there! I am also very pleased to purchase this wonderful deal and would also like the link to drop box. Thanks for all the beautiful material to work with!! Thanks for taking the time to leave us a lovely comment Debbie and we are so happy to hear that you picked up this bundle. 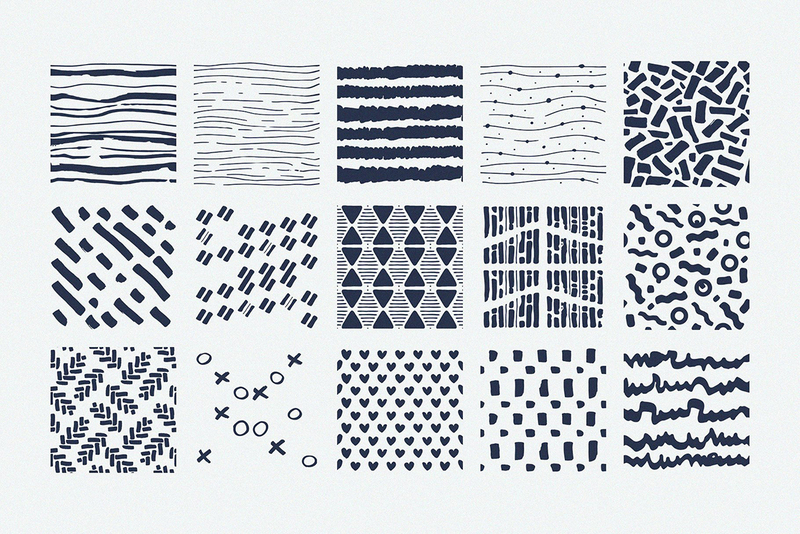 I have just sent you an email with a Dropbox link and we hope that you find these textures and patterns really useful for your creative projects! HI DC, Loving the new collection! Could you email the link to the Dropbox so I can download all at once, too please? Thanks muchly! 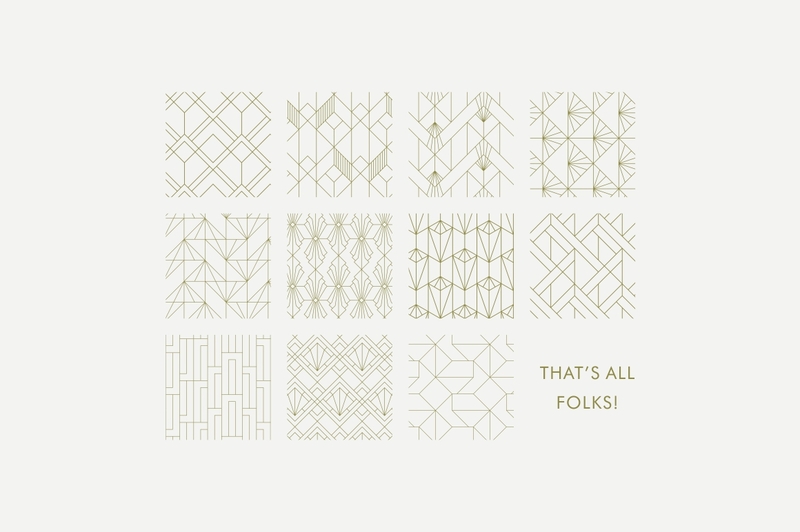 Thanks so much for commenting and it is so awesome to hear that you love this Textures and Patterns collection! I hope that you have lots of fun taking all of your new resources for a spin, and have just send you a Dropbox link to help speed up the download process for you :). …and the same here, please. 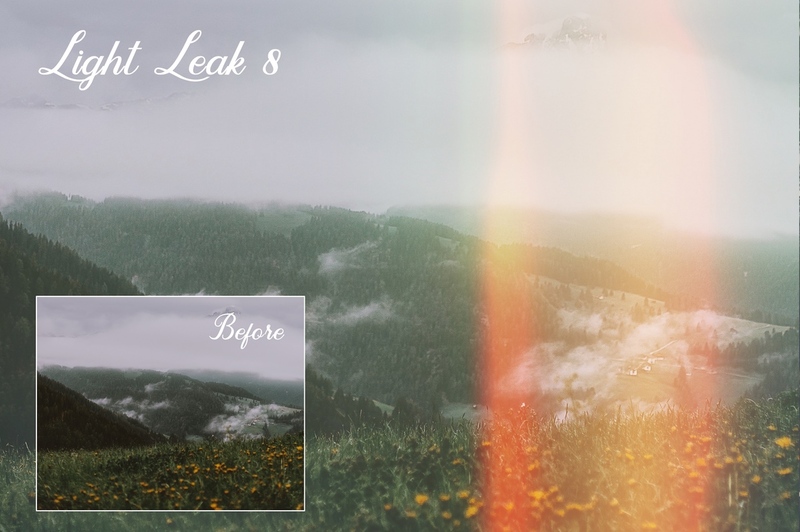 Could you send me the Dropbox link to this fat pack? Many thanks! Thanks so much for posting a comment and that’s perfectly fine- you should see an email arriving in your inbox from myself really soon to help! Can I also get the Dropbox link, please? 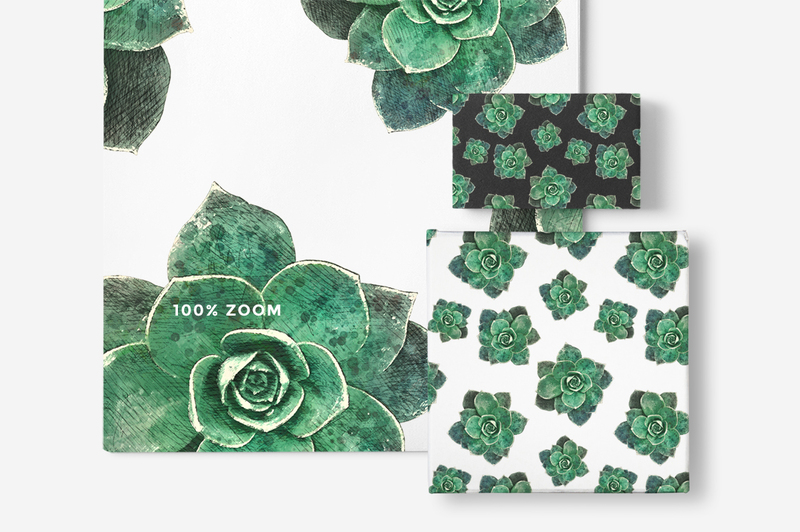 We’re so happy to hear that you think this one is a great collection Sasha and hope that you get lots of great use out of your new Textures and Patterns :). 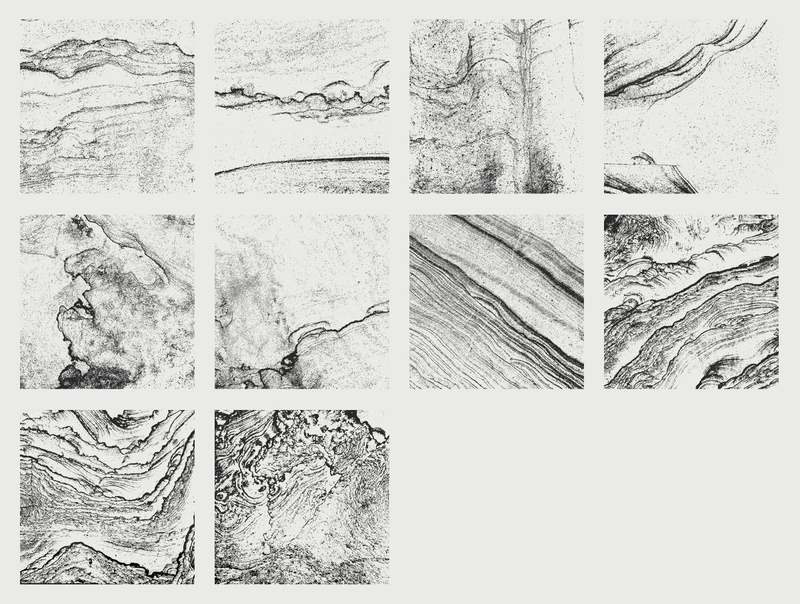 I am more than happy to email you a dropbox link and this should be swooping over to you you soon! Hello! 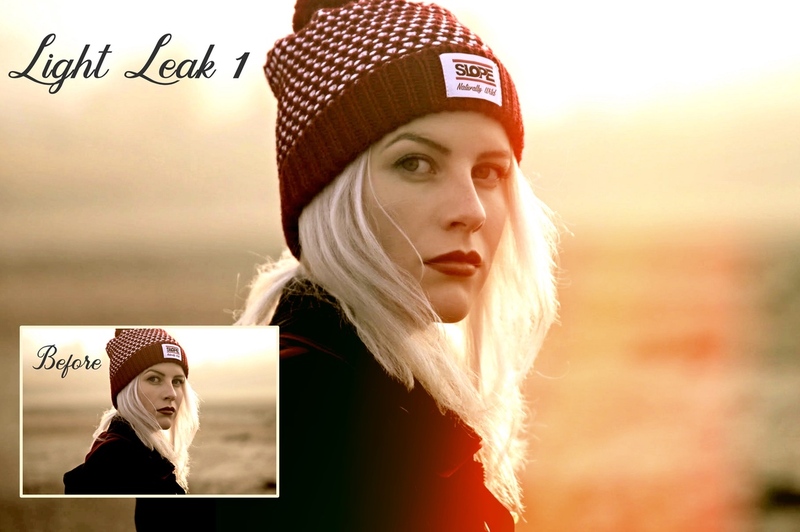 I’d love it if you could send over the Dropbox to download the whole package. Thanks for commenting Shandi and we hope that you have lots of fun taking your new bundle for a spin! 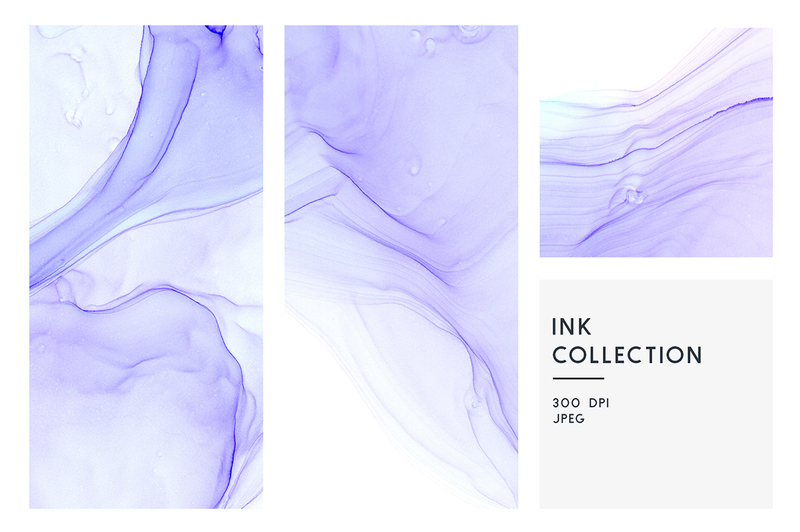 A Dropbox link to help speed up your downloads is flying its way over to you now in an email :). 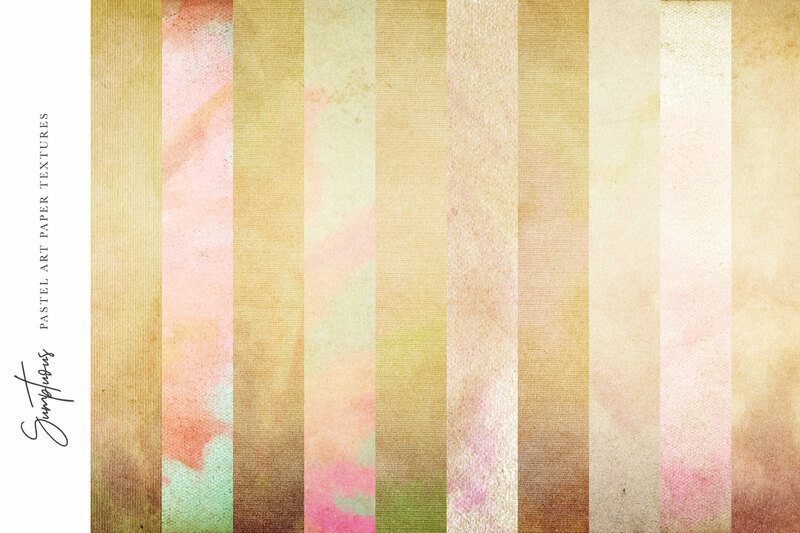 Happy designing! 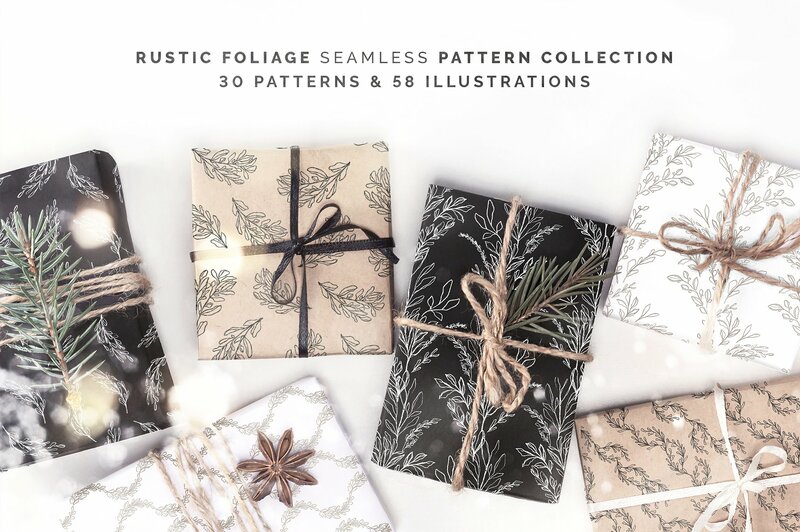 We’re so happy to hear that you picked this bundle up for your collection and I’m more than happy to help speed up your download process with a Dropbox link! I have just popped you over an email with a dropbox link to your bundle so I hope this helps :). Same here, please. 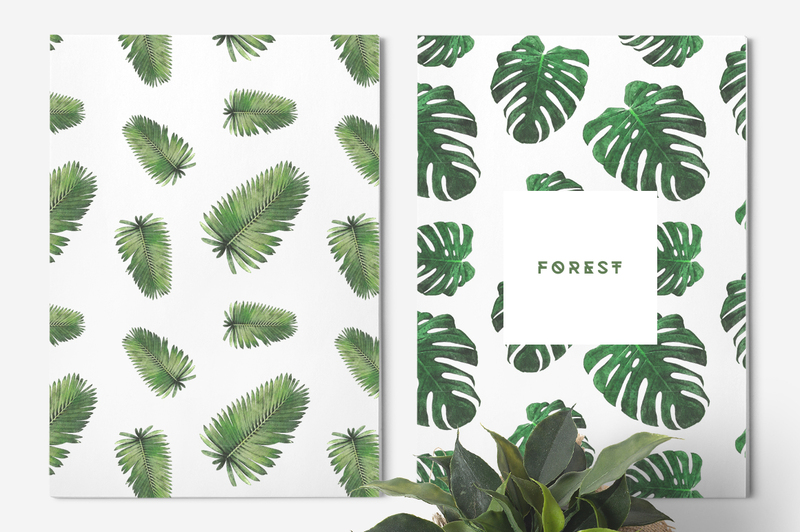 Could you send me the Dropbox link to this fantastic pack? Many thanks! 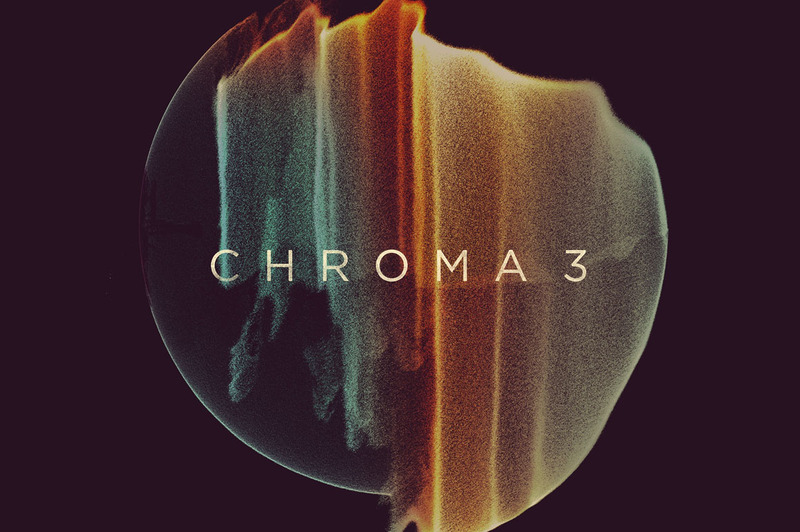 I just bought this & would love a download link for all the items rather than downloading one at a time. Thanks in advance! Can I also get a drop box link? Thanks for your comment Joel! 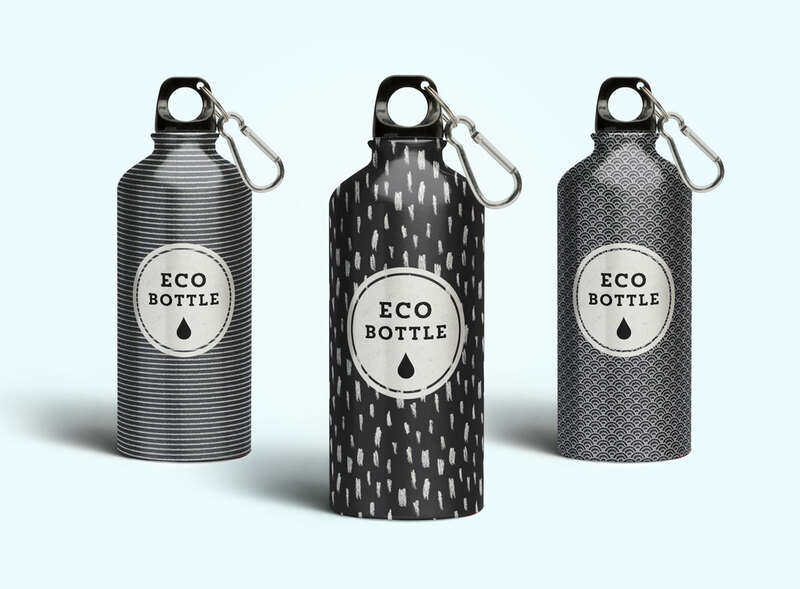 These are really amazing! i appreciate what you guys are doing, but im curious to how you guys bundle up a huge amount of resources and sell it for such a small decent price? 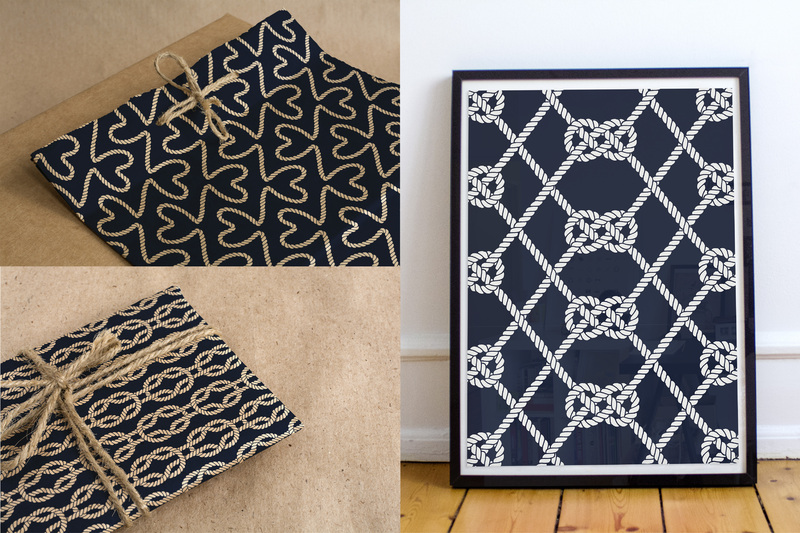 We’re so glad to hear that you love our bundle collection Miko! 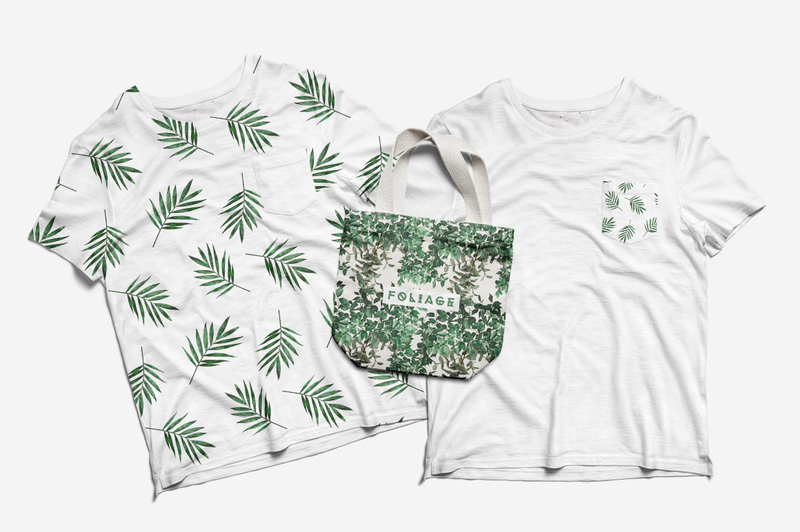 As our bundles are only available to purchase from our website for 2 weeks, the designers that we work with kindly allow for us to provide the discounts that we do. 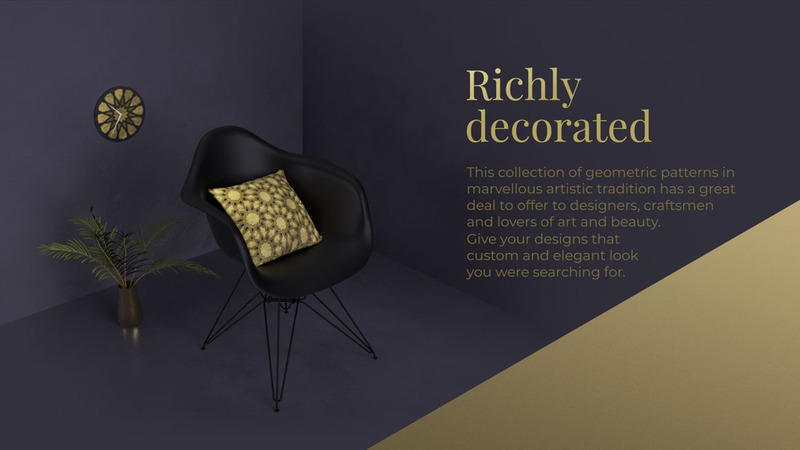 We hope that you find our deals great value and have lots of fun growing your design resource collection with us! 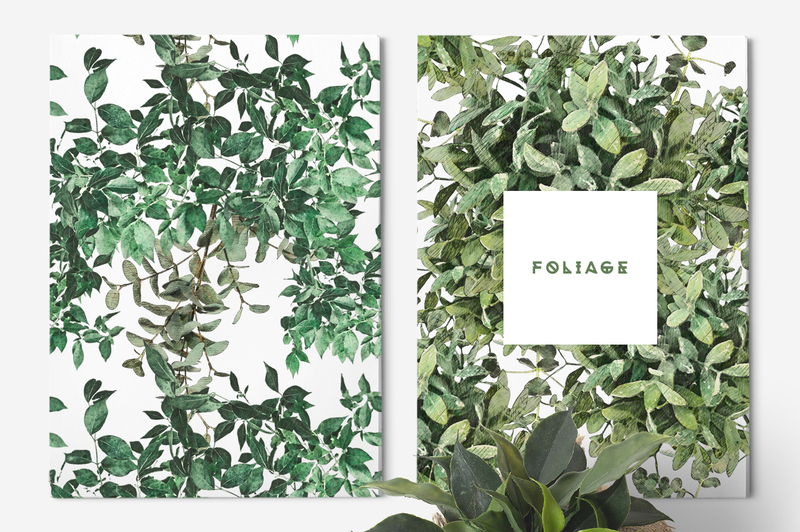 Can anyone clue me in as to what that font is that’s used in the “Plants & Foliage” artwork and do you guys have it available? Much thanks in advance. Thanks so much for your comment and we’re so glad that you love the font that Zeppelin Graphics have used for their preview graphics. 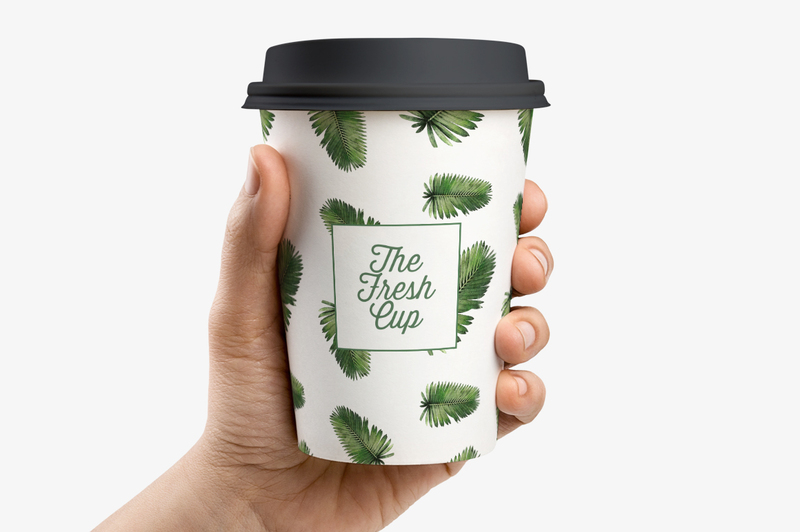 We have just popped the designer over a message to ask which font the have used and as soon as I know more, I will let you know :). Awesome… I appreciate it. That is an awesome font that I have some use for. You’re so welcome Tony and it is my pleasure! Hey there. 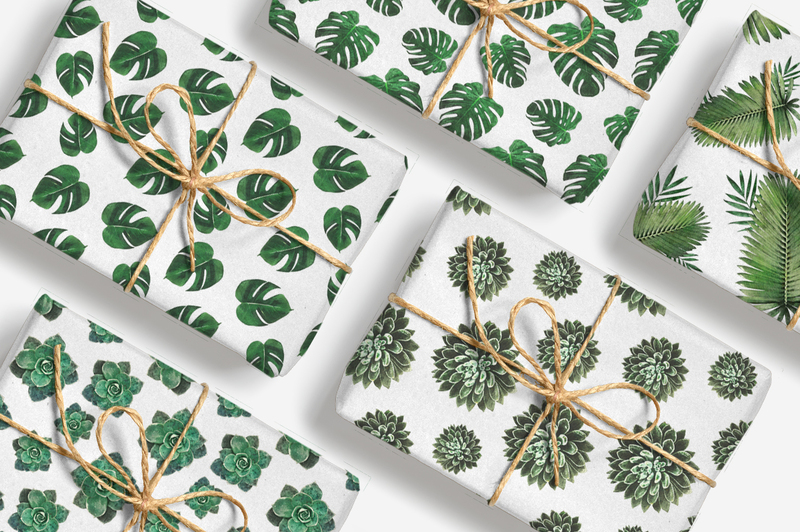 Have downloaded this lovely little bundle and like some of your other customers would love a Dropbox link so I can download the lot in one go…please can you email over. 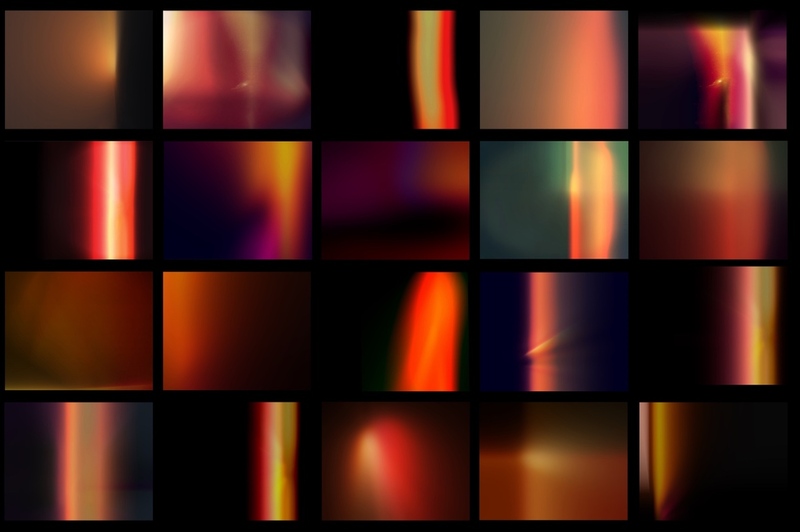 I would be happy to send you a Complete download link via Dropbox for you, and have just popped this over for you in an email now :). 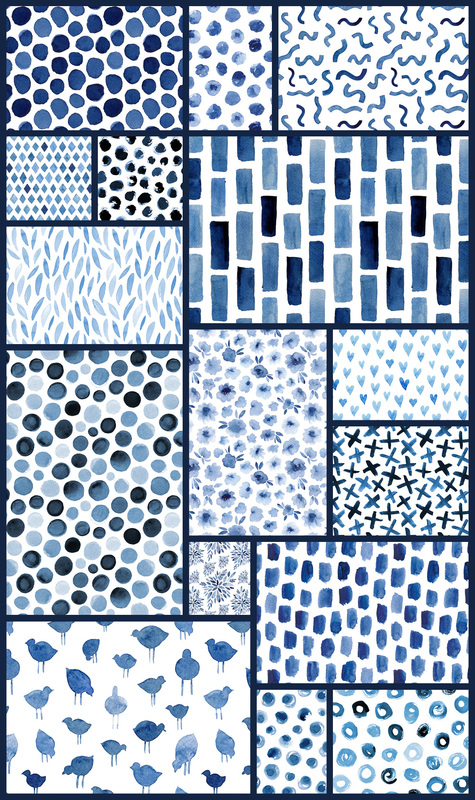 I hope that you have great fun working with your new patterns and textures! Hi. I’ve missed the last bundle from mail either, since it was Lunar New year’s holiday till yesterday in here Korea. 🙁 Anyway to purchase the bundle now? Please give me a ‘download all button’ back. I always buy your 2weeks bundle. and download files individually are not comfortable. Thanks so much for reaching out to us Kim and we are so sorry for any inconvenience caused! So as you have seen, this bundle actually doesn’t feature the One Complete Download Link and instead just has the individual links. We have removed this feature as this was something that was continuously being flagged as causing download issues. This year our focus is to minimise any difficulties that our community may be experiencing to help make your DC experience even better, which is why we have opted to include the individual links! It sounds like you are in the small percentage that were able to work with the Complete Downloads so I’m so sorry to hear that the individual links are not as suitable for your particular needs. What I can do Kim, is provide you with your complete download links via Dropbox to help speed up the process for you. I have just sent you an email so I hope this helps! Is it possible by any chance to just enable both options for people to be able to use? Or if that isn’t possible, then if we could actually go into preferenaces in our account and choose which version we would like to recieve to download that would be awesome as well. Thanks so much for taking the time to comment and for your suggestions. 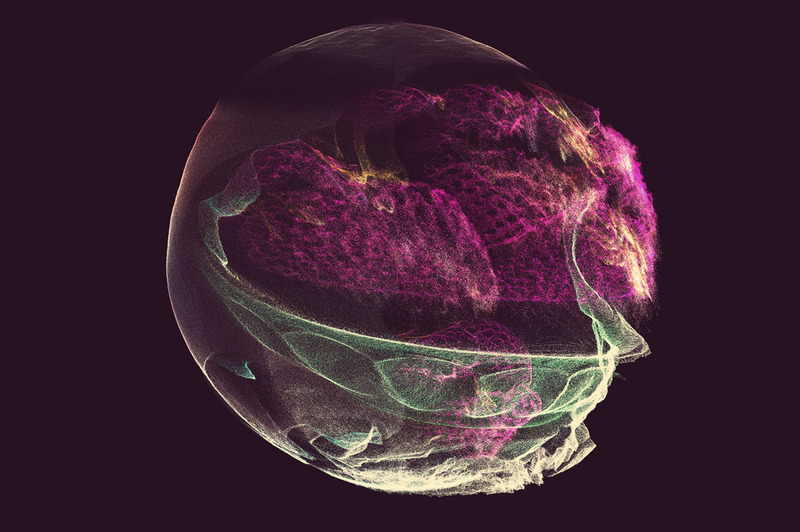 The decision to just include the individual downloads was not made lightly, as our Technical Team has been investigating this over the last few years. The complete downloads have been flagged as causing download issues for the vast majority of our community, and could sometimes even cause our site to slow down. I’m really sorry if you are one of our few community members that were able to use our complete downloads, and for any inconvenience caused! 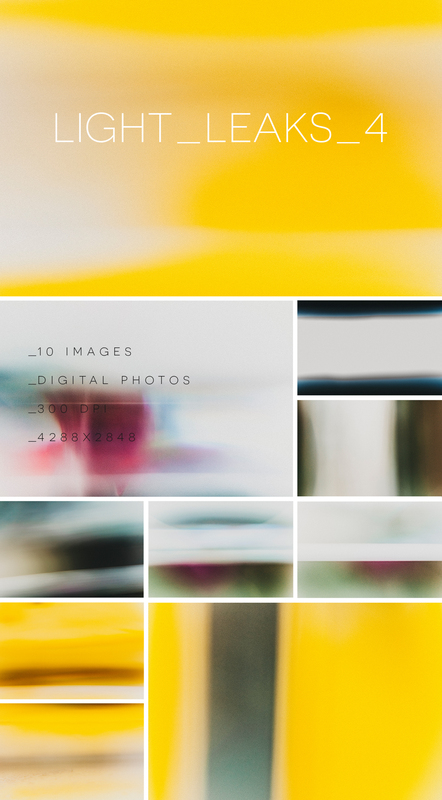 What I can do however, is send you the complete downloads via Dropbox which should help speed up the download process for you, so please pop us a message if we can help you with any of your downloads! 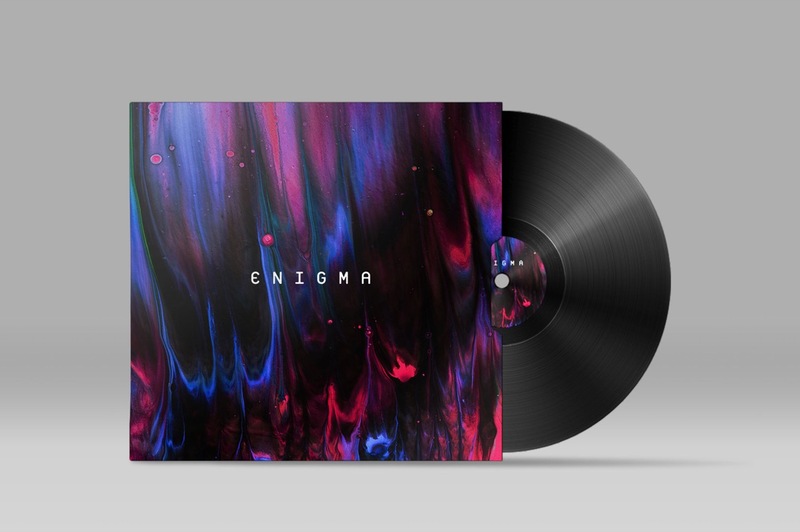 This looks fantastic. 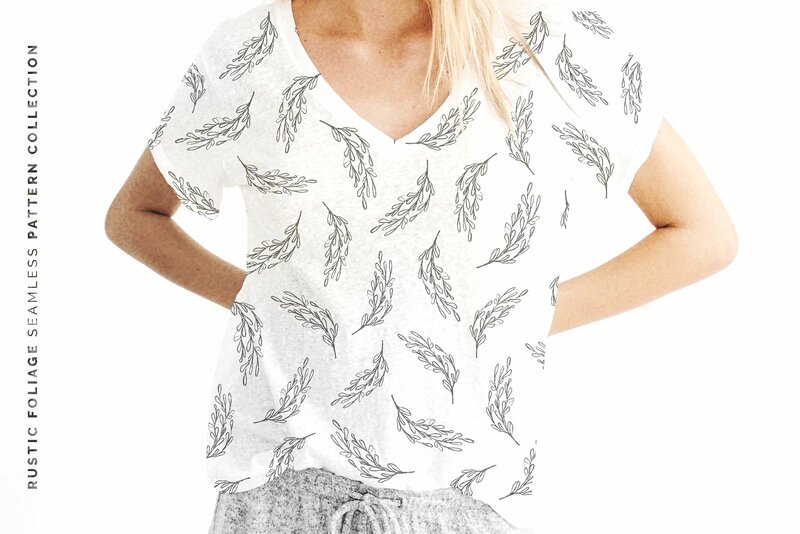 Had to purchase! Could you please send me the Dropbox link? Thanks so much for your comment Meg! I have just popped you over an email with a Dropbox link so I hope that this helps you get working with your resources without further delay :). We’re sorry to hear that you already have similar resources in your collection. 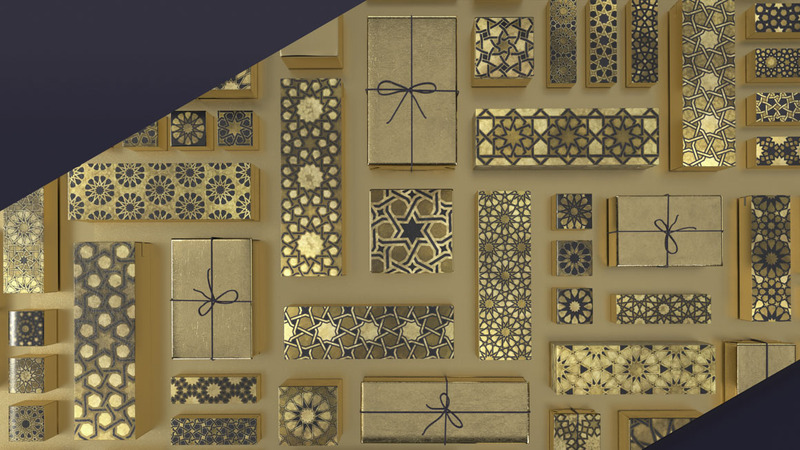 Just in case you aren’t already aware, the majority of the products featured in our Bundles do end up in our Marketplace to be able to purchase individually, and you also have the option to build your own bundle of items and receive up to 50% off. 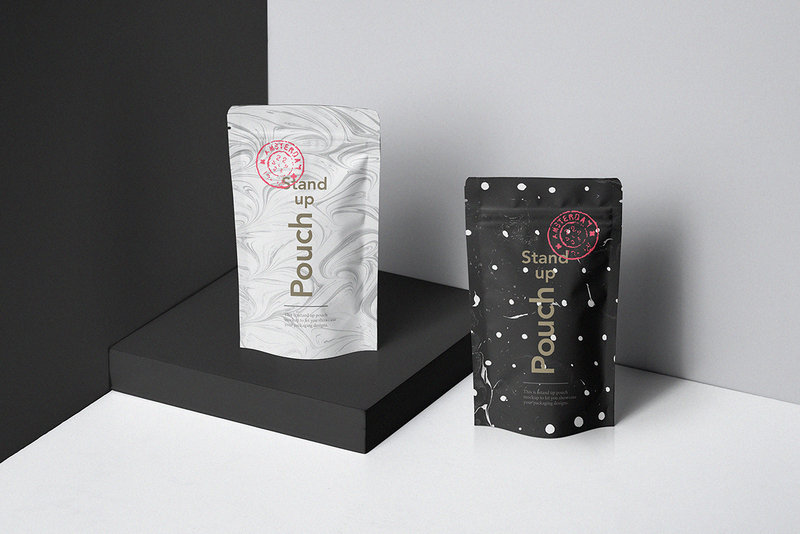 If there are any packs that you are looking for from our previous bundles that have not yet entered our Marketplace, please feel free to pop us a message and our Product Team would be more than happy to see if we can include these for you :). It’s so great to hear that you are feeling so excited to take this bundle for a spin and that we could help cross a few items off of your wish list :). 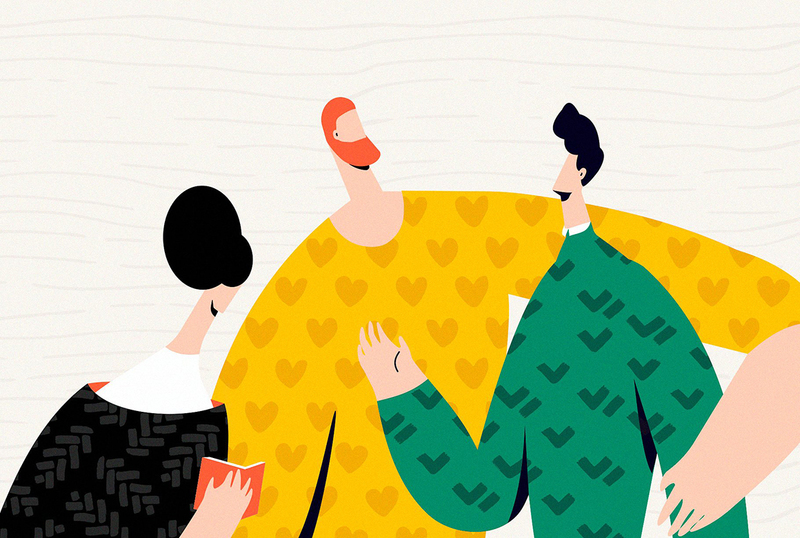 Happy Designing! Hi! Is it possible to dowload all the files at once somehow? Thanks so much for commenting Edyta! We do not have an option for you to be able to download all of these in one go directly from your account, as this was getting continuously flagged as causing difficulty with downloads for the vast majority of our community. What I can do however, is provide you with a Dropbox link to your Complete bundle downloads to help speed up the download process. I can see that you have already picked this bundle up in your account, so thanks so much for your purchase! I have popped you over a Dropbox link via email to help :). Congratulations again Team DC for another 5-star bundle creation. Please… don’t stop. Yeah, bring all the bundles on. I can take them all… but one at a time of course hehe. Cheers. I am really good thank you- back to work after my maternity leave so ready to get my own dancing shoes shined up for the 2 week disco! It is our pleasure 🙂 That is awesome to hear you had to get this one and thank you for the support- it really means so much to the team! 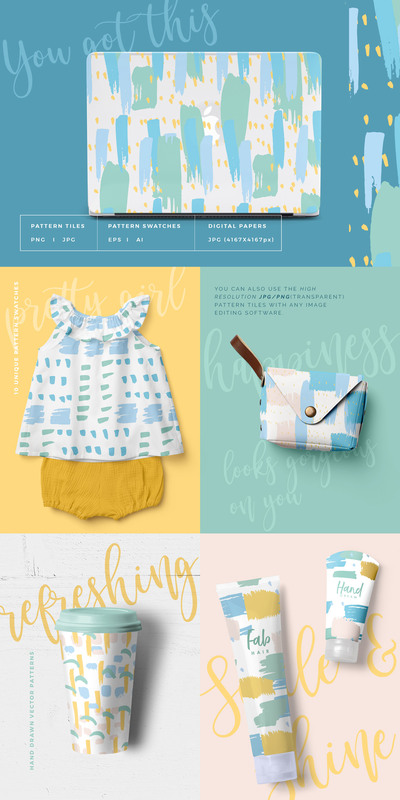 Thanks so much for commenting Jodie and it’s so great to hear that this bundle collection is perfect for your current project :). We hope that you have lots of fun working with all of your new resources and happy designing! Thanks so much Julie, we’re really happy that you think so. We are so sorry for any inconvenience caused by the changes to our download options. This decision was not made lightly as our technical team had been investigating this for a few years. 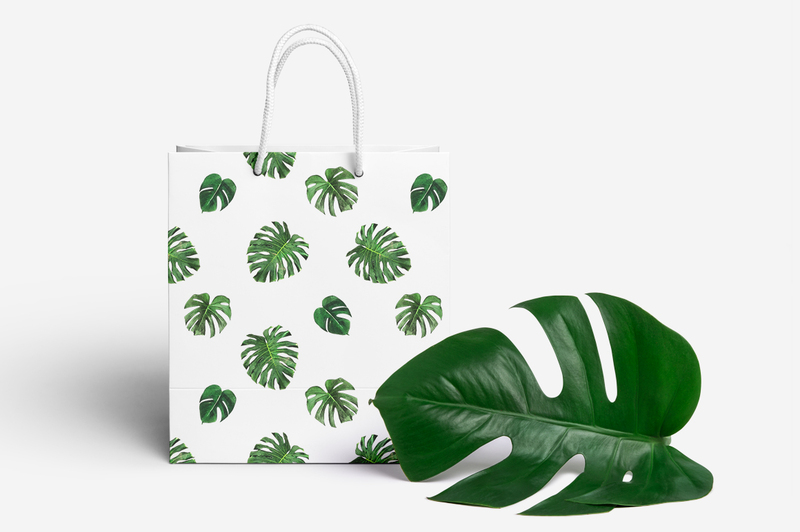 We are always happy to send you over Dropbox links to your bundles to help speed up the download process for you so please let us know if you would like us to help with any of your downloads Julie and we can certainly help! Why not just add the Dropbox link to the download page instead of having to ask for it upon purchase? Thanks for your suggestion Daryl! We are really sorry for any inconvenience caused by our individual bundle downloads. We are currently unable to include a dropbox link to your account page for security reasons, however I will certainly pass on your feedback to our technical team and if you would like any help with downloading your resources, please let us know :). Amazing bundle! Thank you so much! We hope that you have loads of fun taking all of your new goodies for a spin! 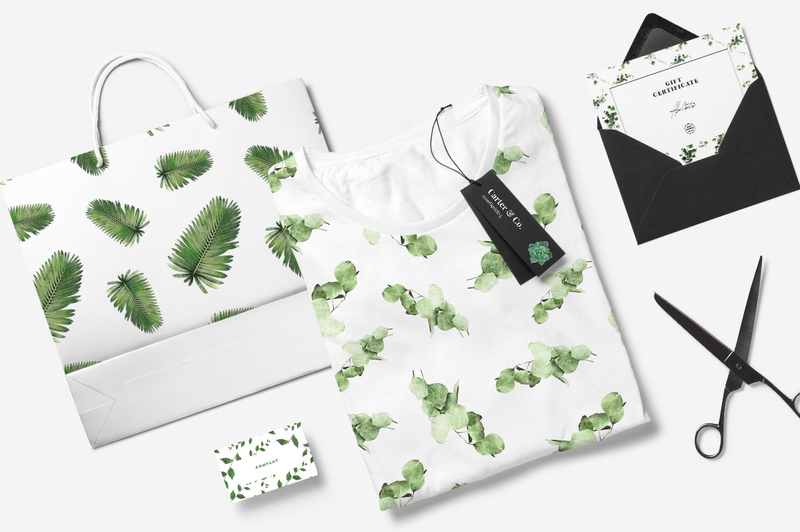 Oh no we’re so sorry to hear that you missed the Totally Artistic Designer’s Toolbox Filipa! I have just popped you over an email so I hope this helps :). I’m so thrilled with this bundle! 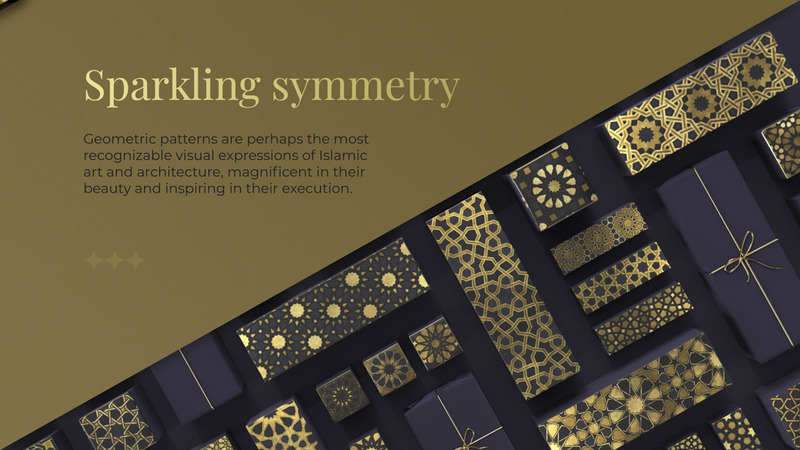 The Islamic Shapes offering by Samolevsky Art is perfect. 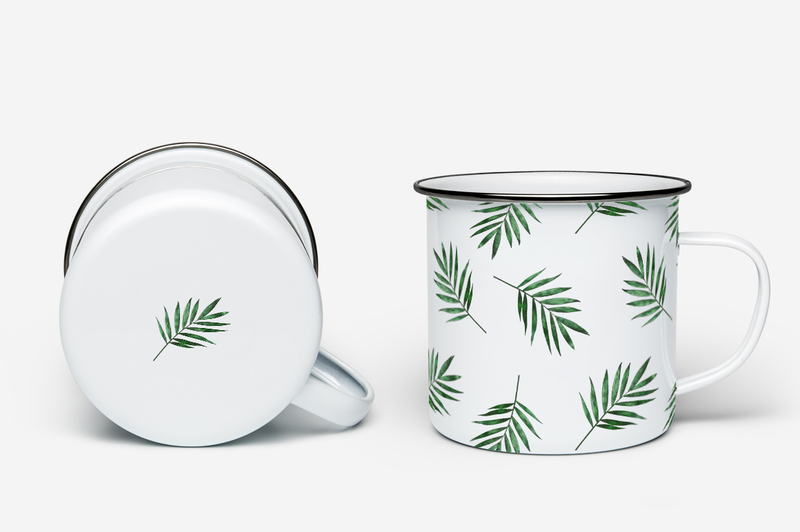 I’ve been wanting something I can just pick up and work with in Photoshop and not have to prepare in Illustrator (which is not software I’m well-versed with, unfortunately). I’m so happy to see so many files in .eps format, too. It’s rare that I purchase a deal as soon as I see it, but this one is going right in the cart now!! Thanks, all! Thanks so much for taking the time to leave us a lovely comment Tina- it’s awesome to hear that this one is such an insta-buy for you! 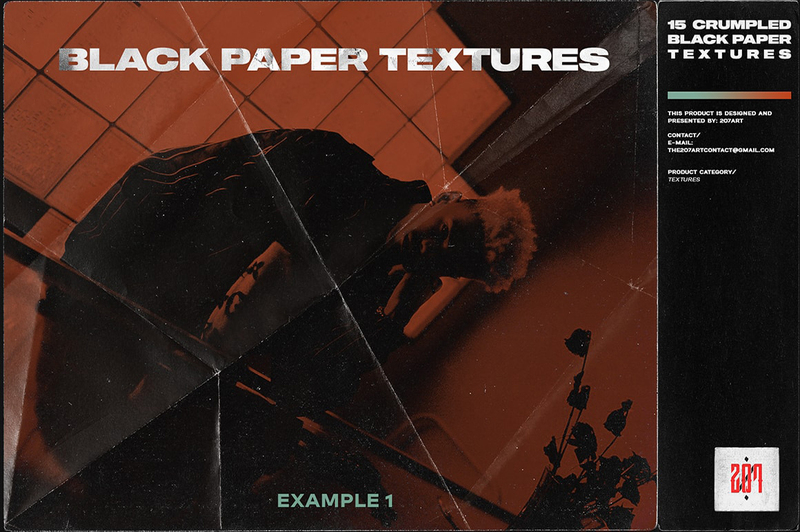 We’re so happy to hear that you find these EPS files so useful and hope that you get load of use out of them in your creative projects :). Thank you so much, Tina! 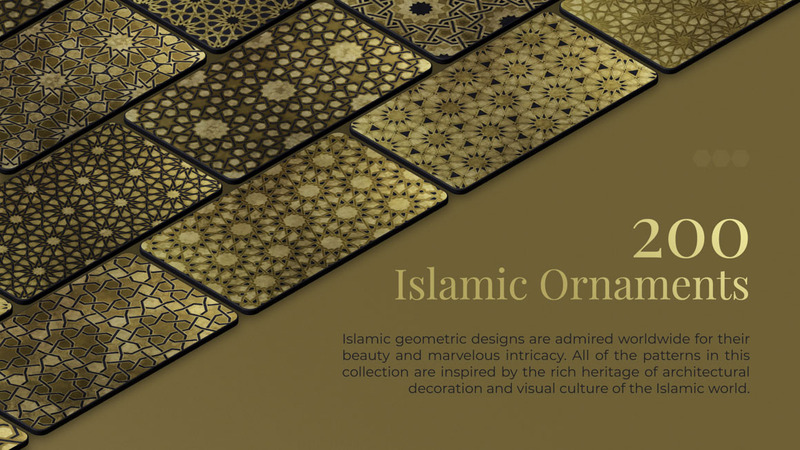 I’m so glad you find the Islamic Shapes collection perfect! have a happy time creating with it! Can I get a dropbox link please? We are always happy to send you a Dropbox link to any of your resources 🙂 I have just sent you over an email so that you can get working with your new resources without further delay. 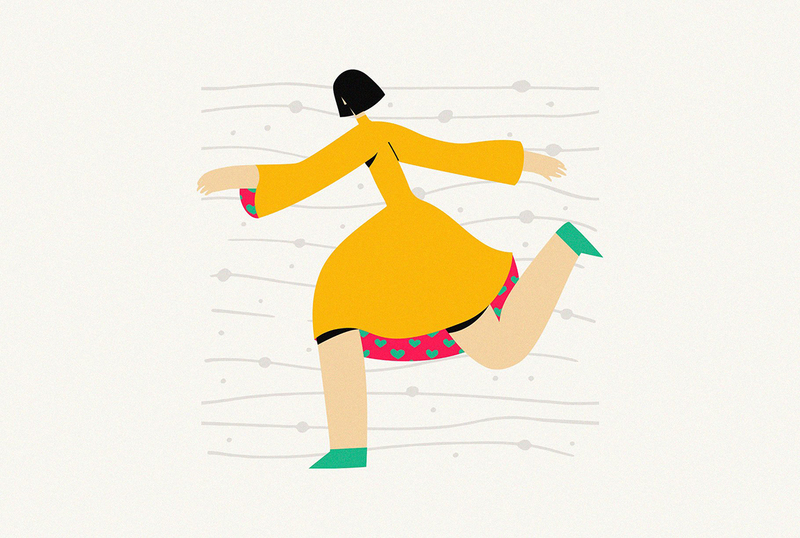 Happy designing! Wow! Neat! 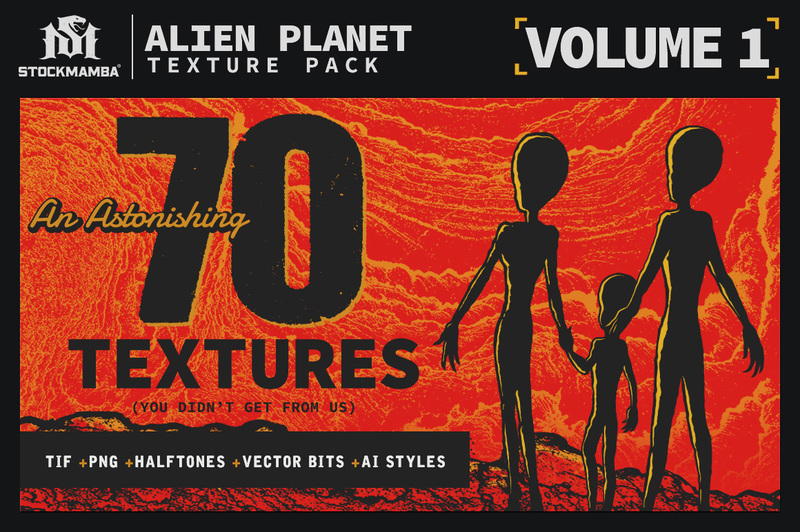 I bought the Deluxe Pattern and Texture bundle back in September but this one is even better and it’ll make a nice complement to the other bundle. Thanks DC! 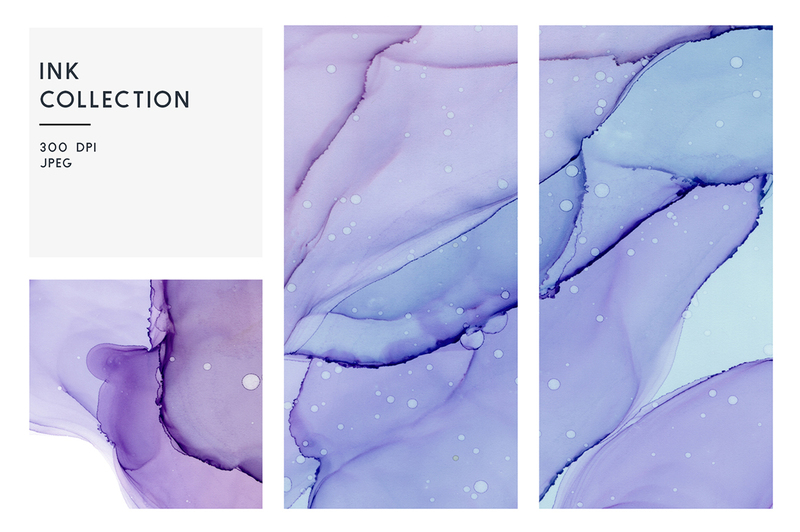 We’re so happy to hear that you really like this collection and hope that all of these new resources are a great addition to your collection :). I’m really sorry to hear that you missed our bundle. I have just sent you over an email so I hope this helps!